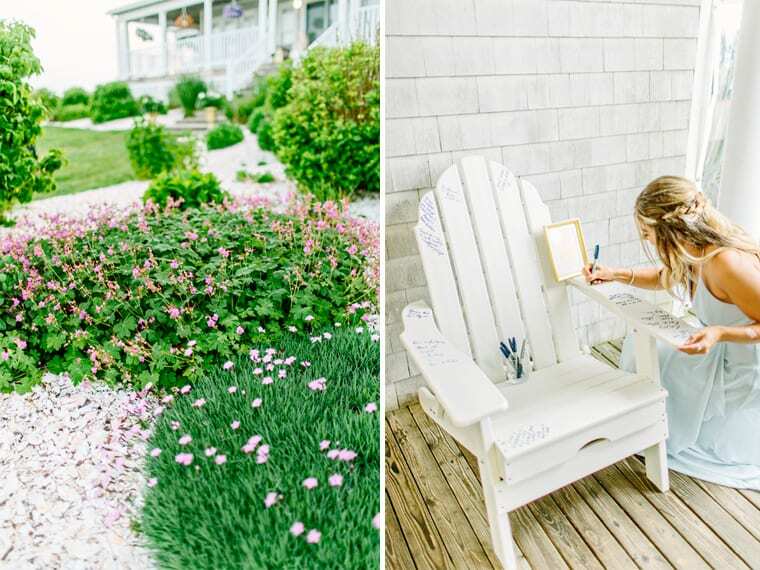 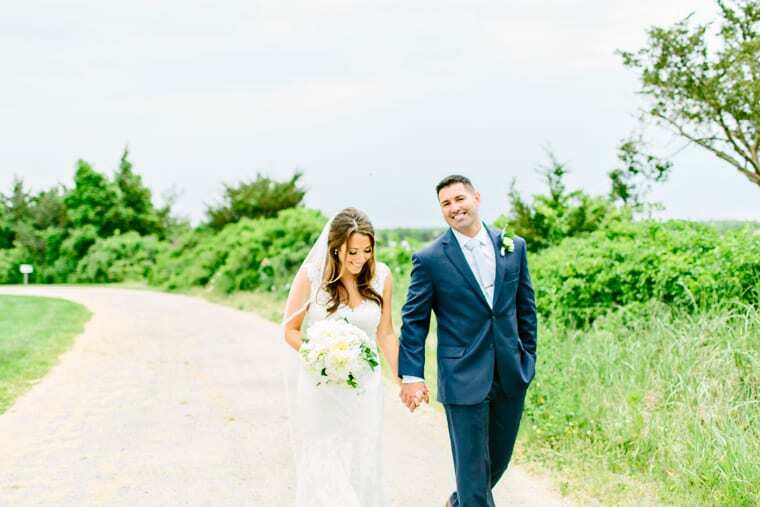 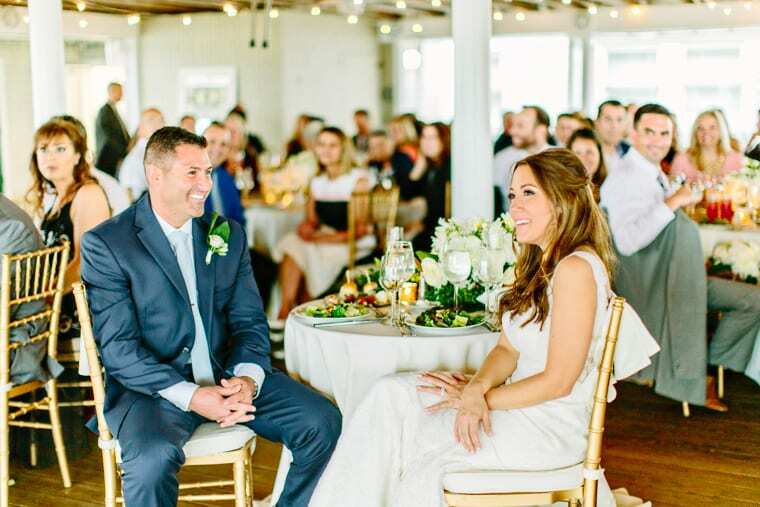 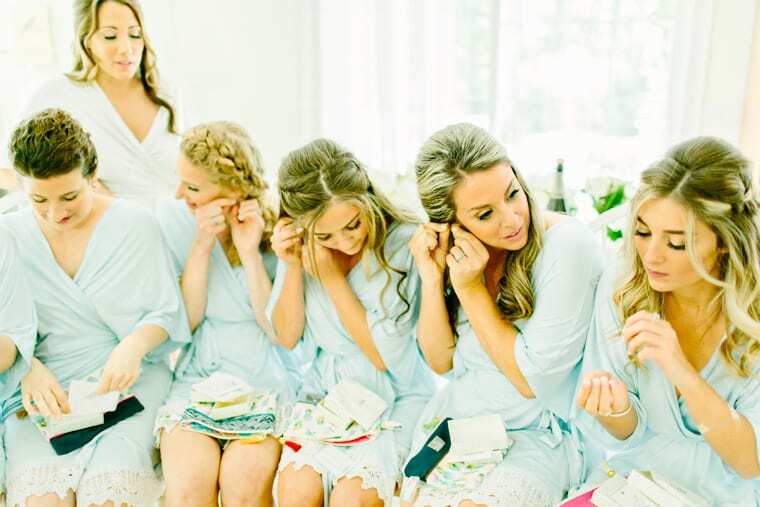 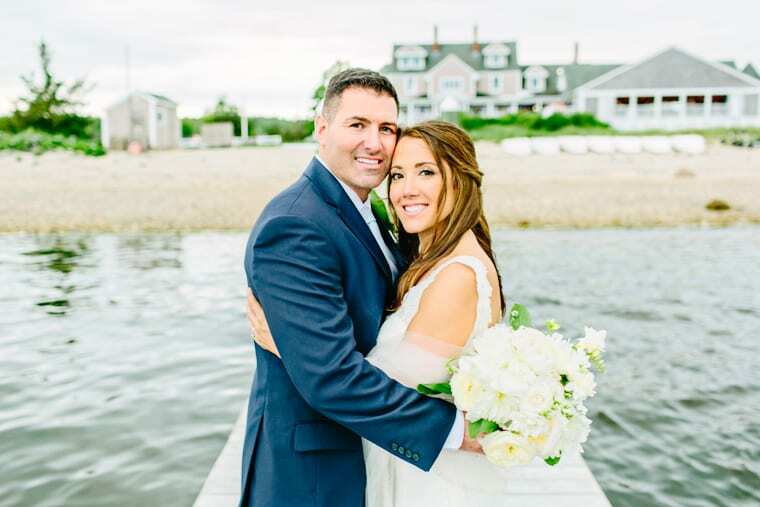 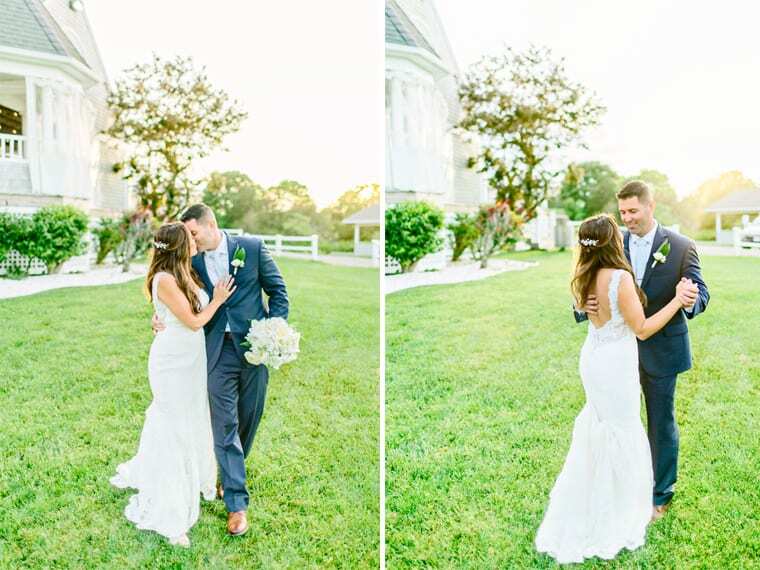 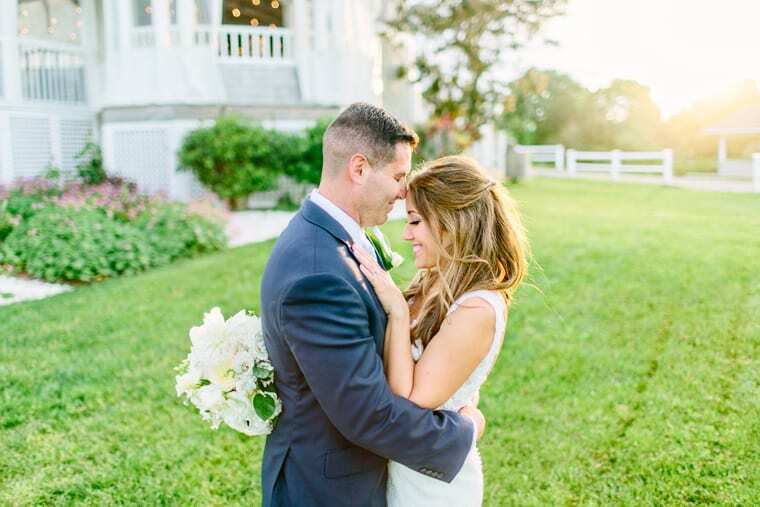 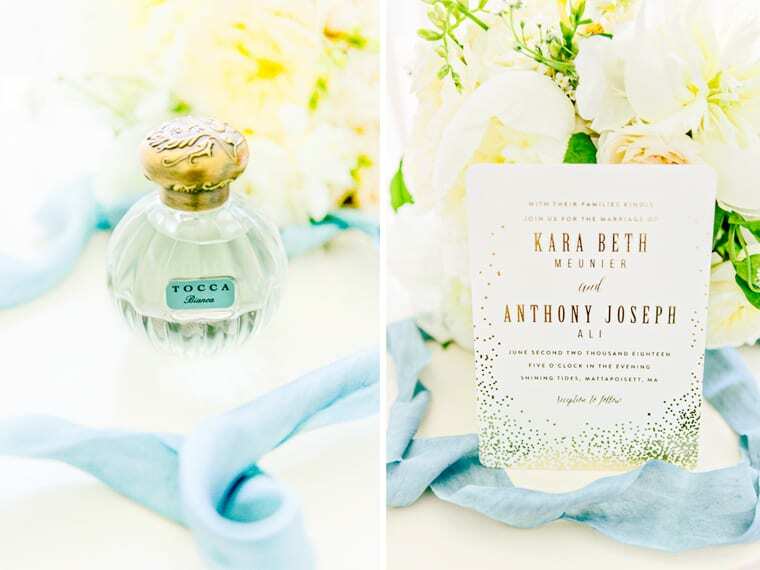 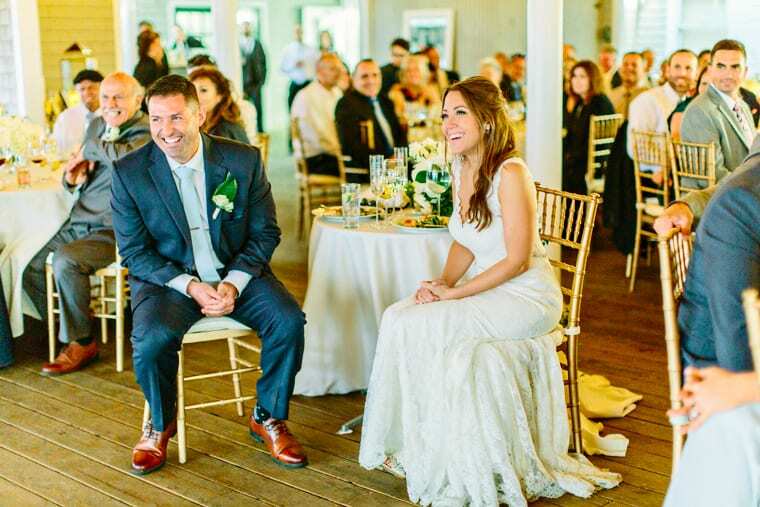 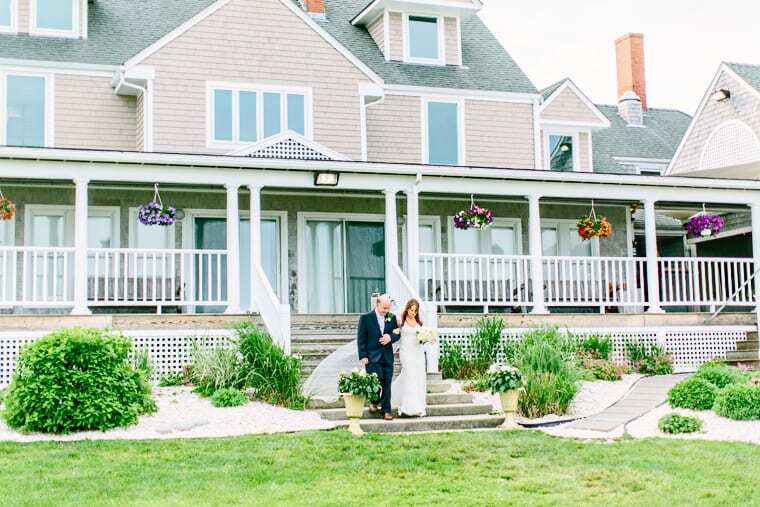 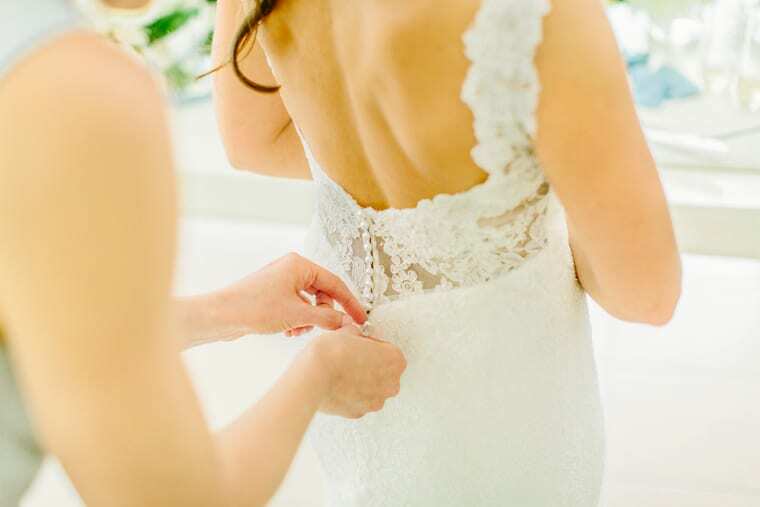 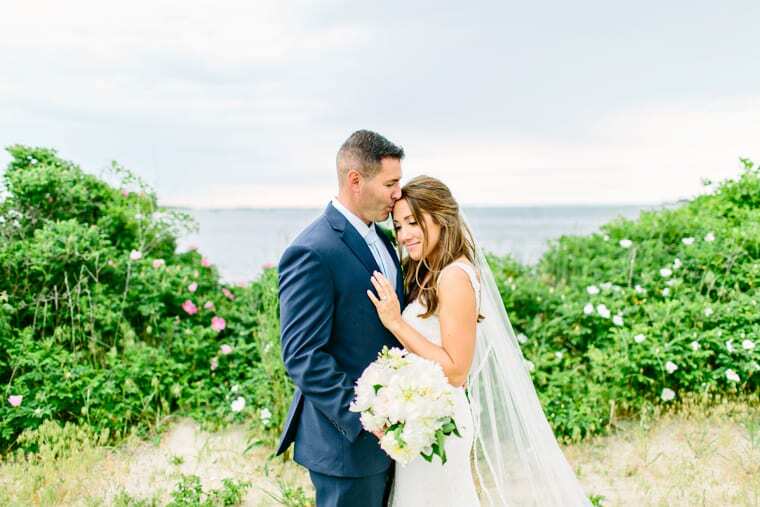 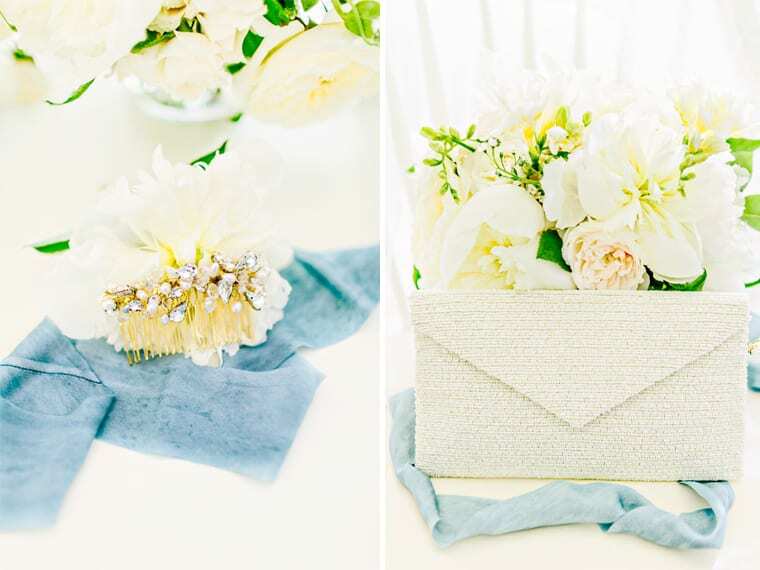 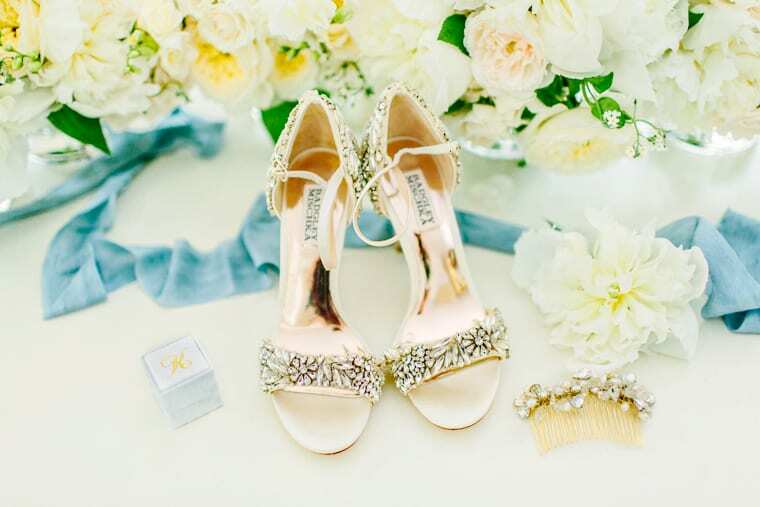 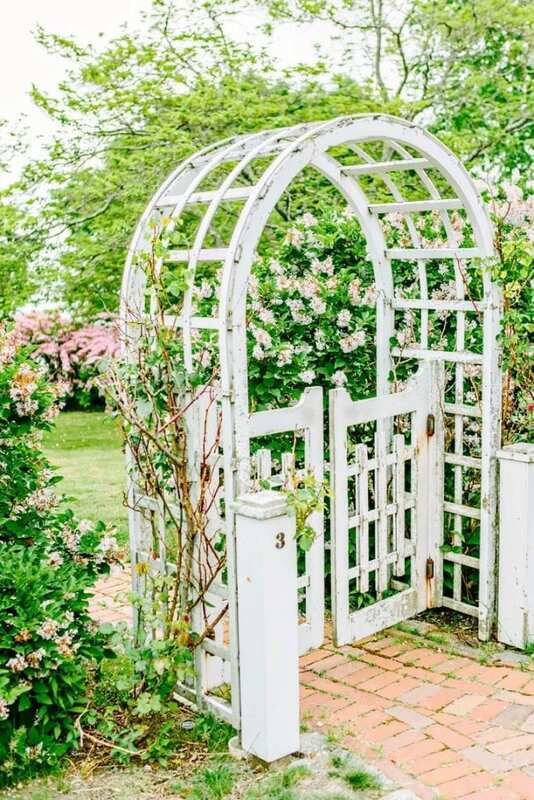 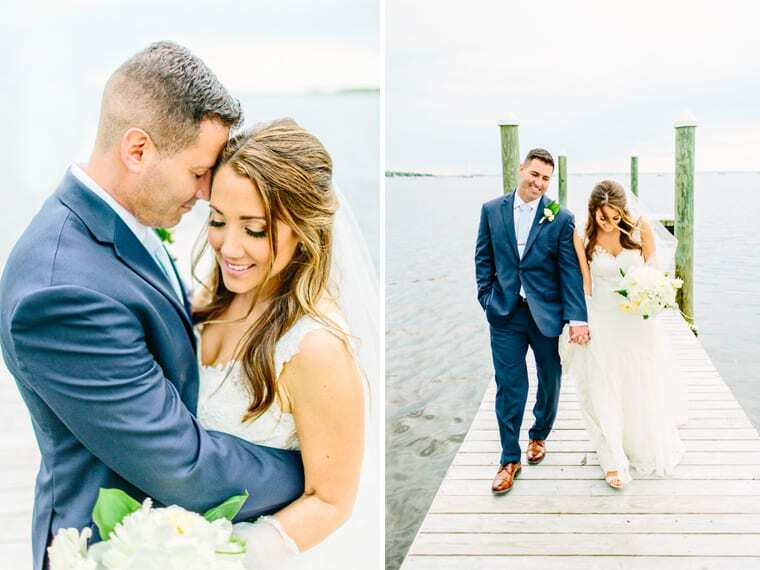 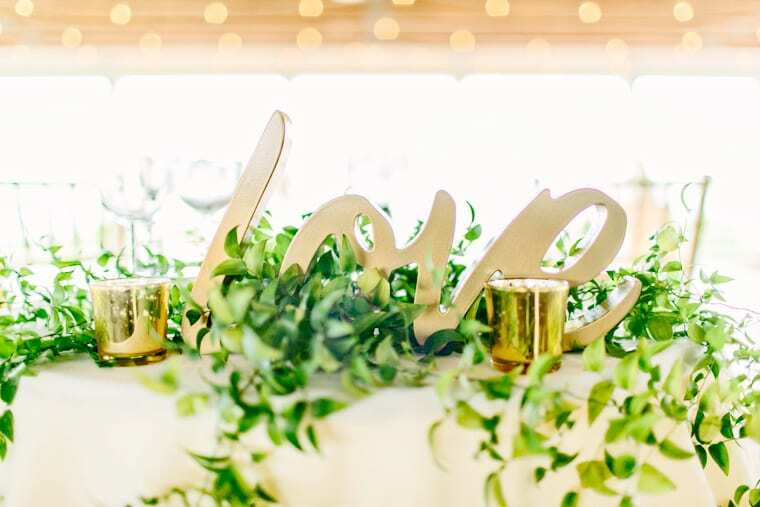 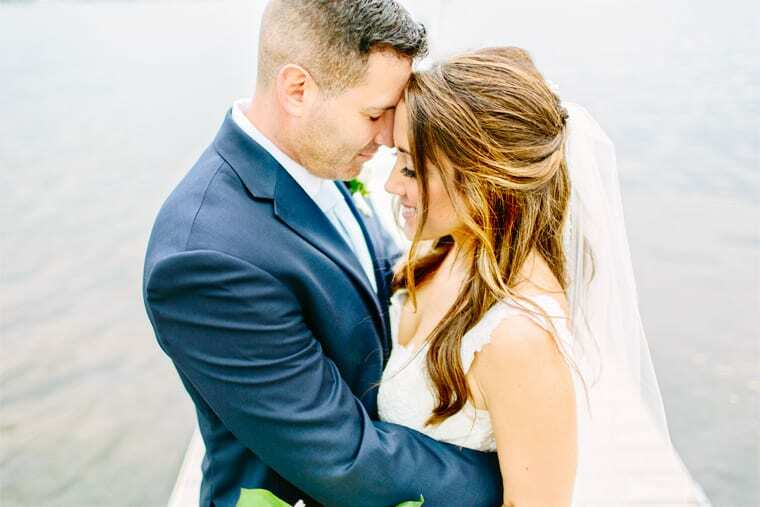 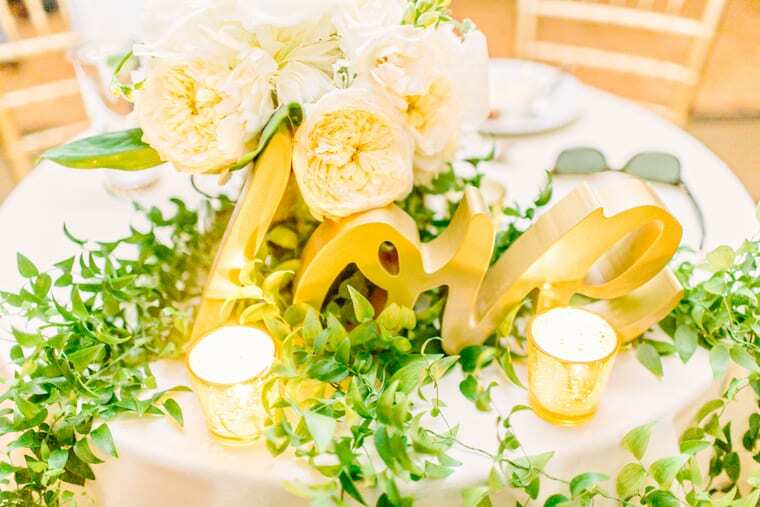 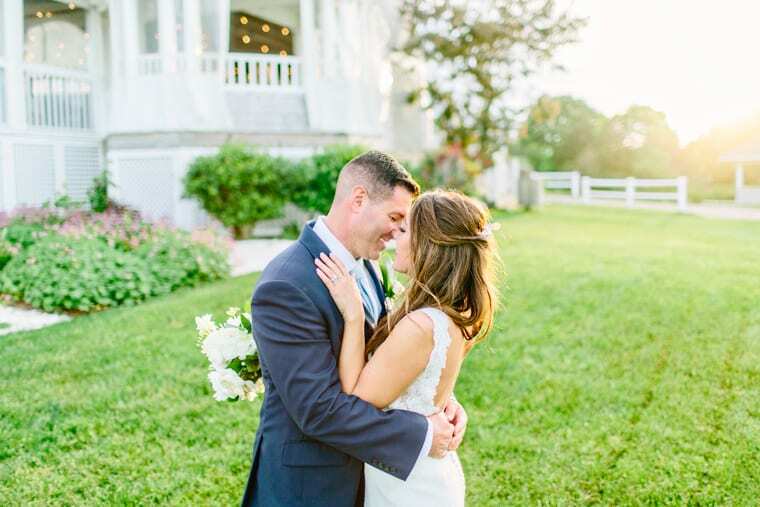 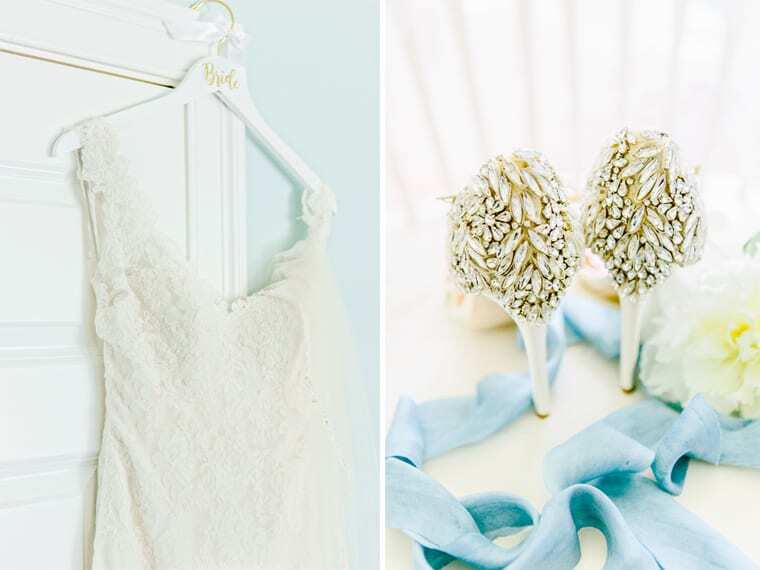 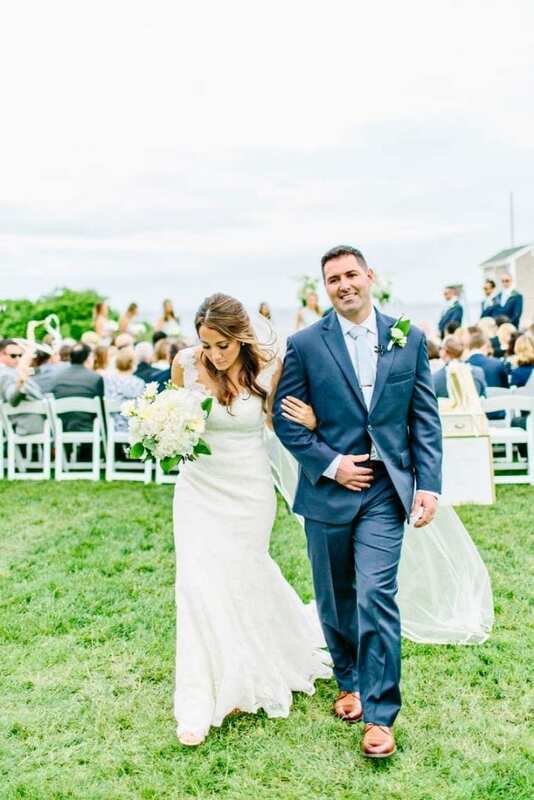 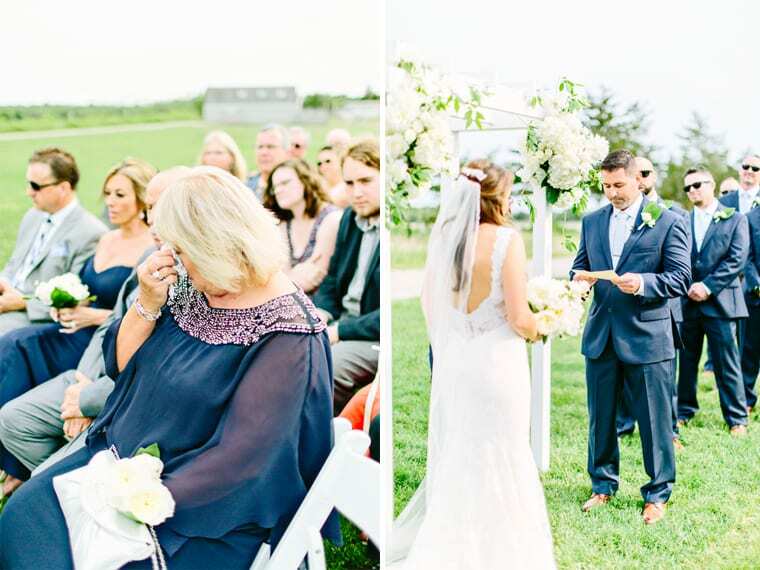 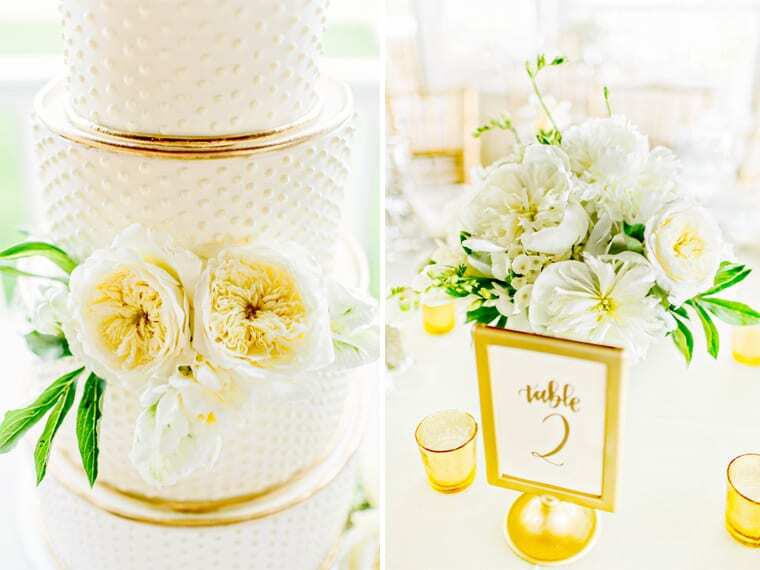 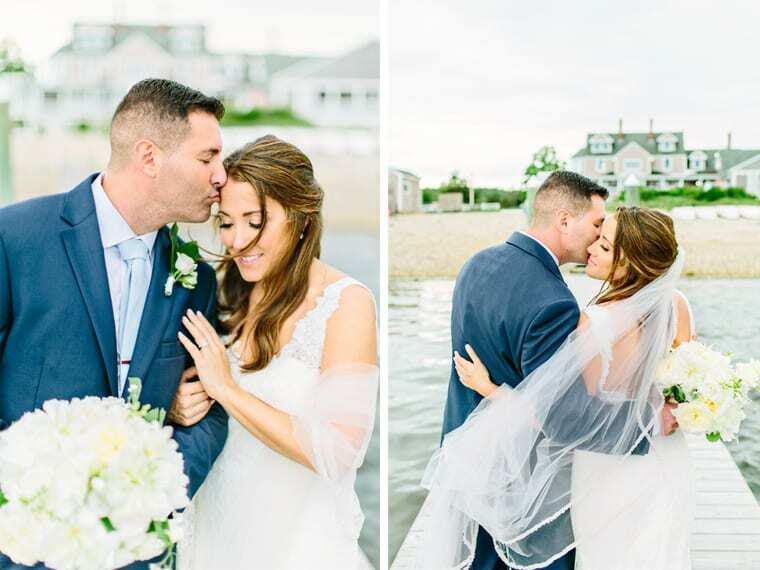 Kara & Anthony chose the most beautiful, hidden-gem of a location to get married. 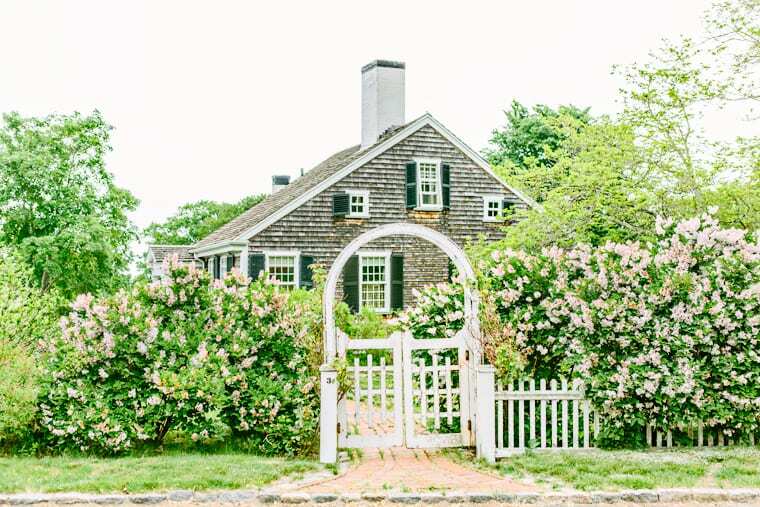 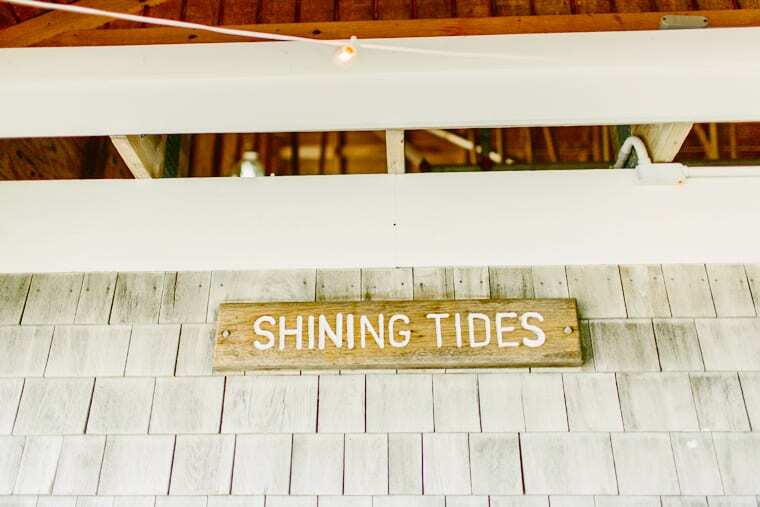 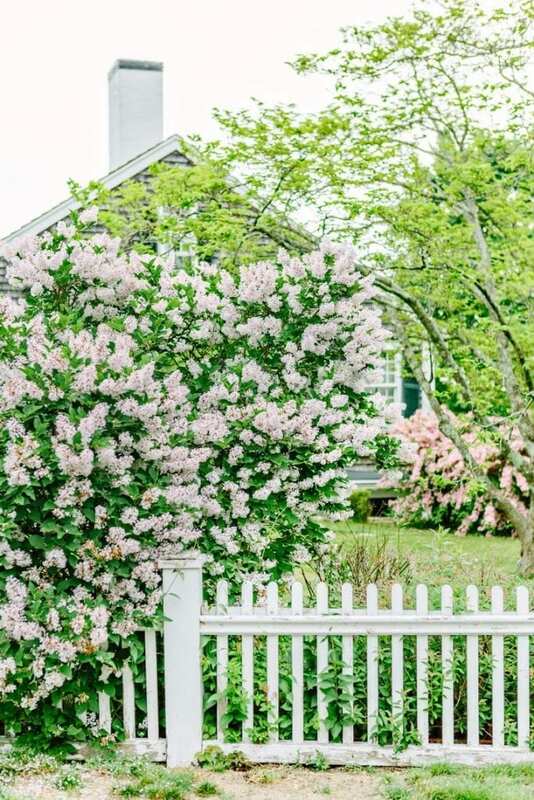 The Shining Tides in Mattapoisett is really a beauty and not very well known either! 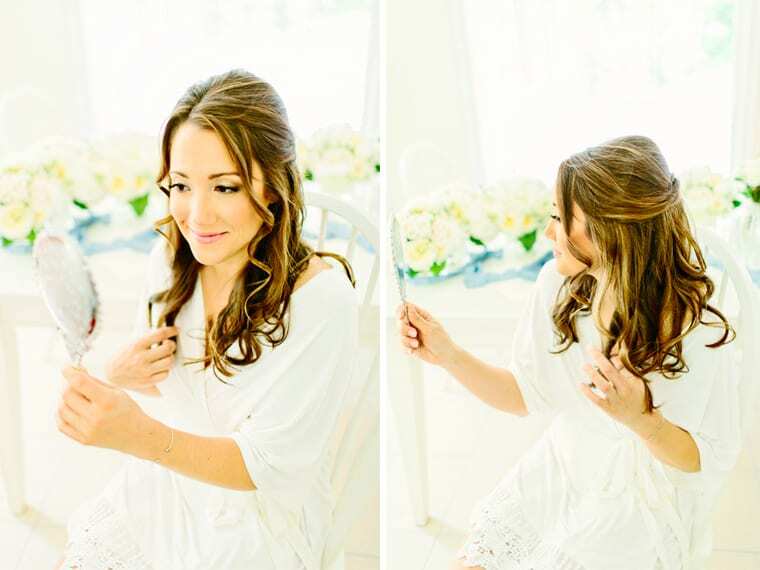 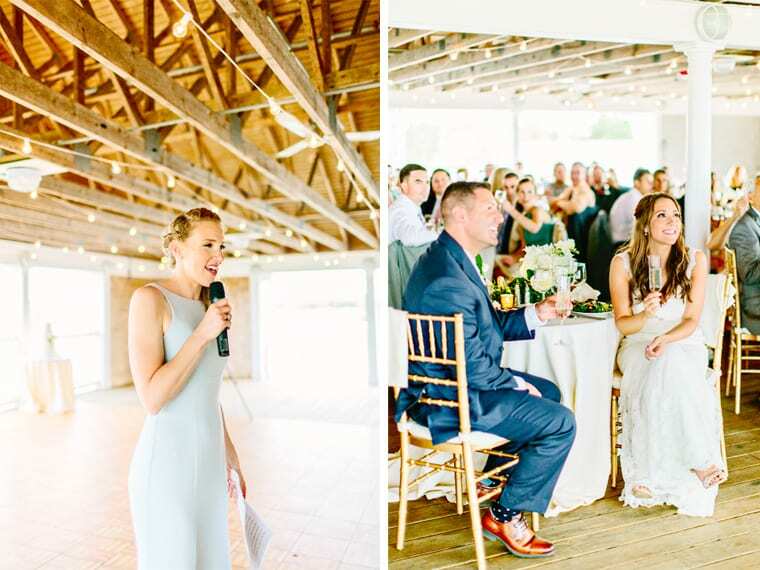 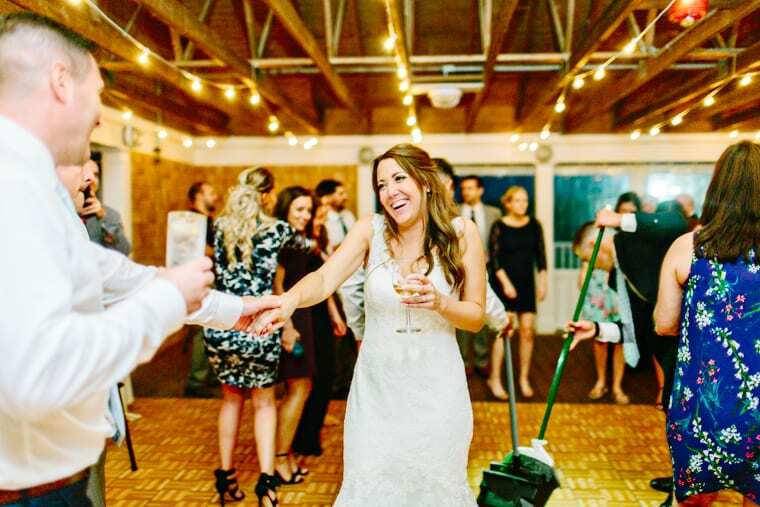 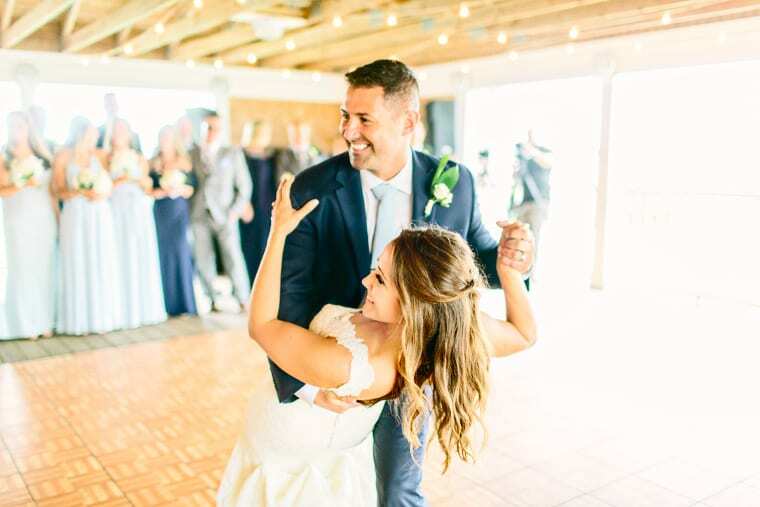 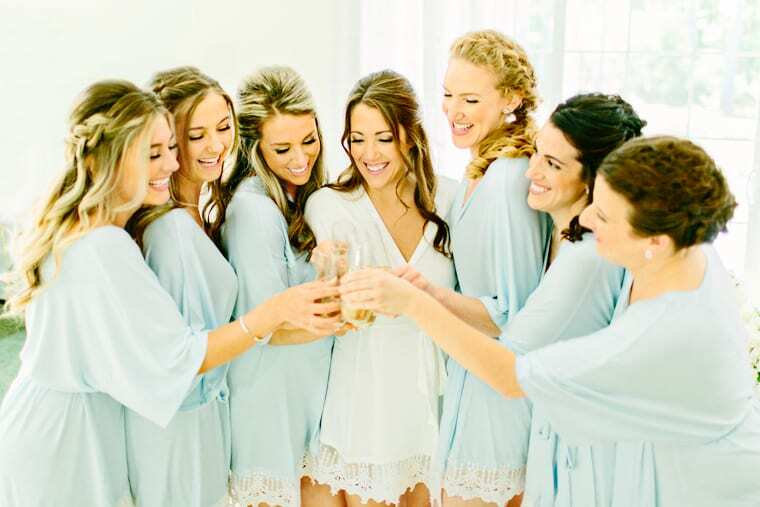 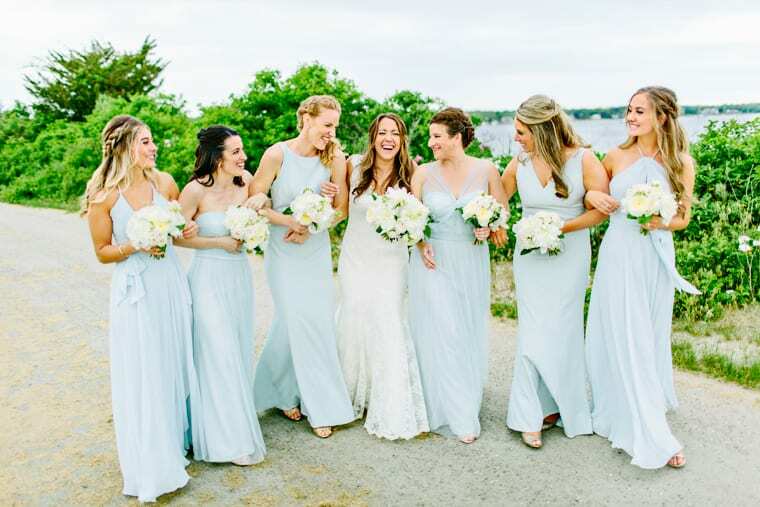 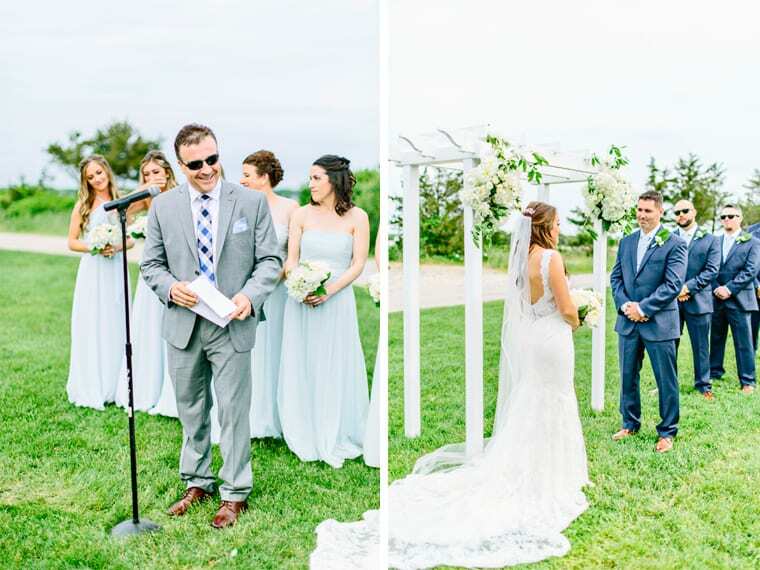 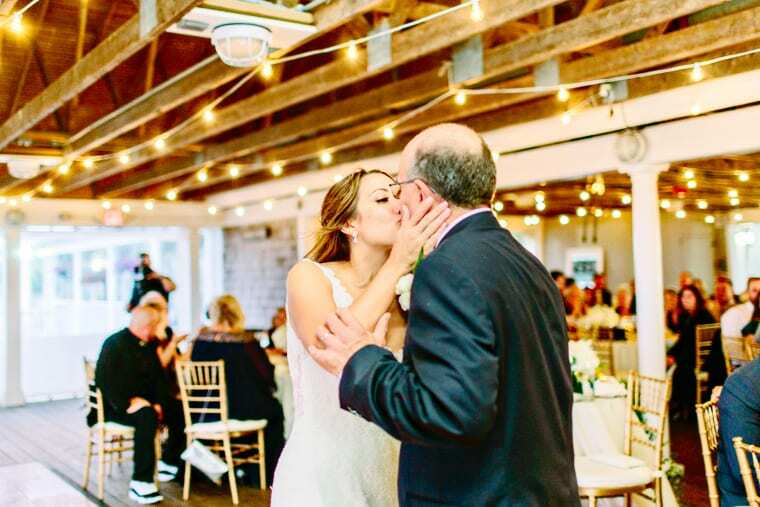 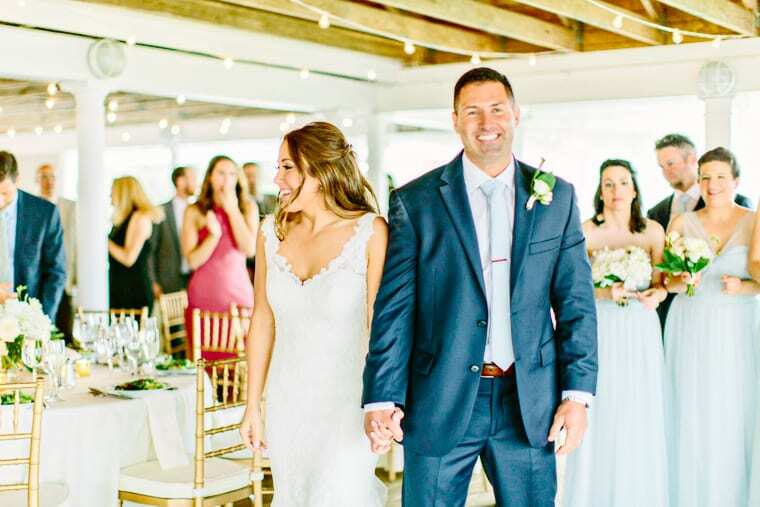 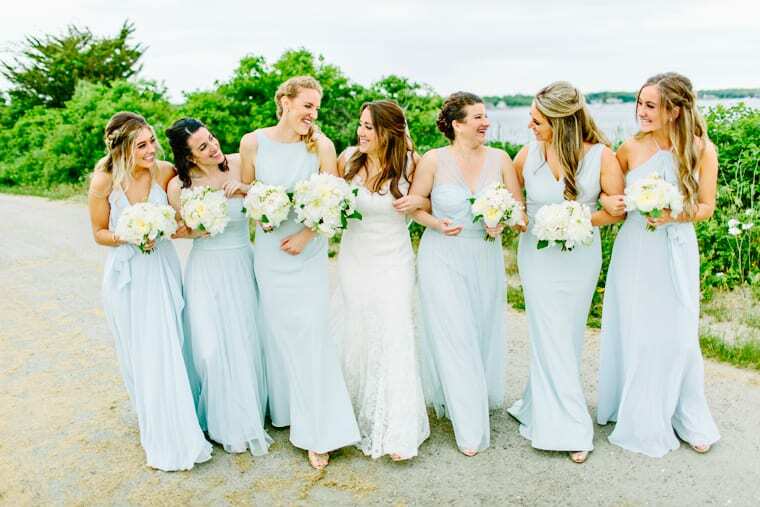 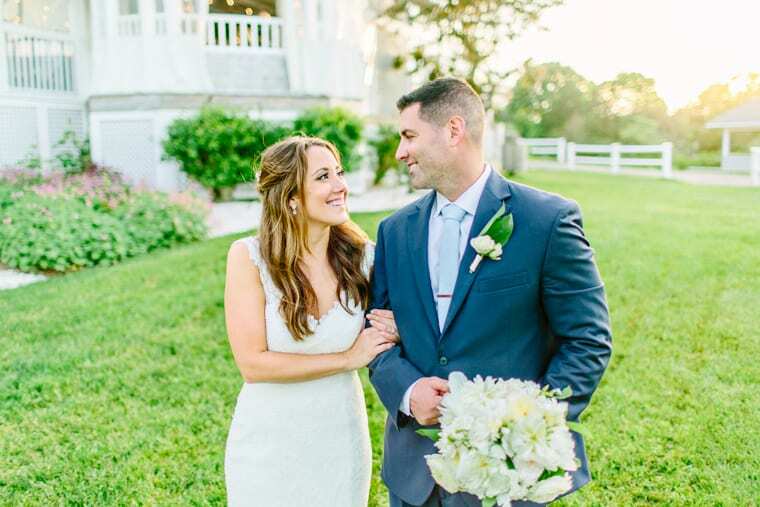 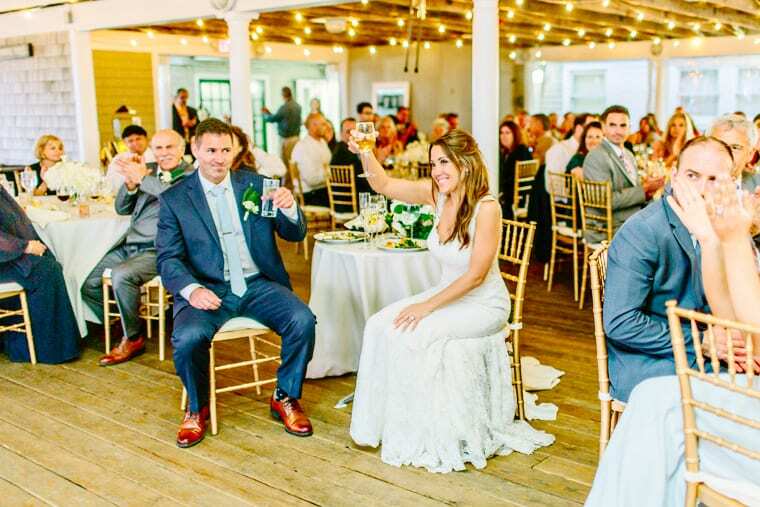 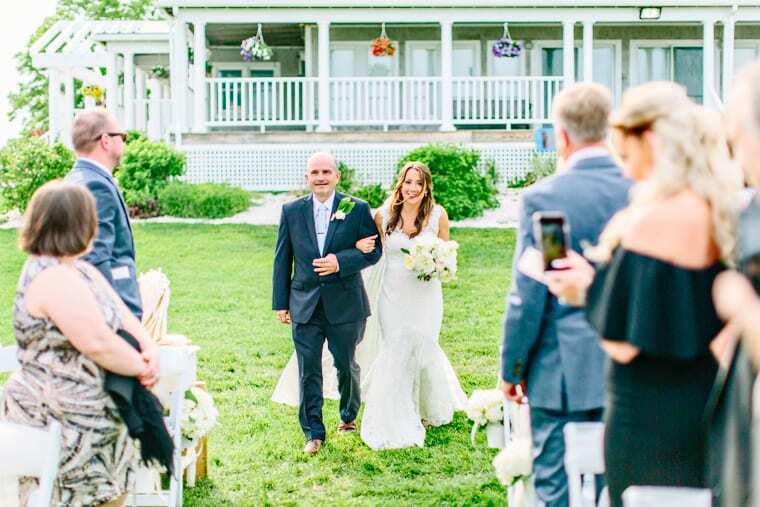 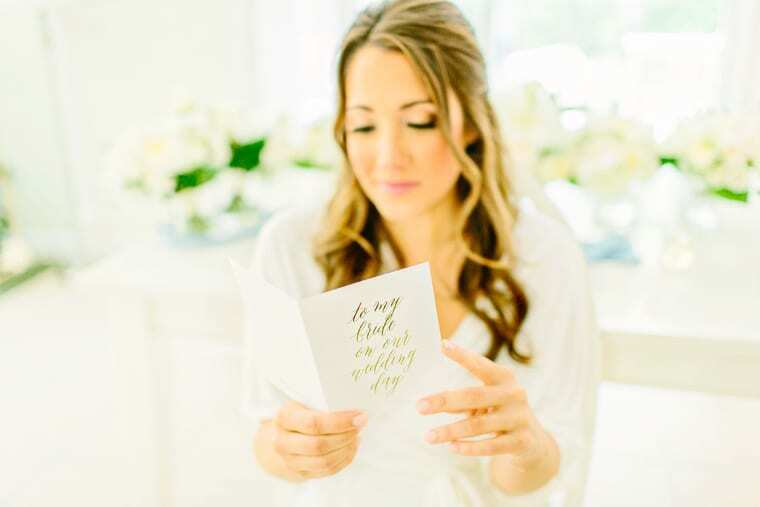 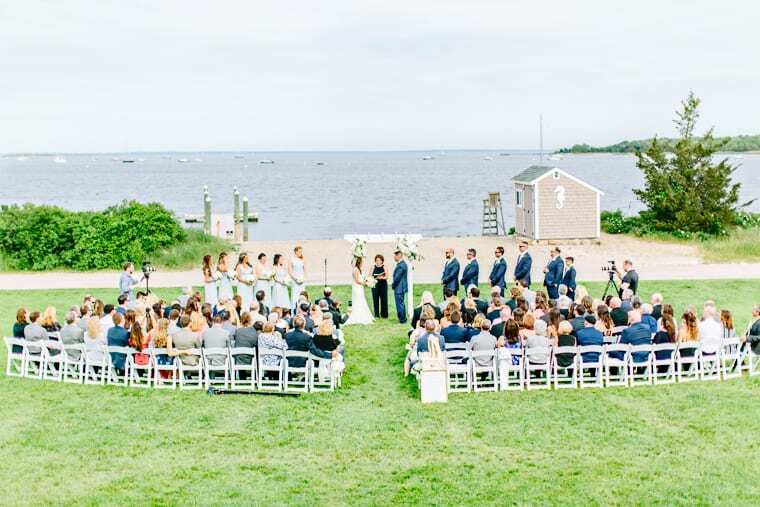 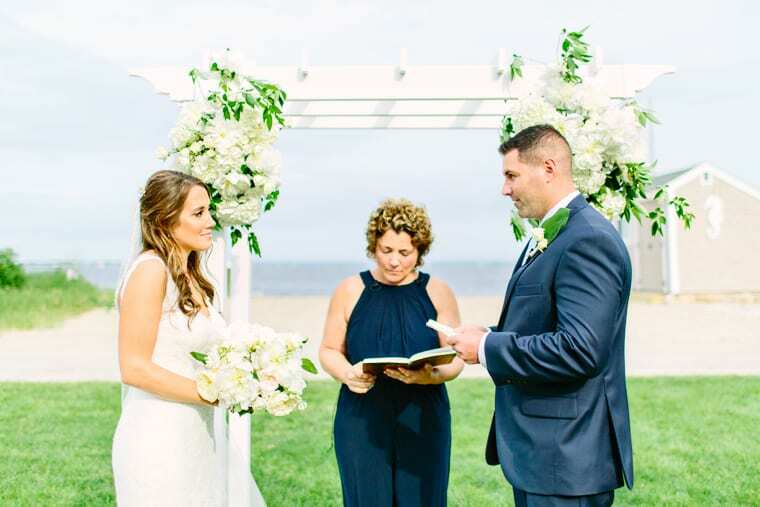 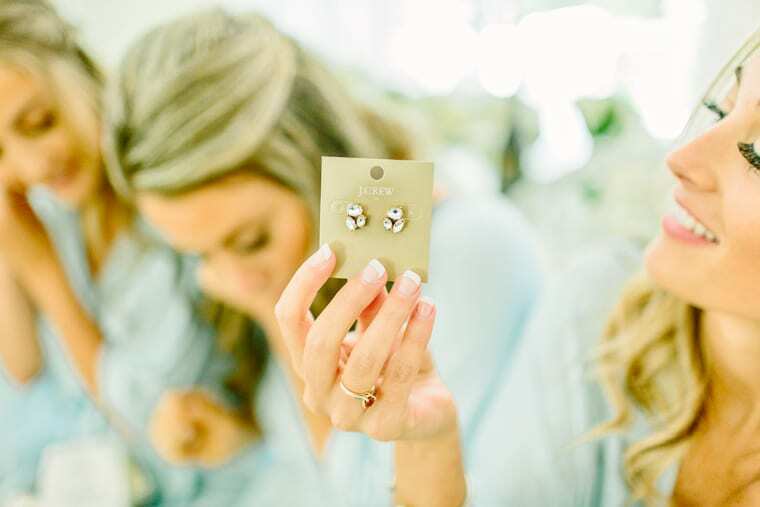 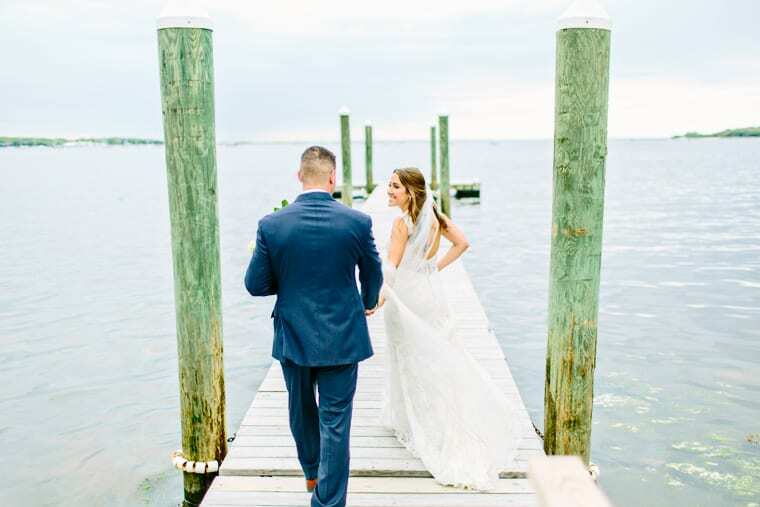 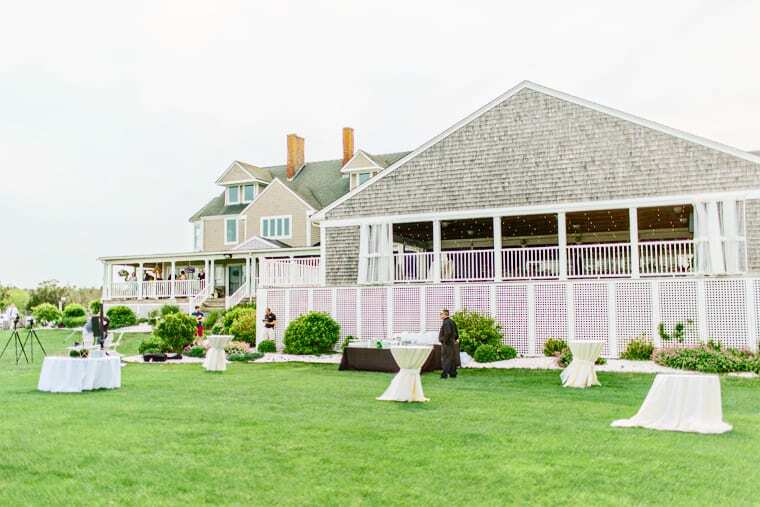 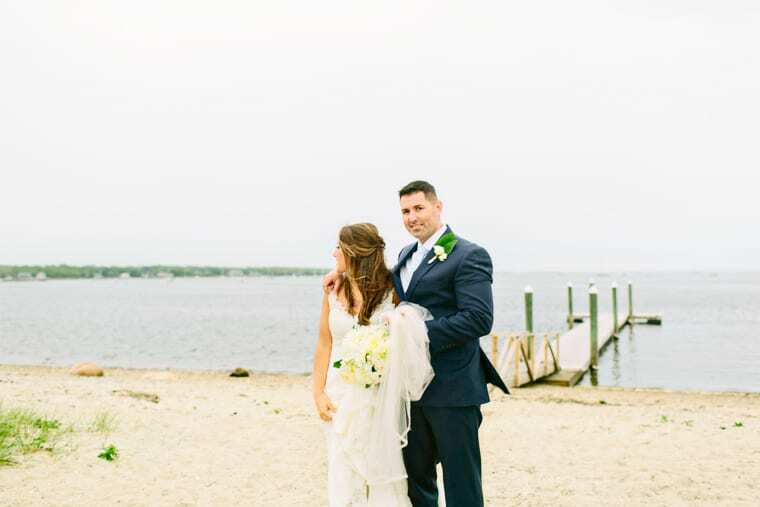 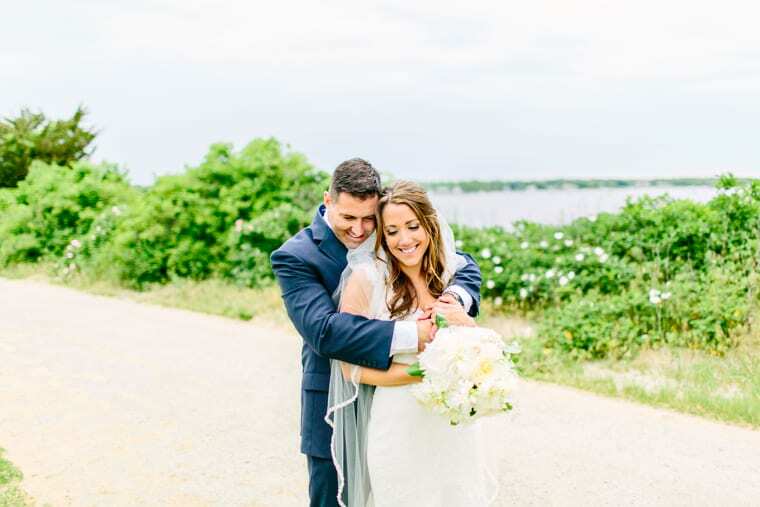 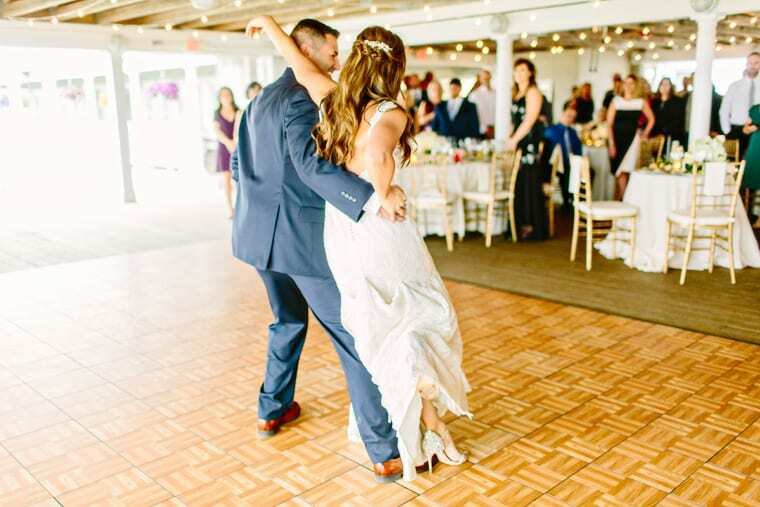 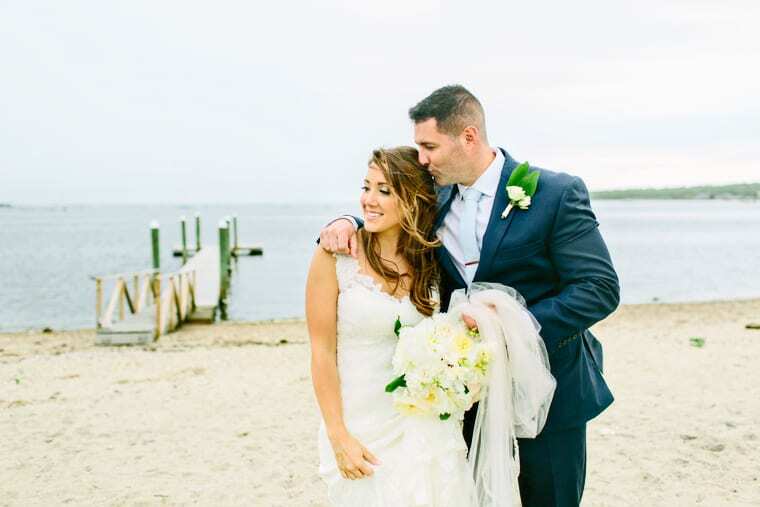 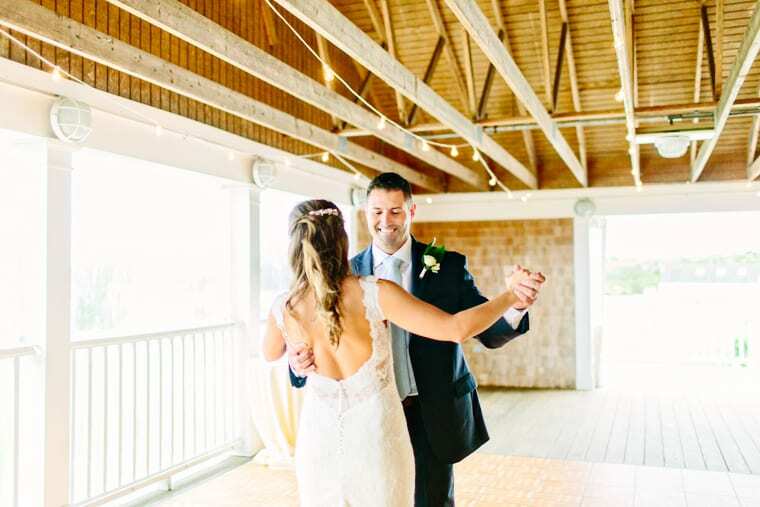 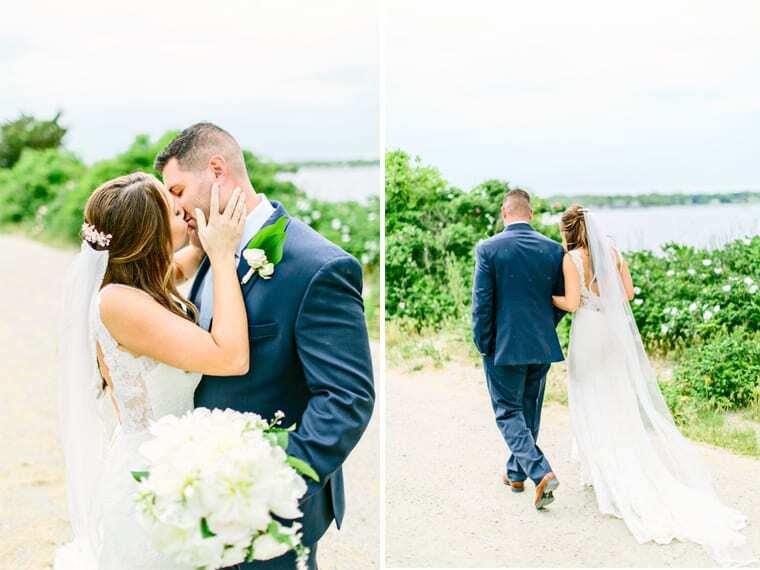 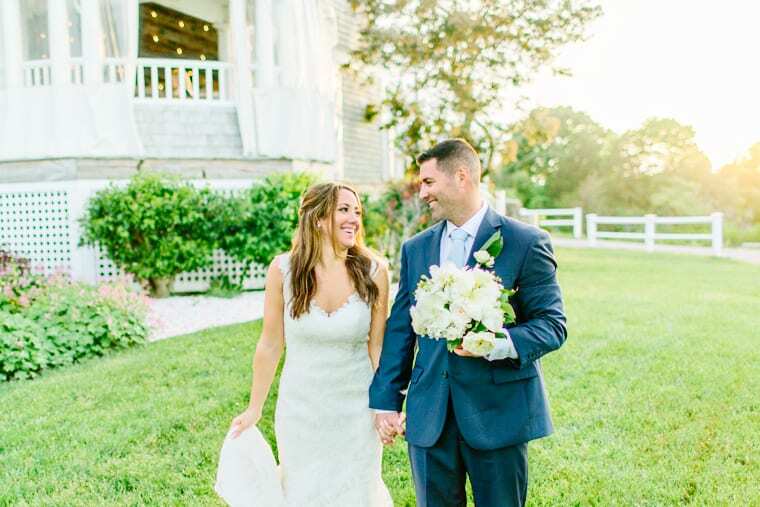 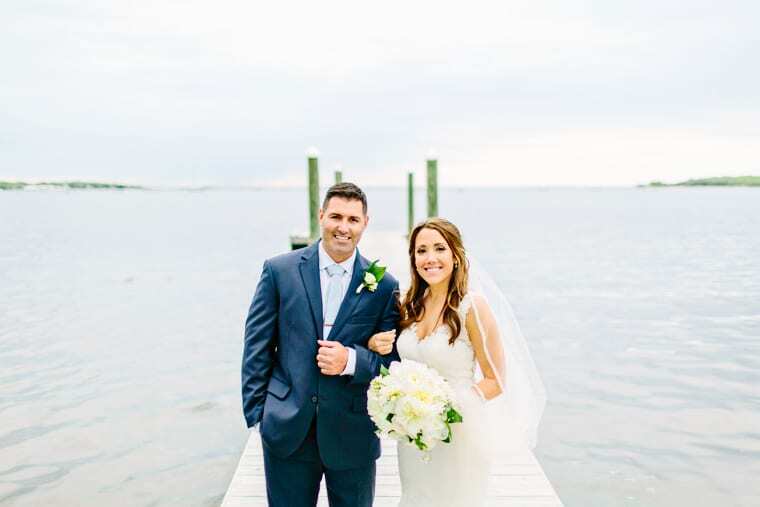 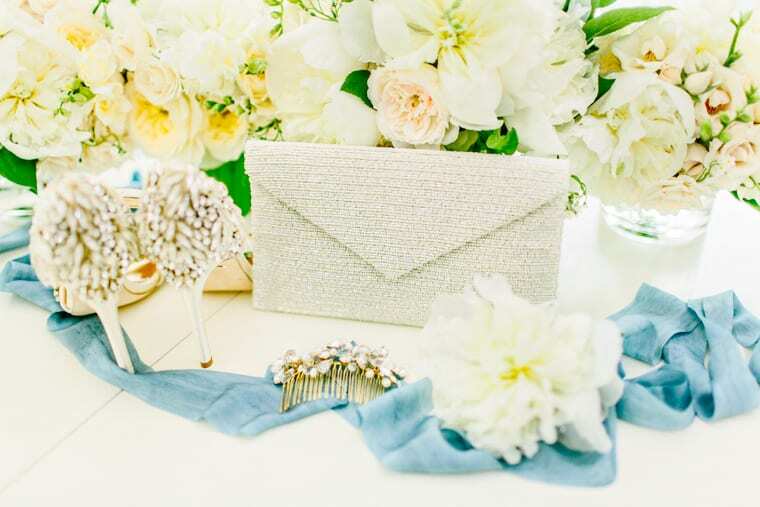 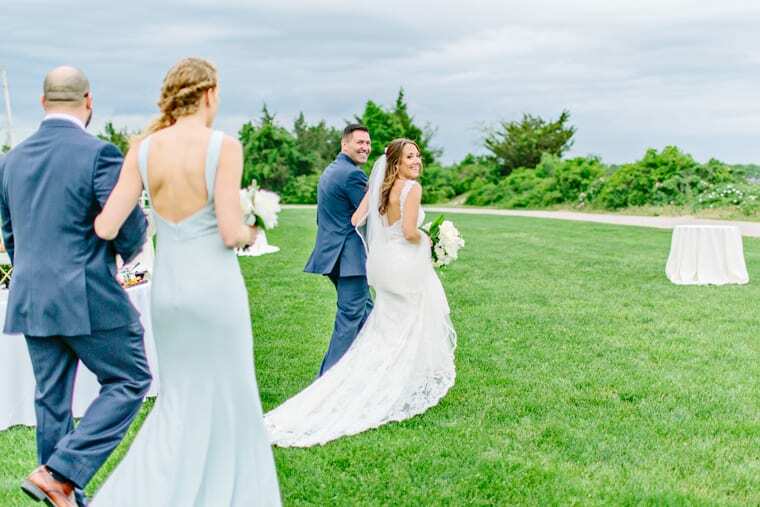 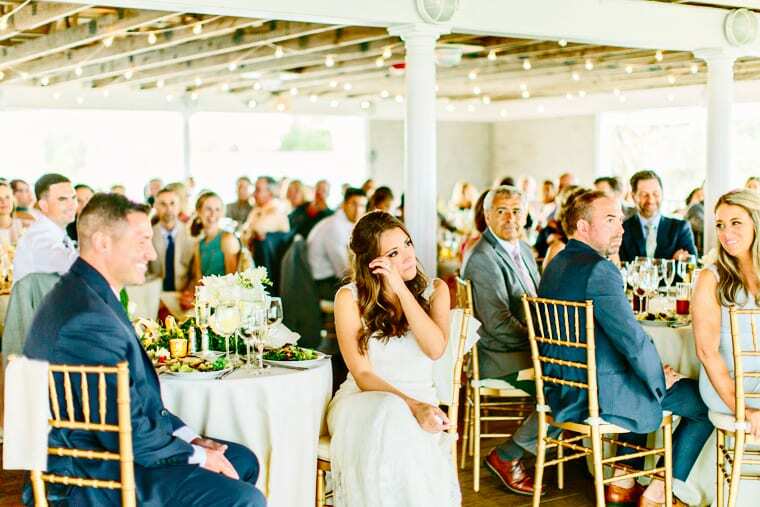 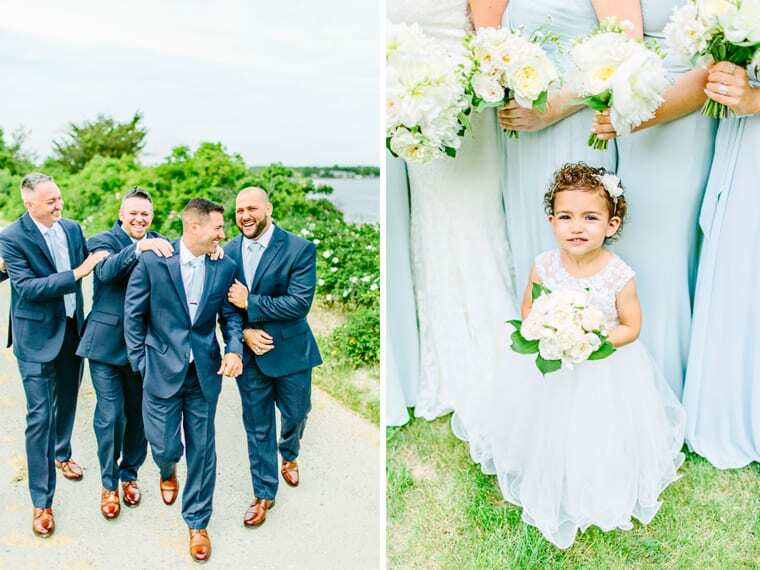 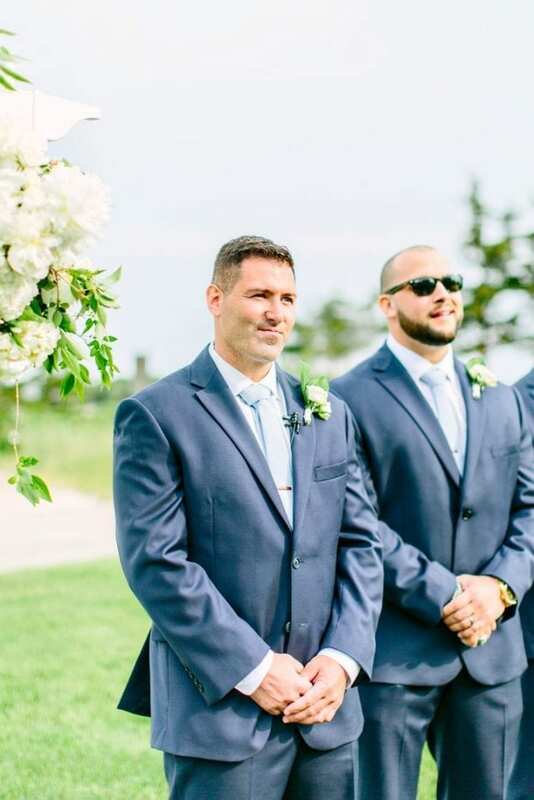 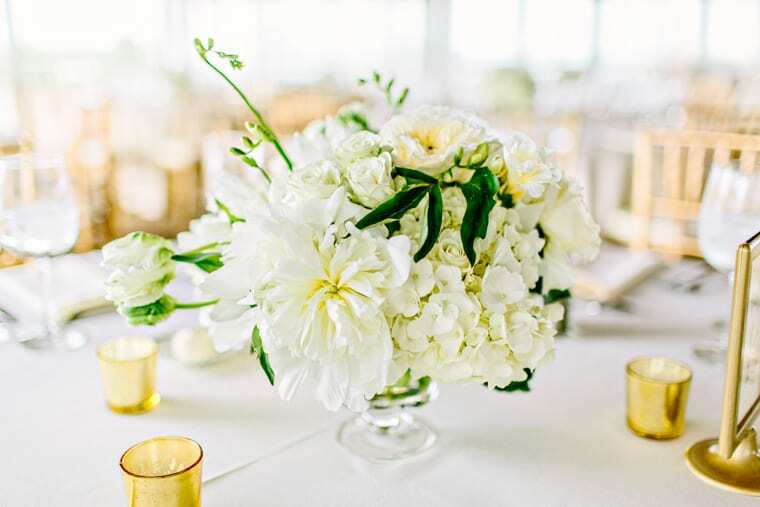 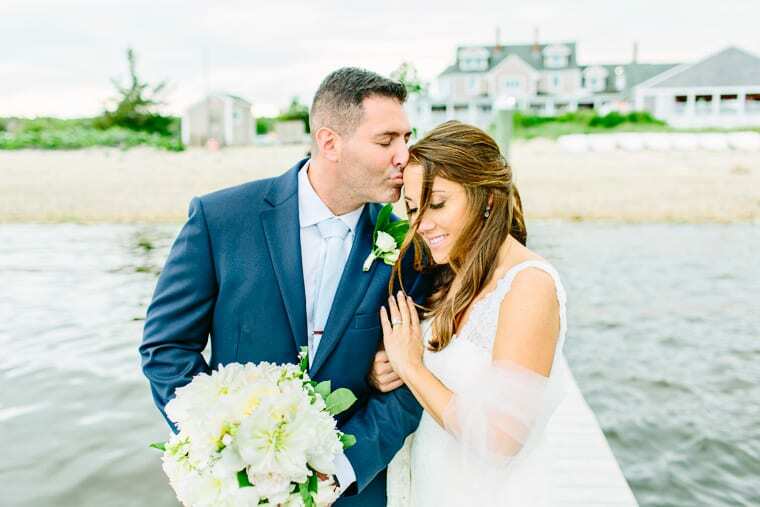 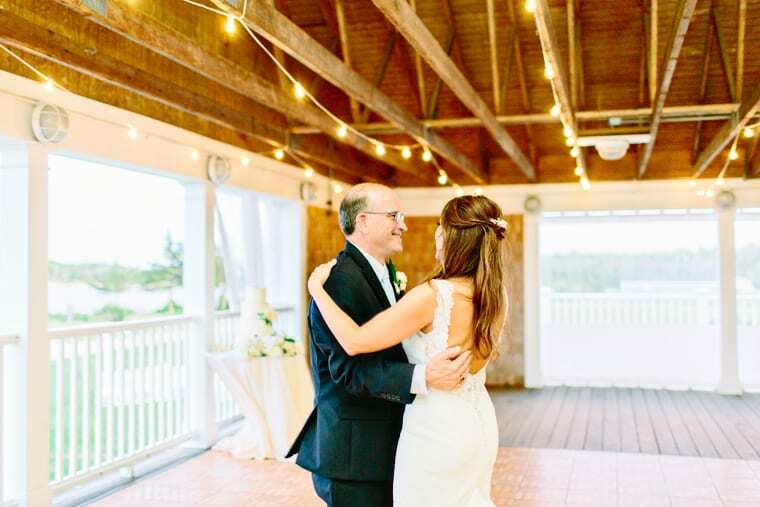 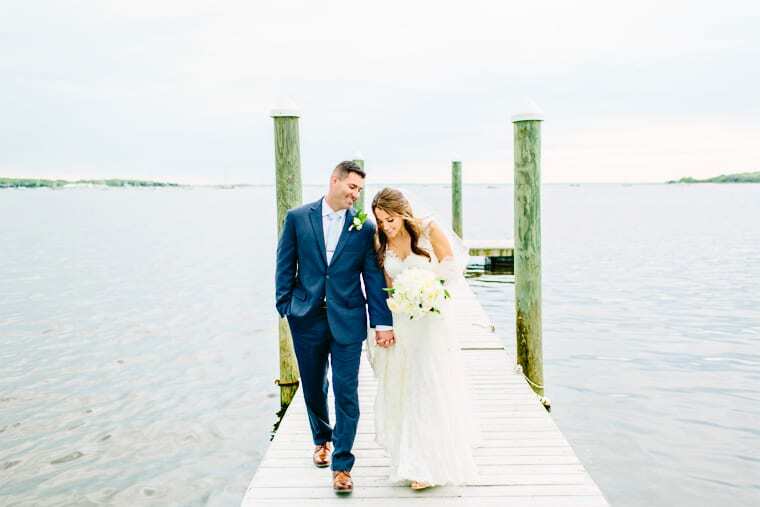 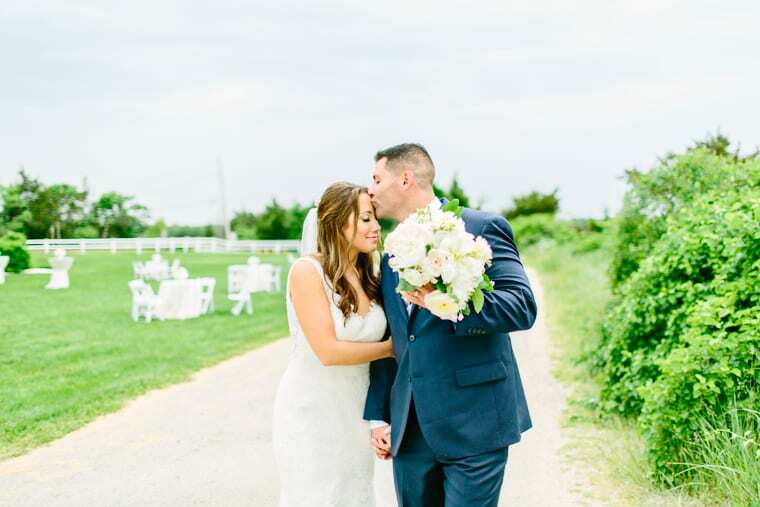 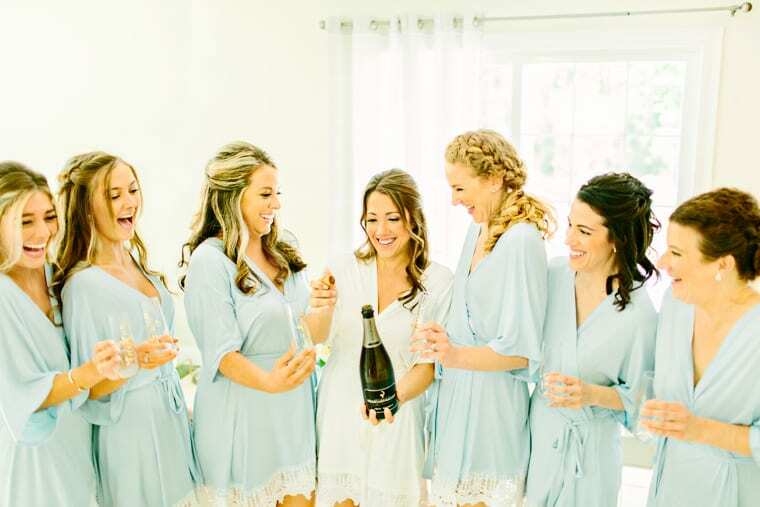 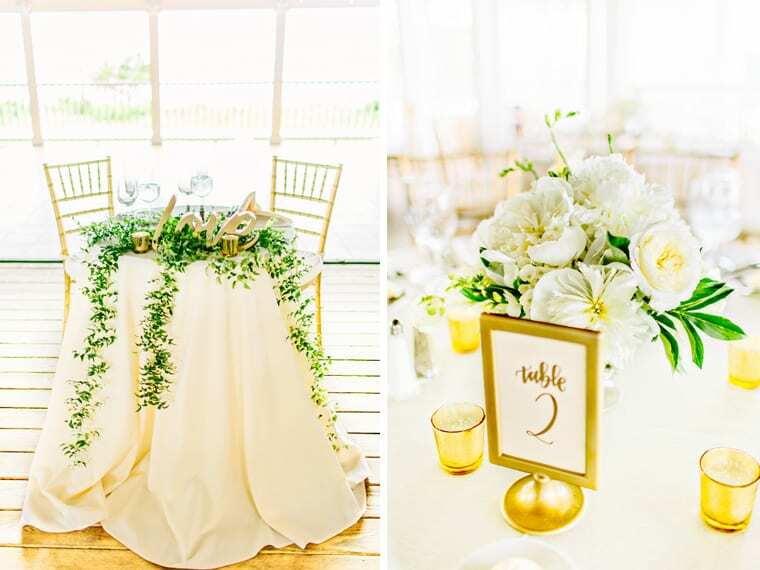 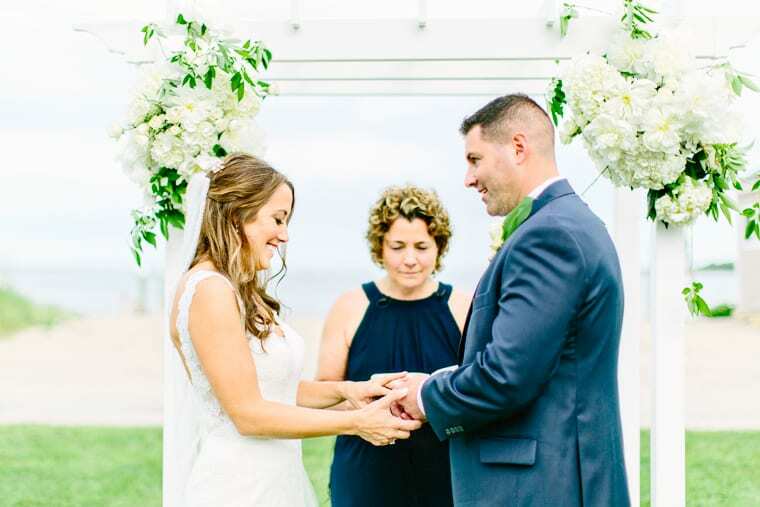 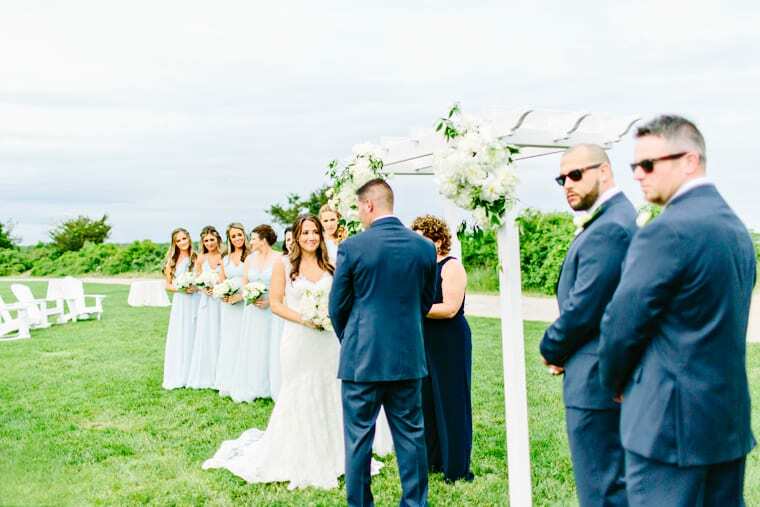 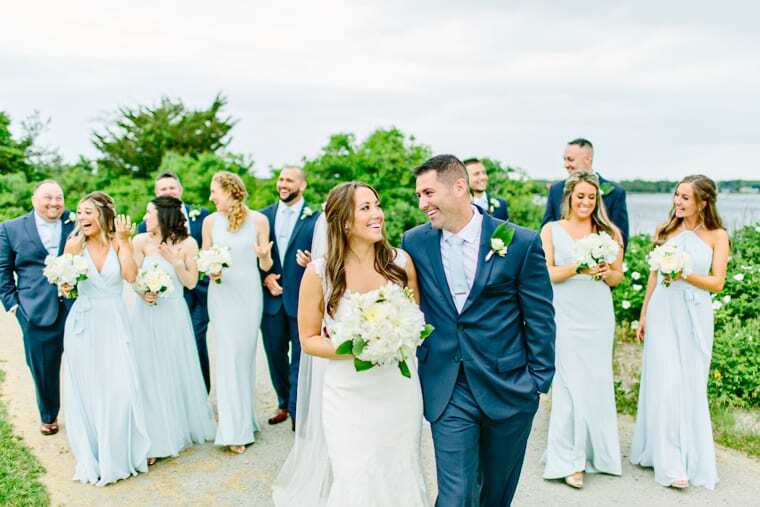 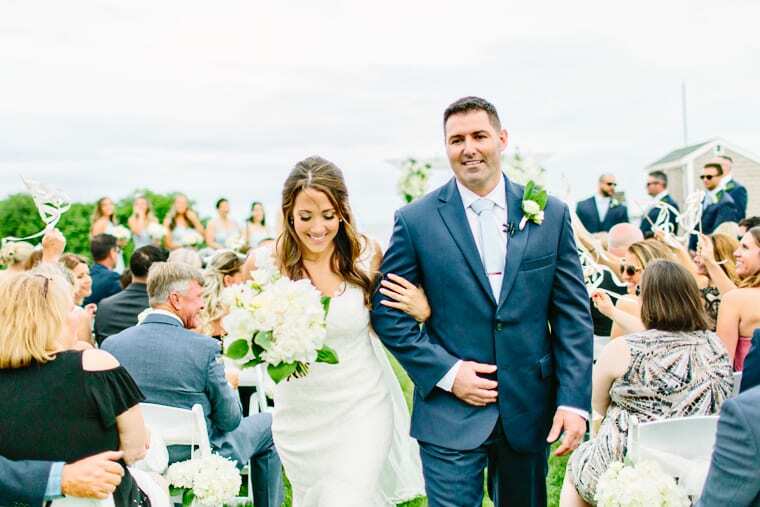 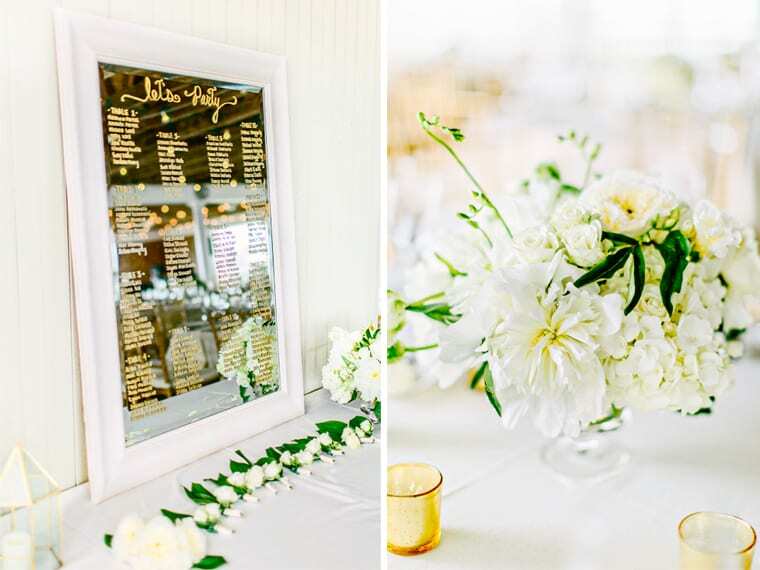 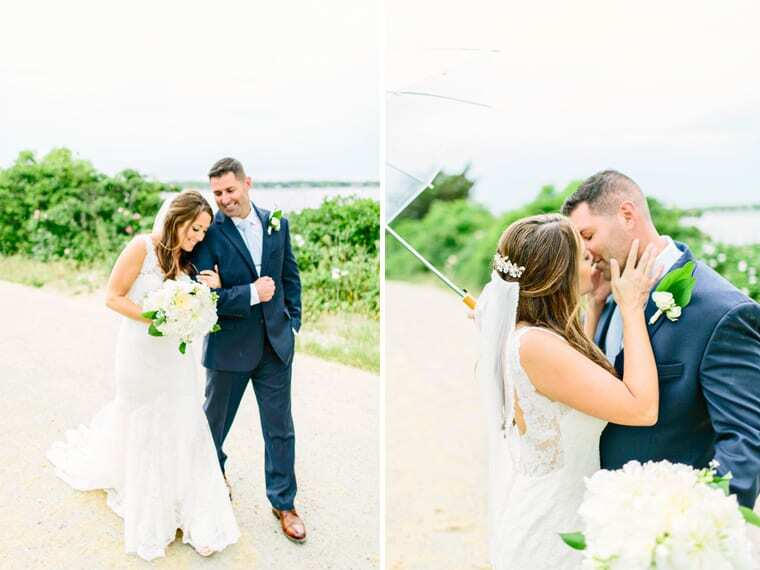 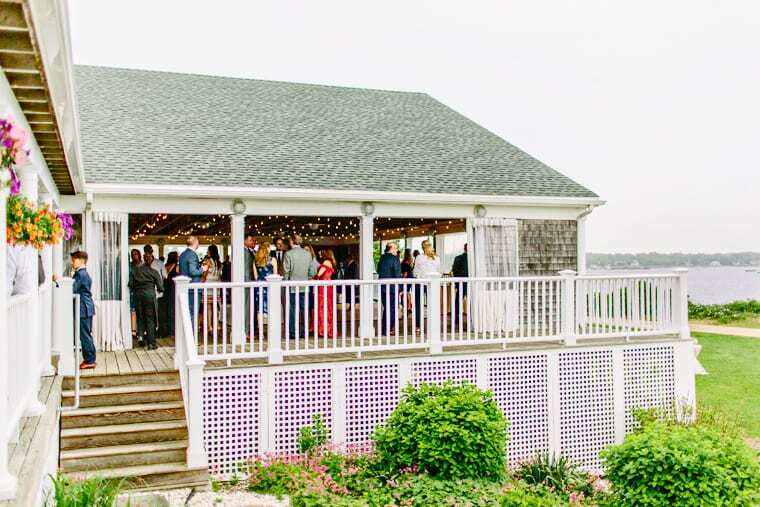 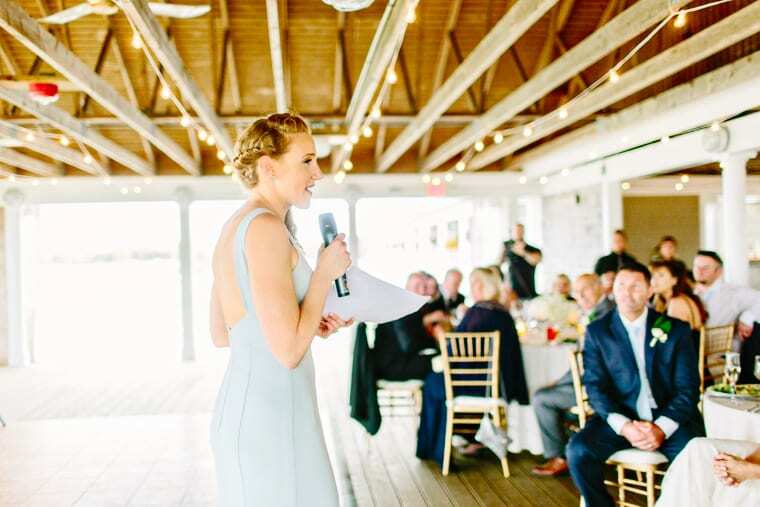 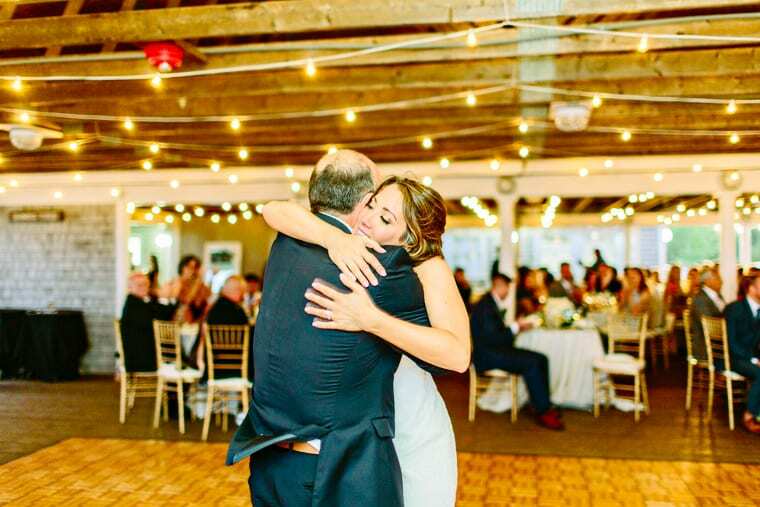 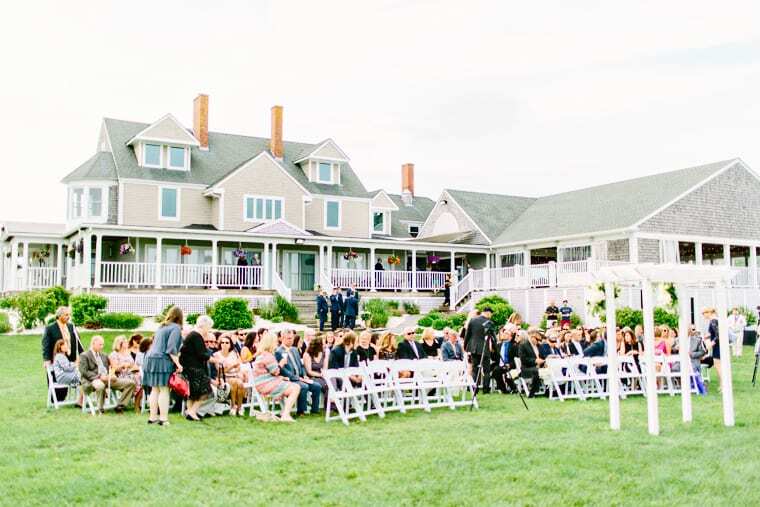 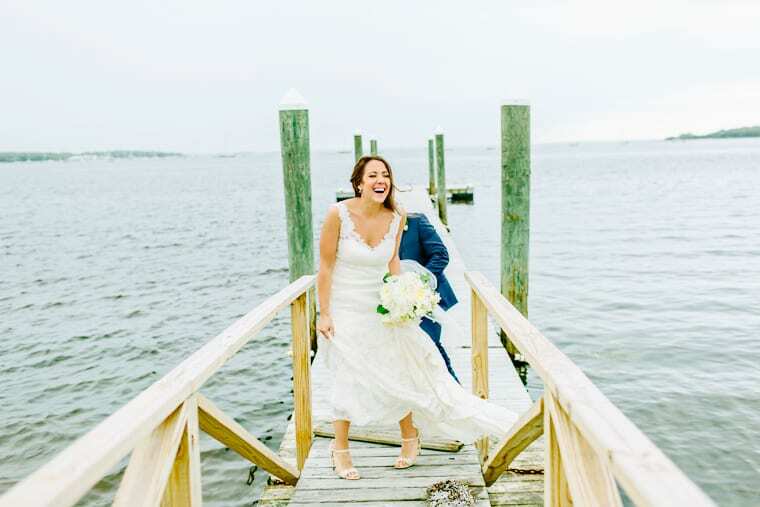 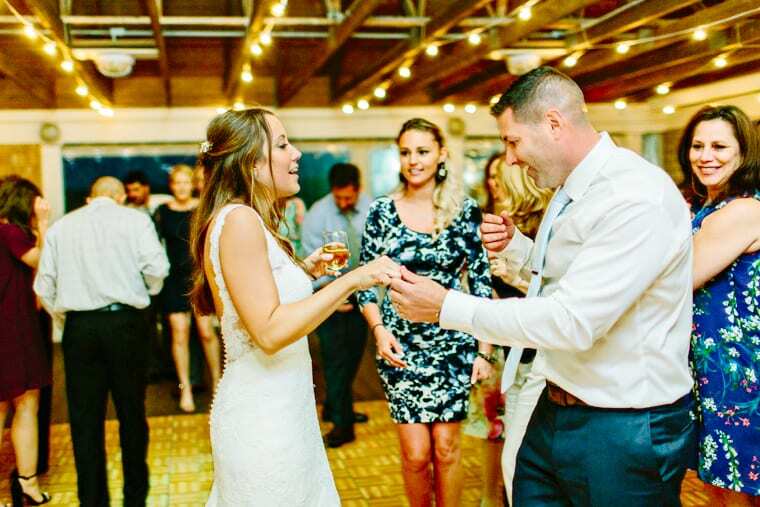 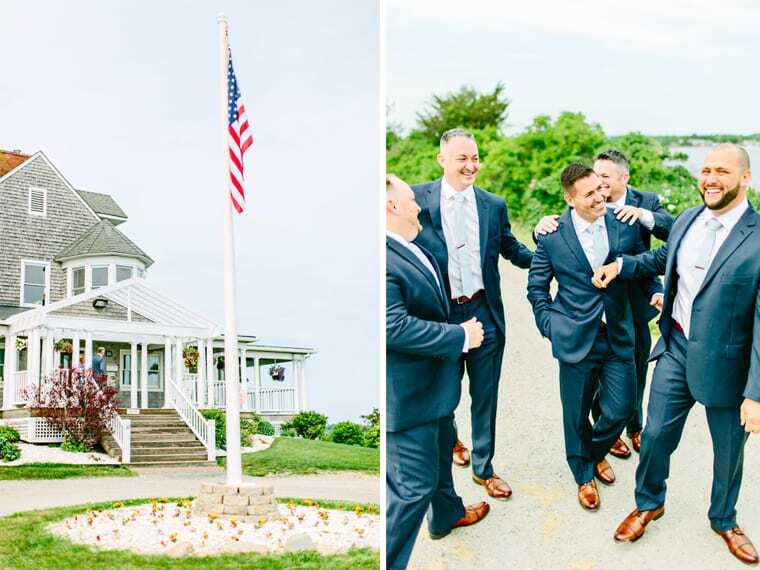 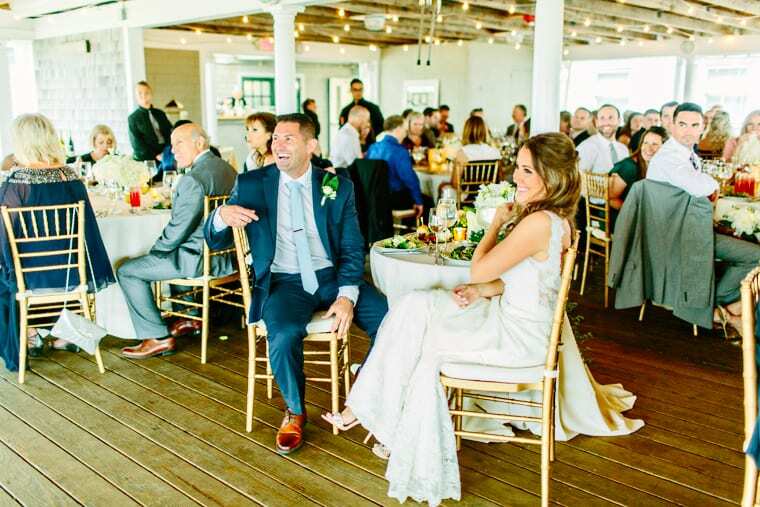 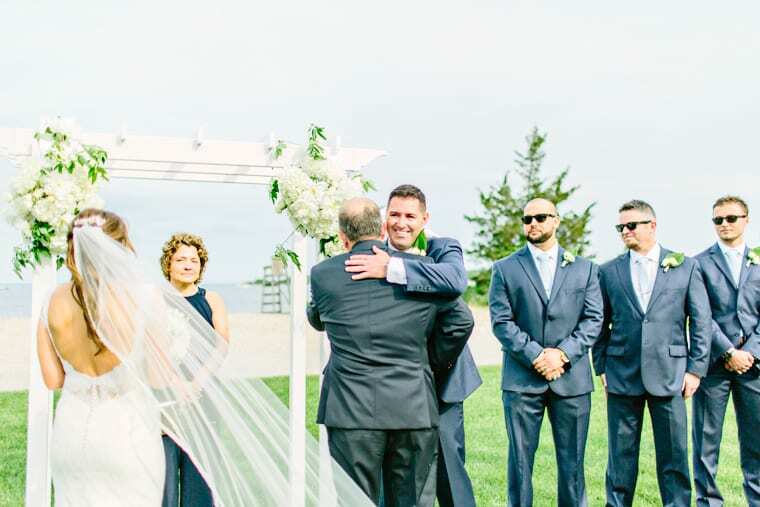 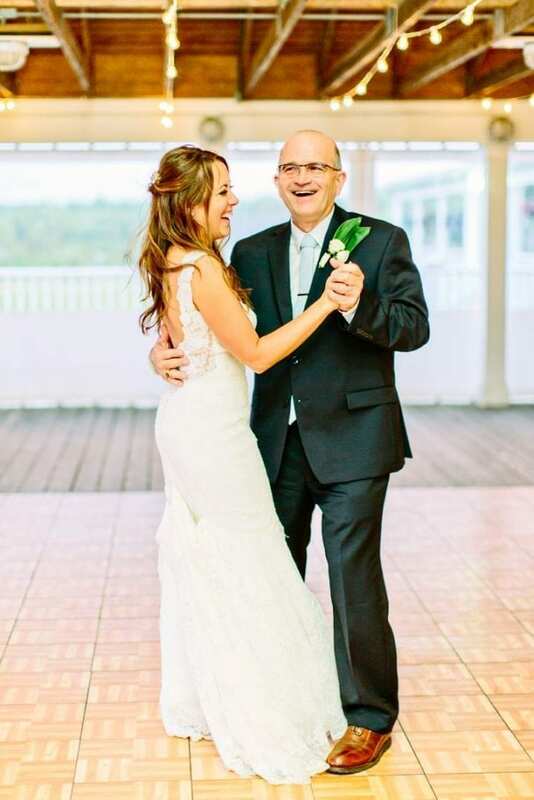 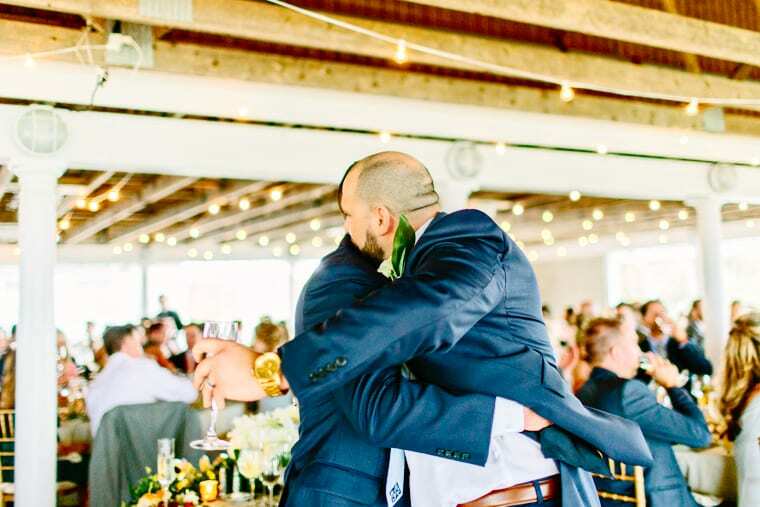 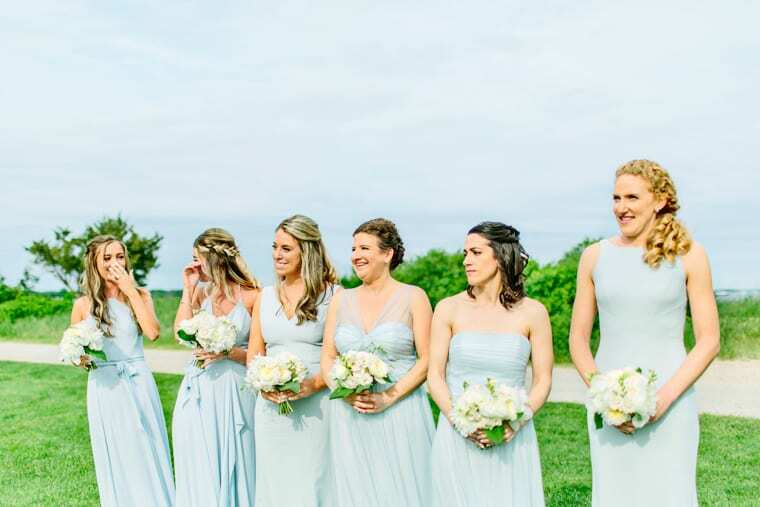 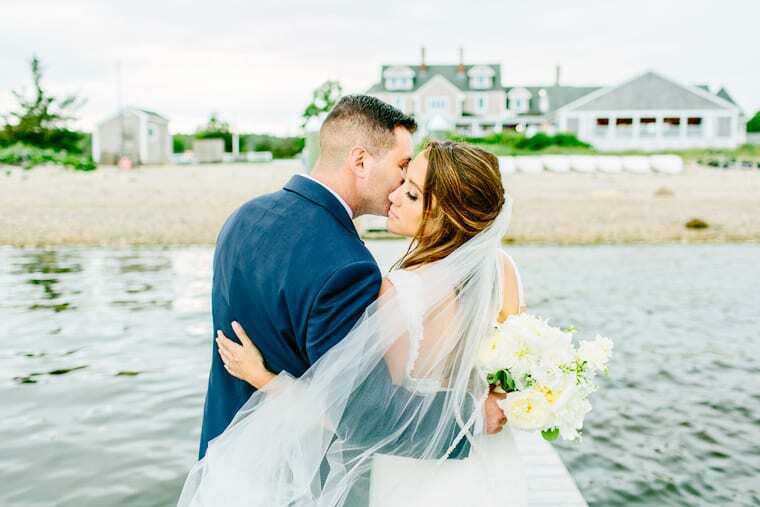 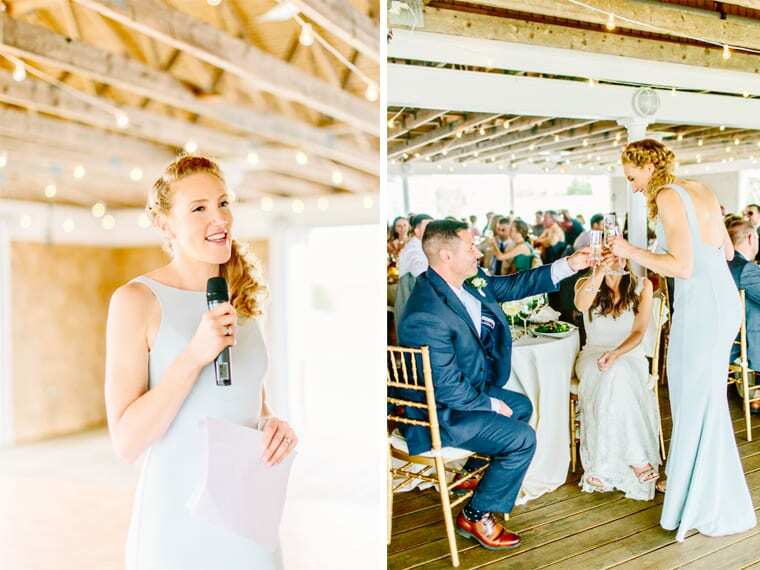 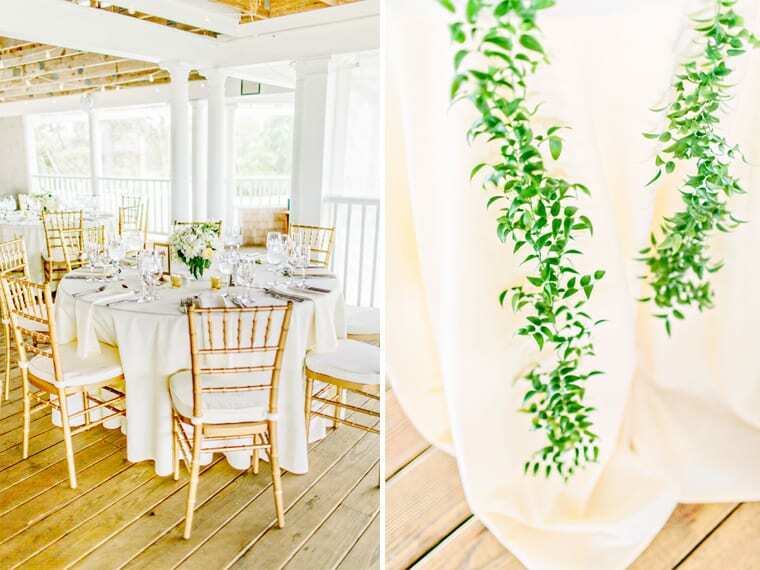 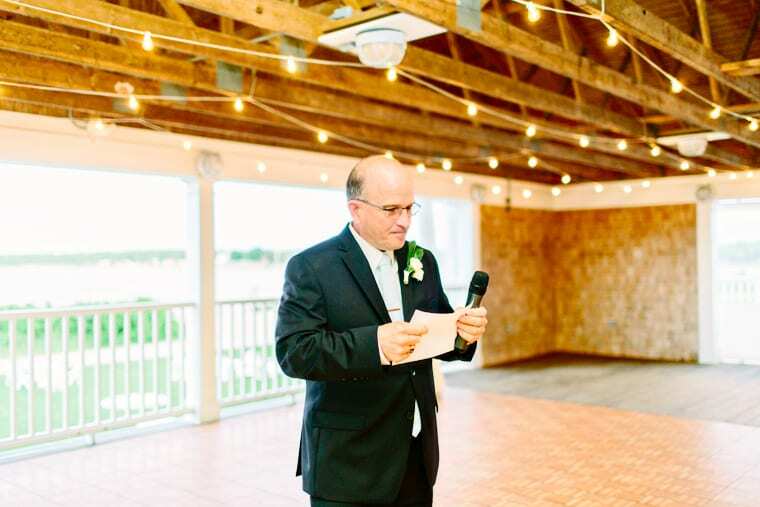 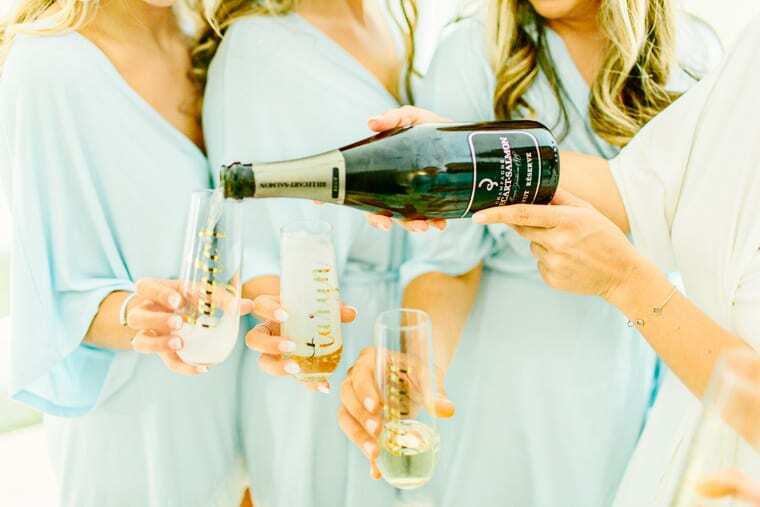 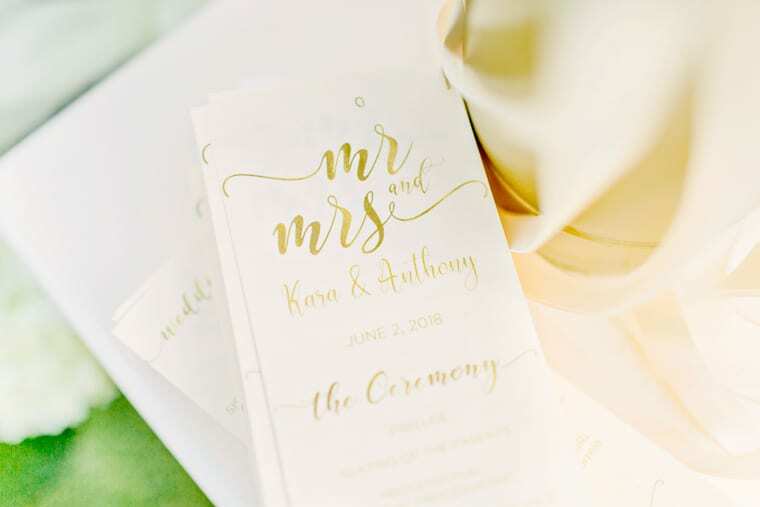 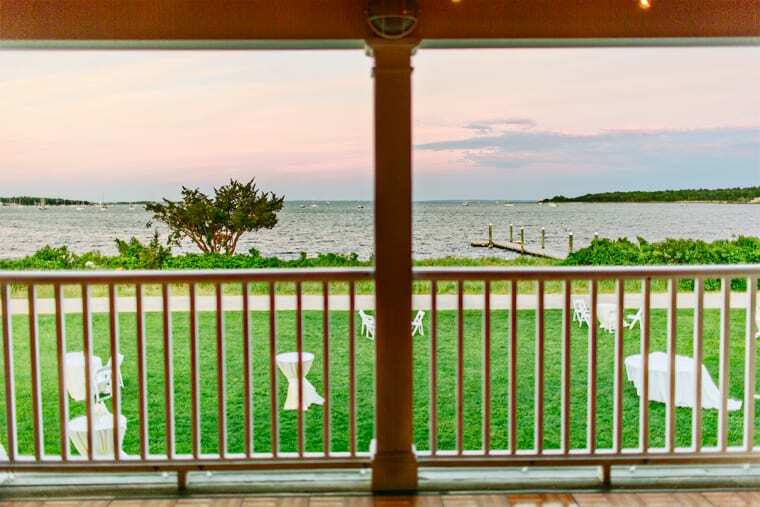 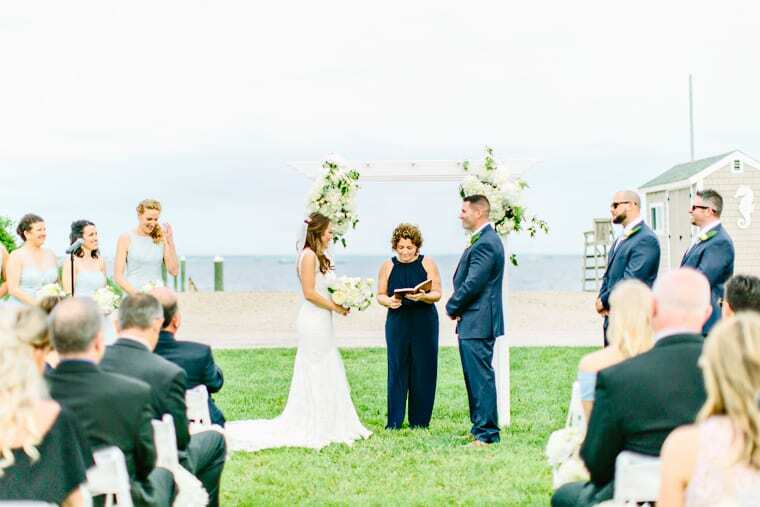 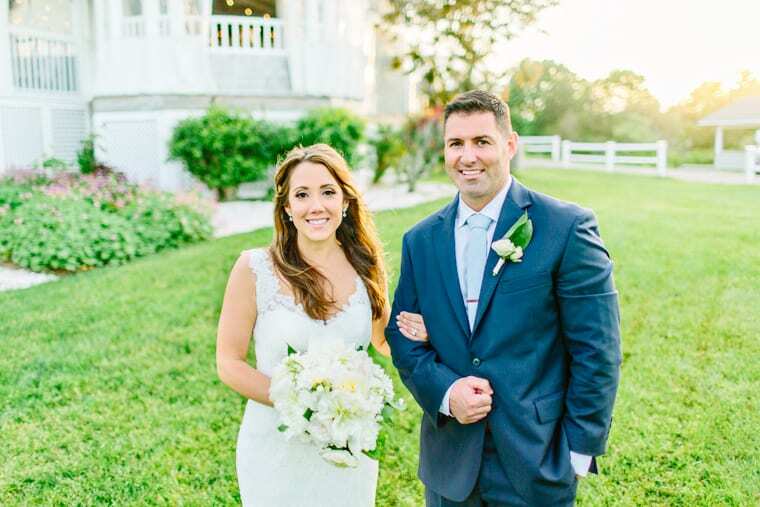 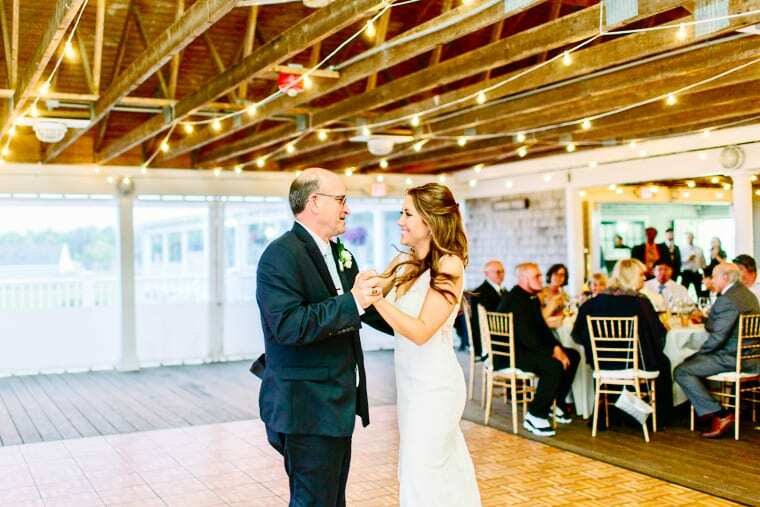 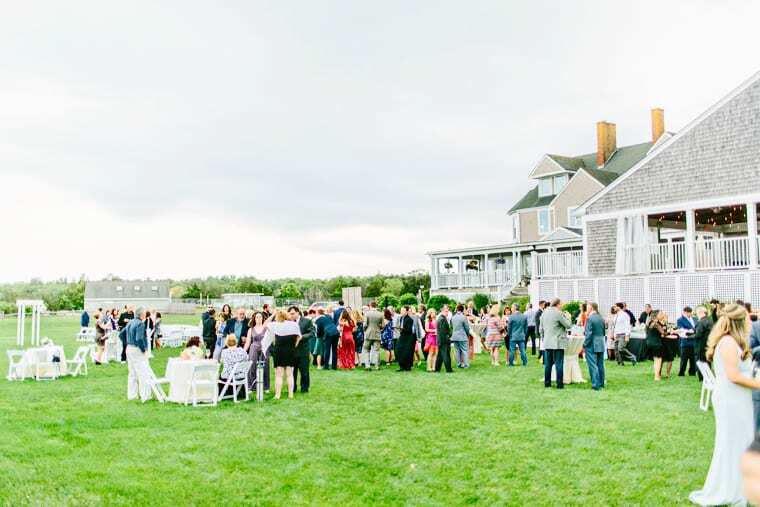 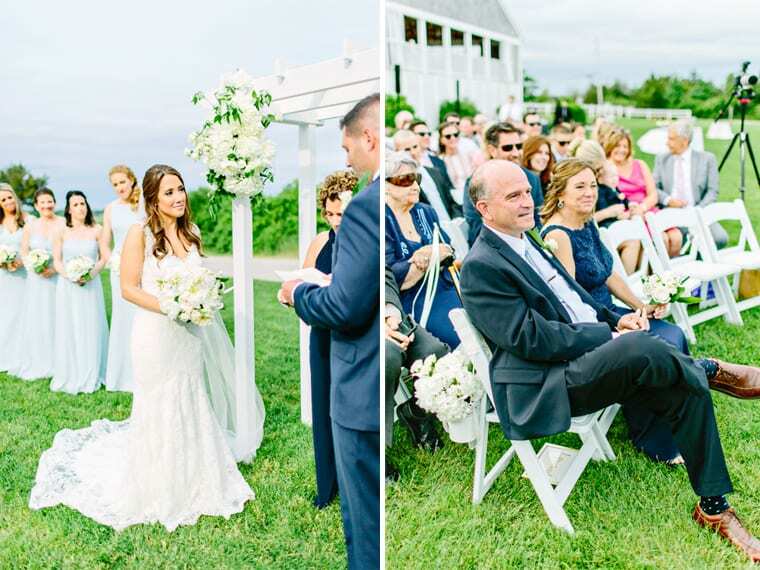 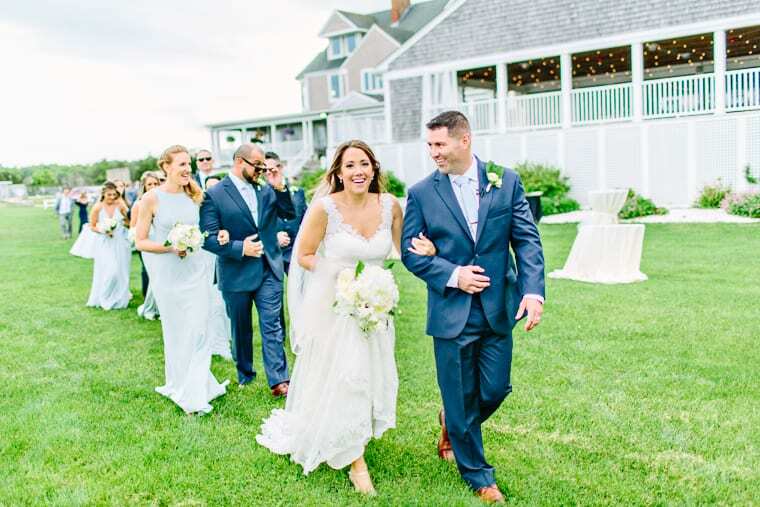 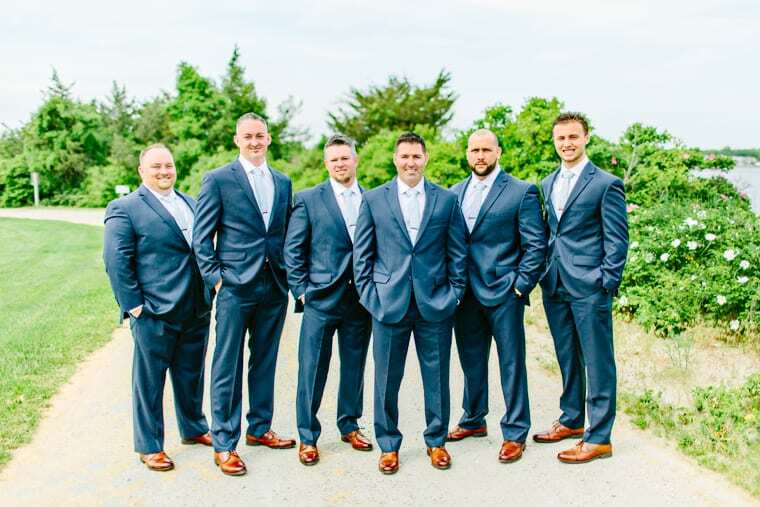 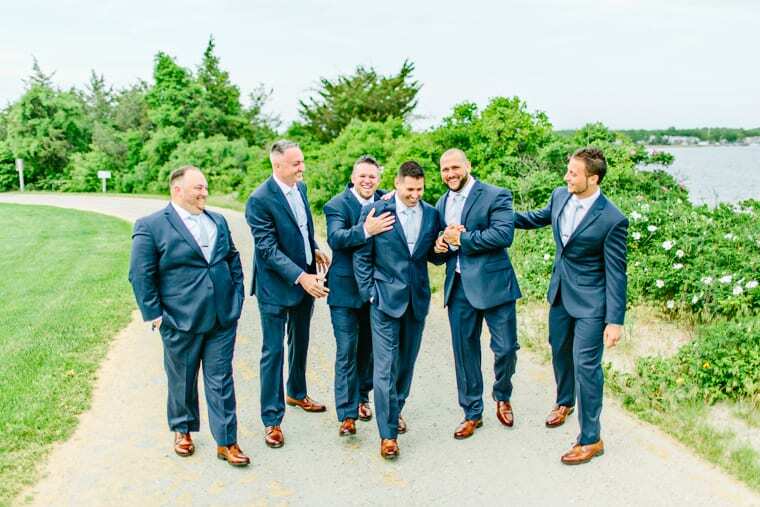 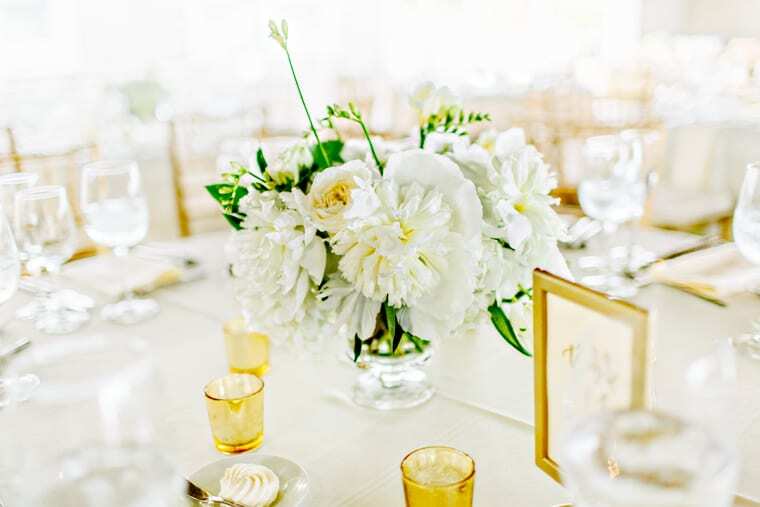 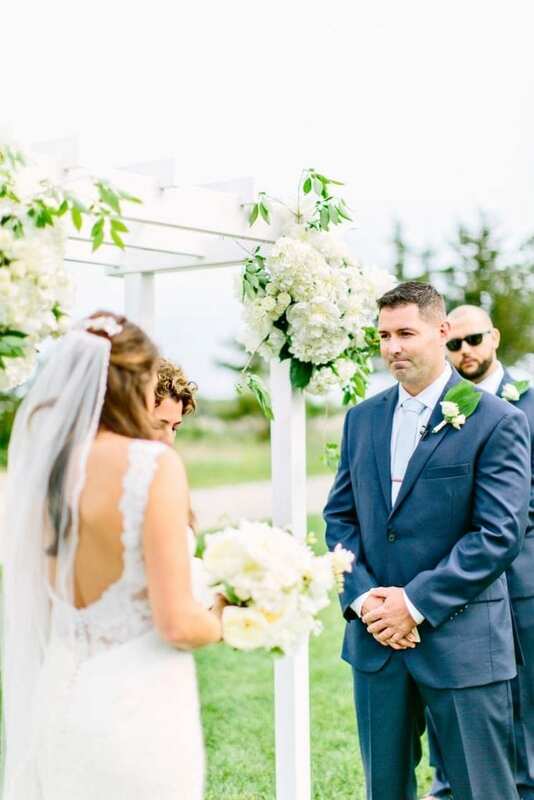 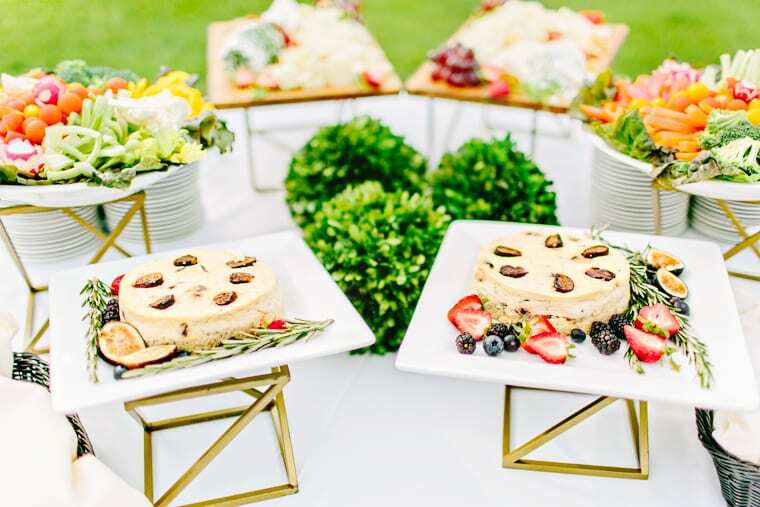 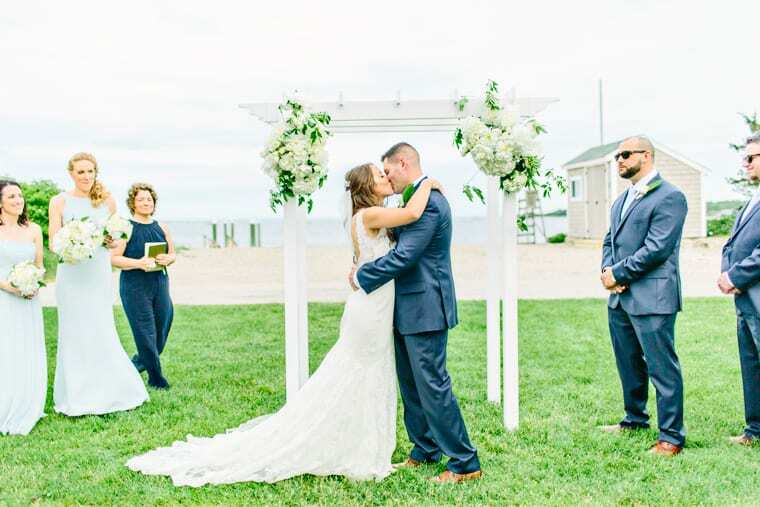 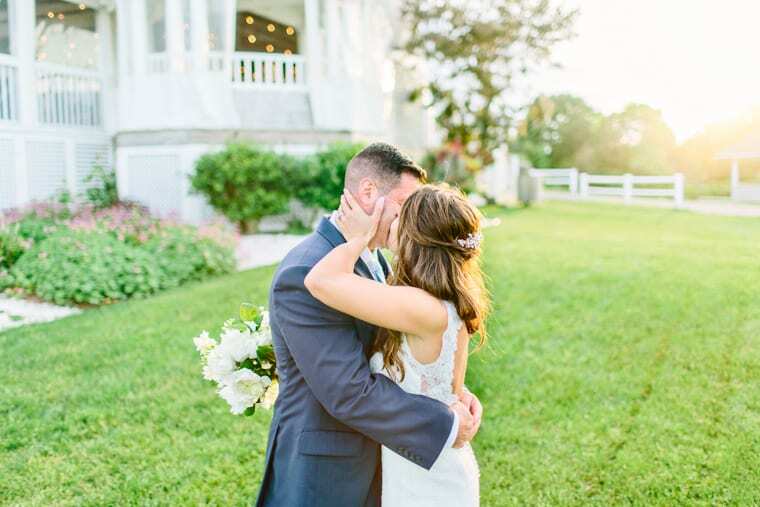 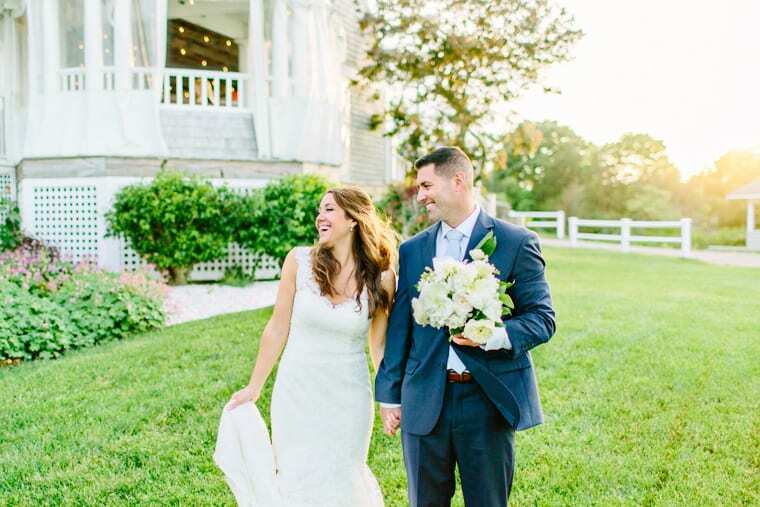 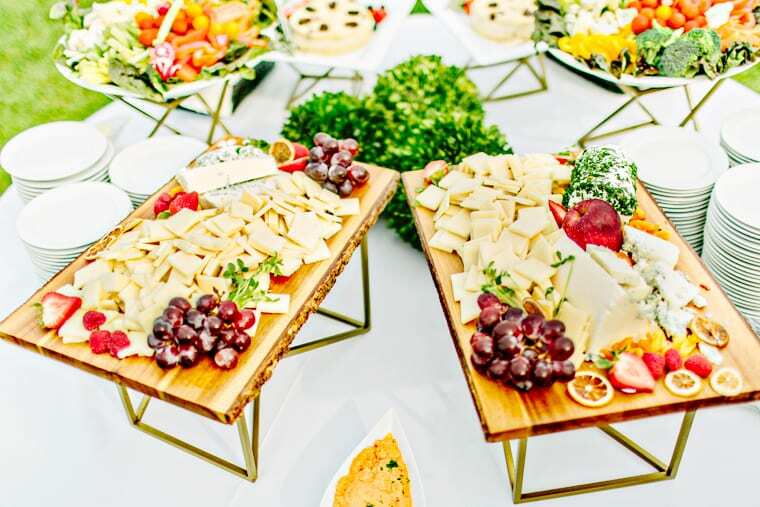 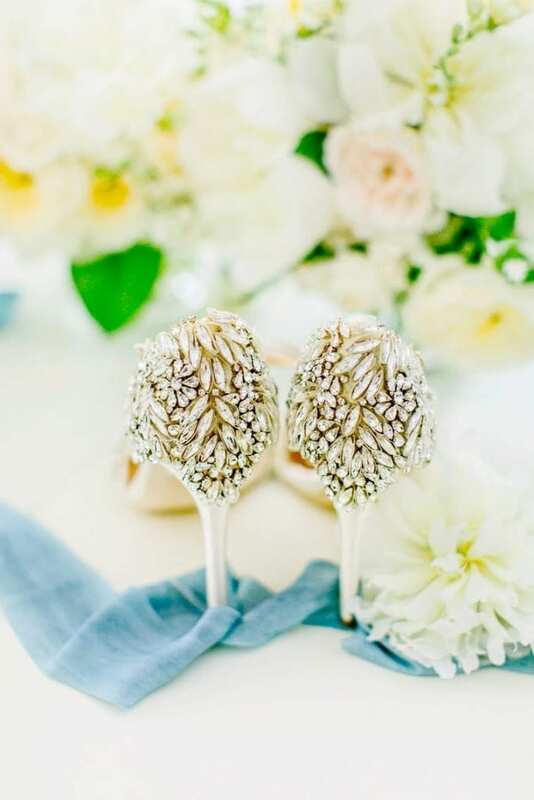 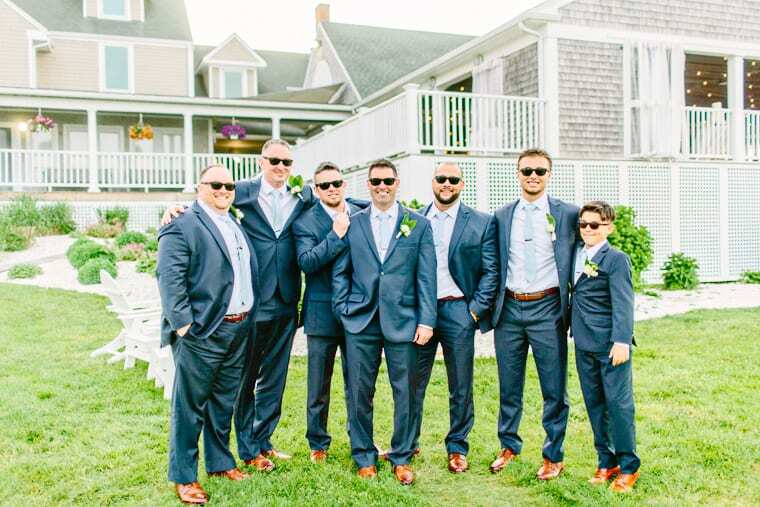 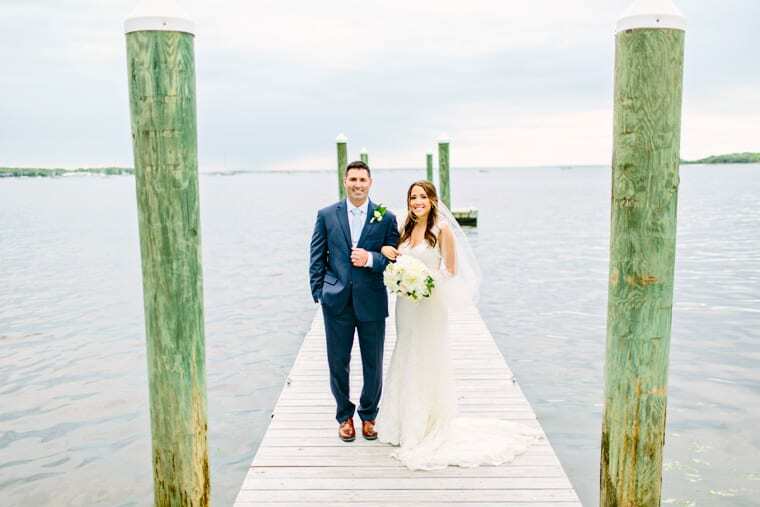 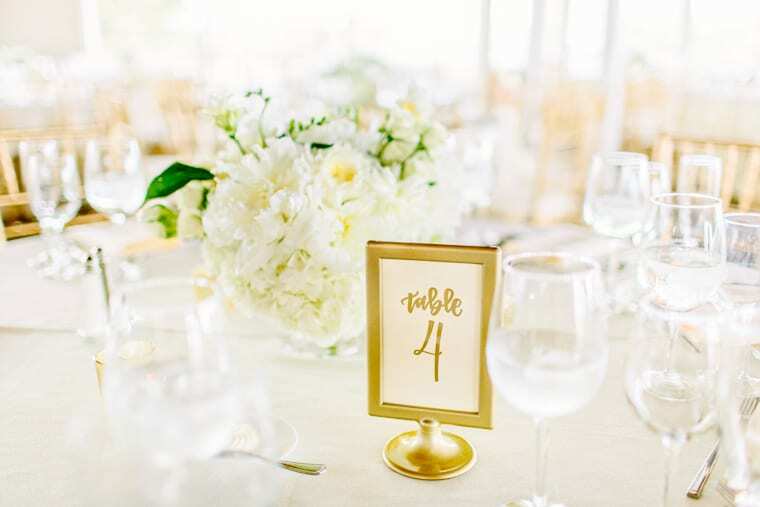 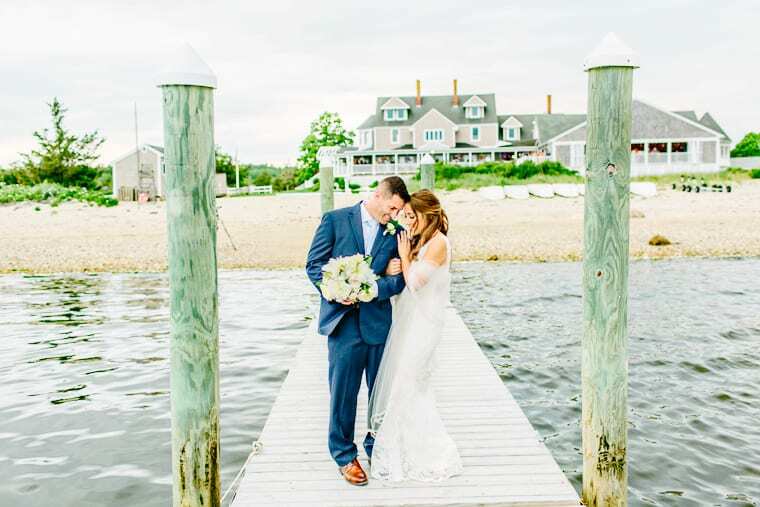 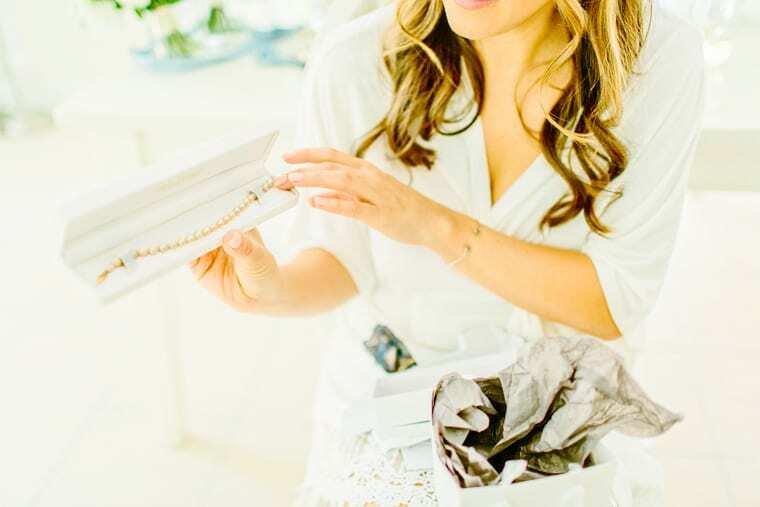 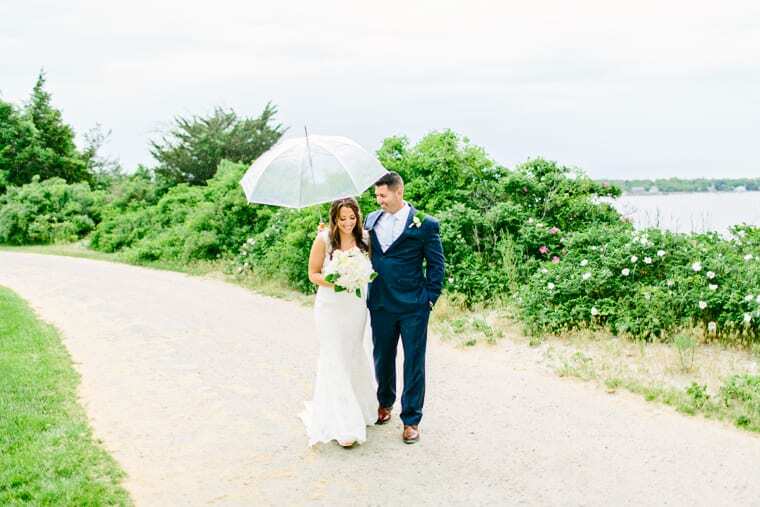 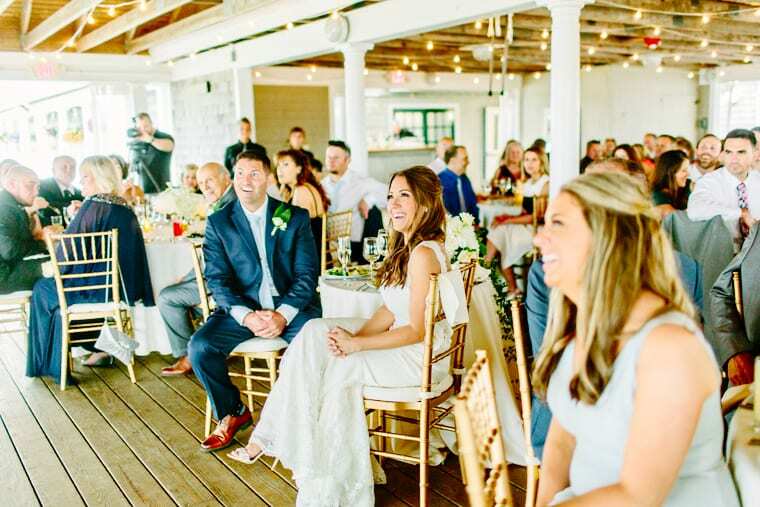 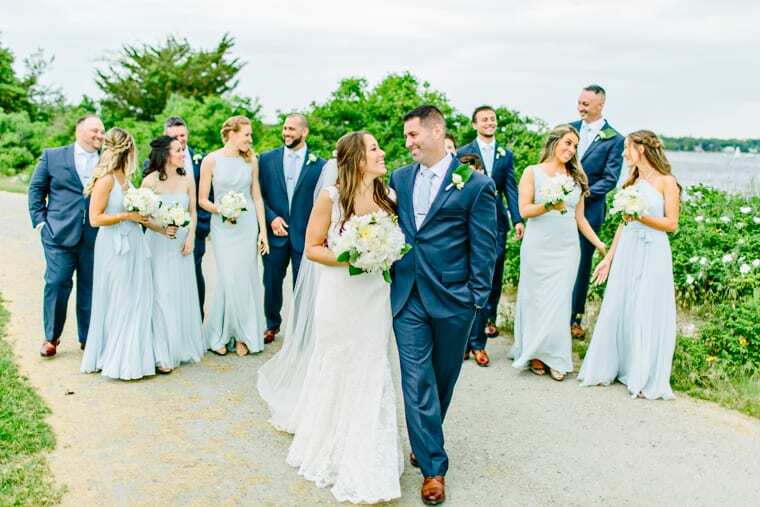 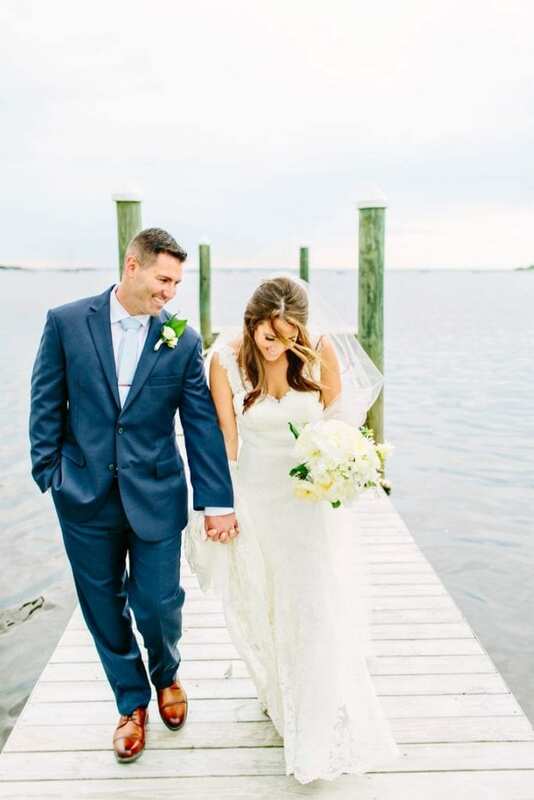 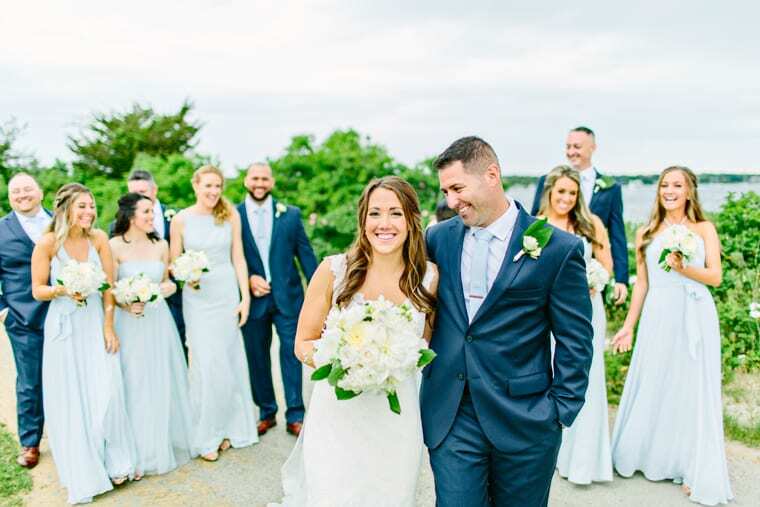 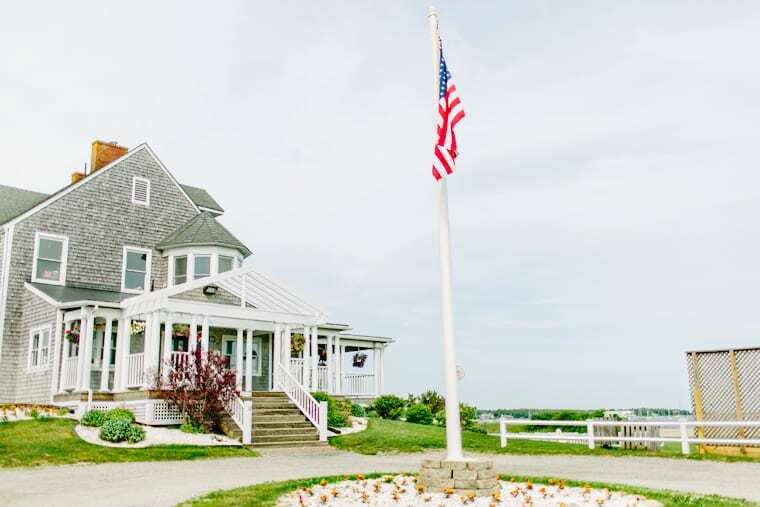 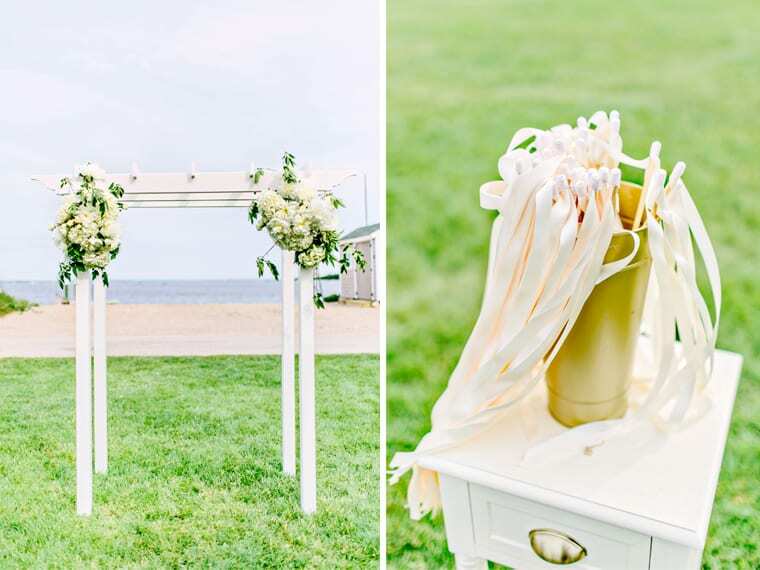 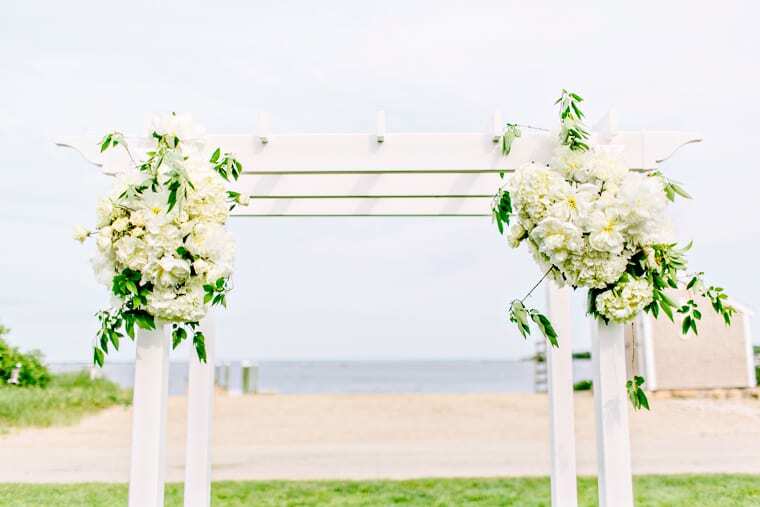 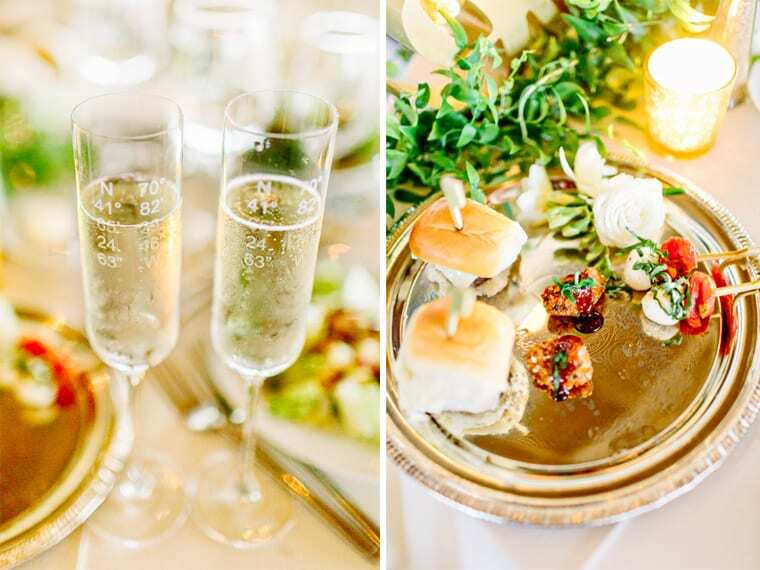 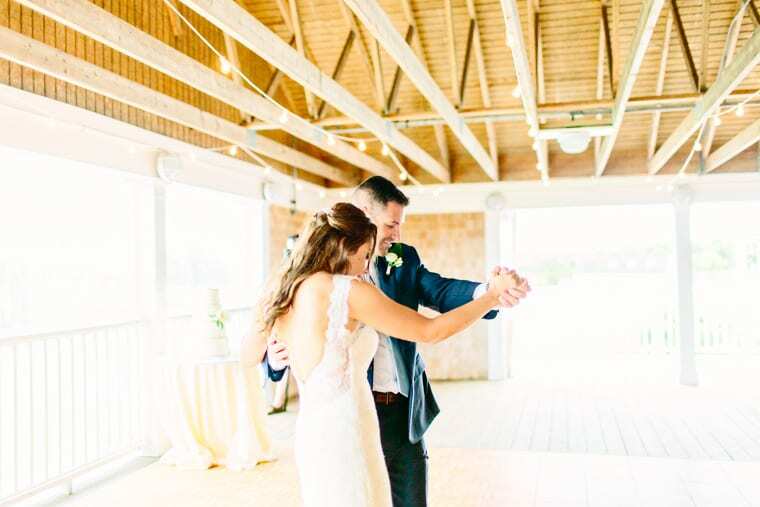 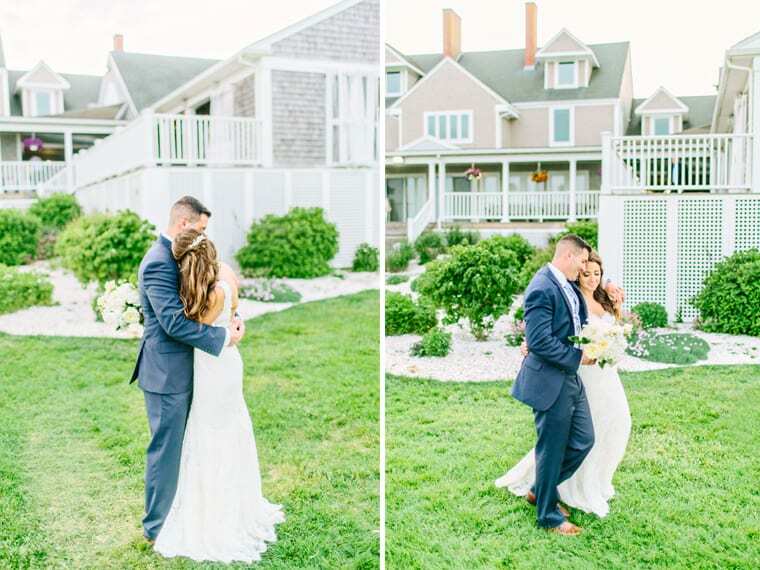 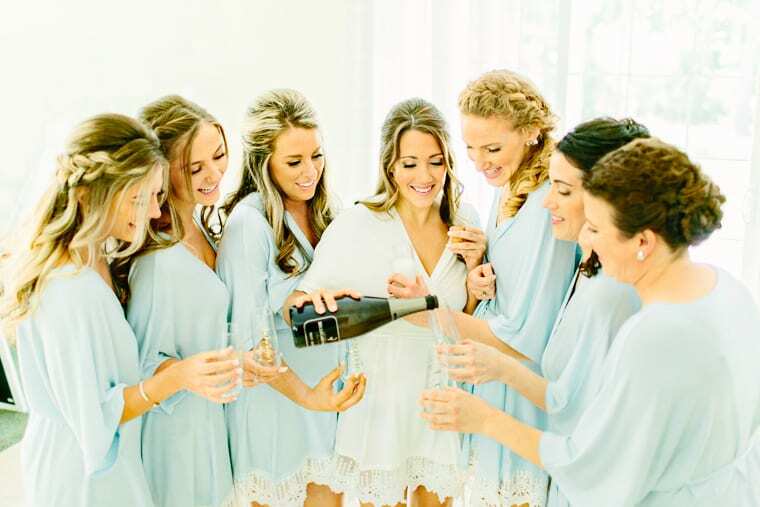 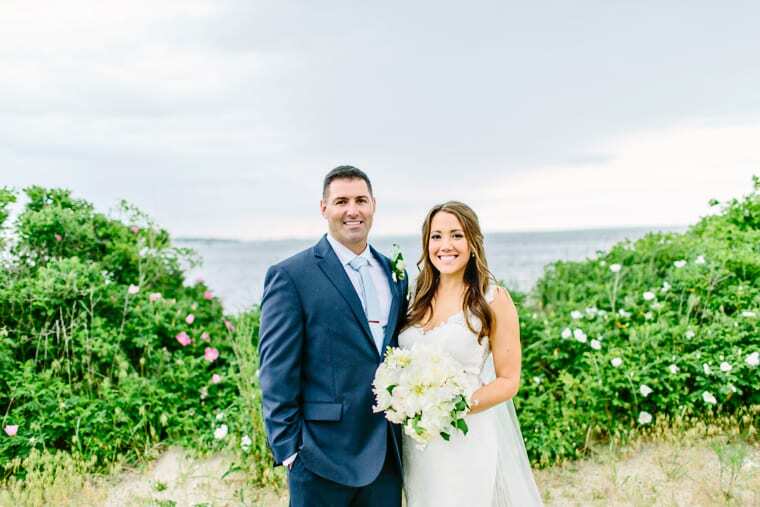 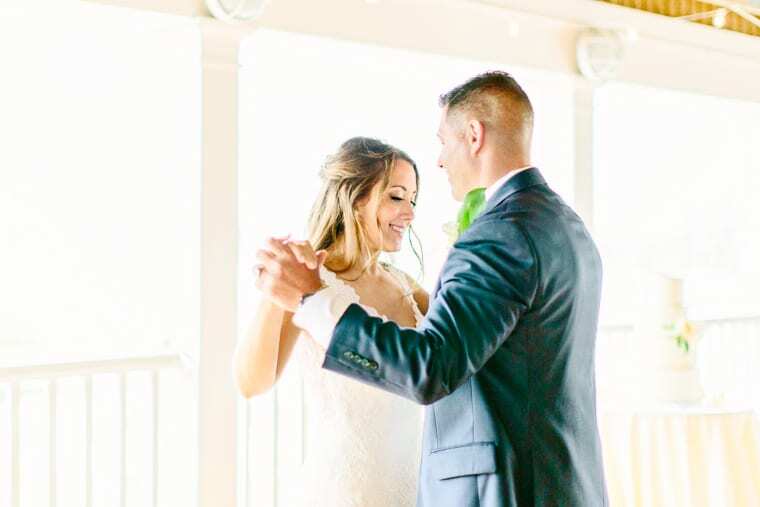 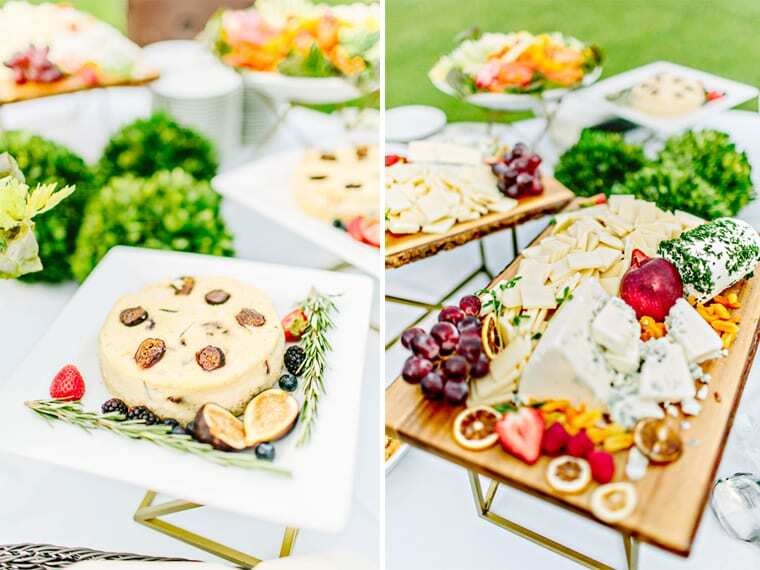 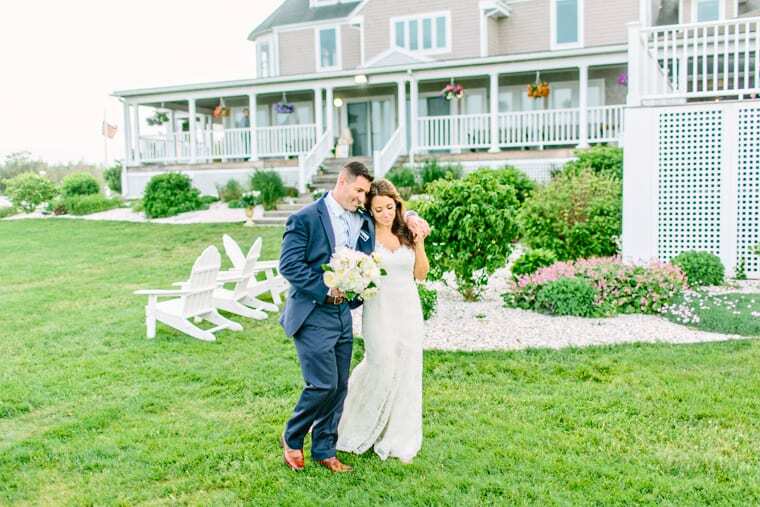 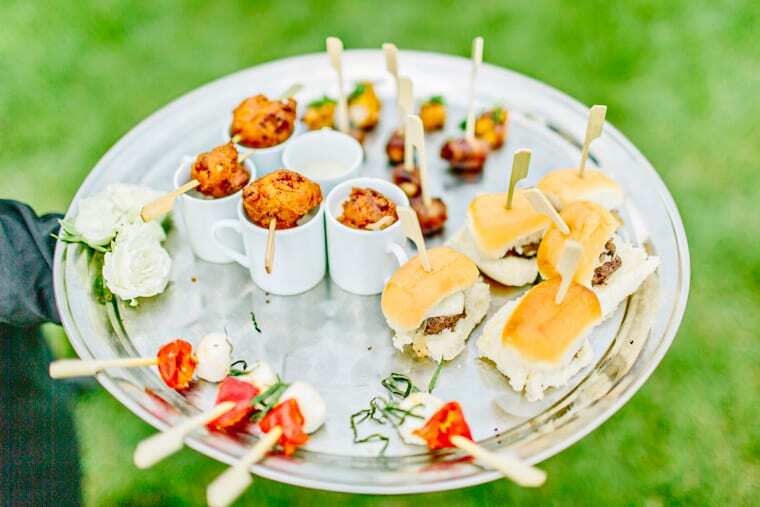 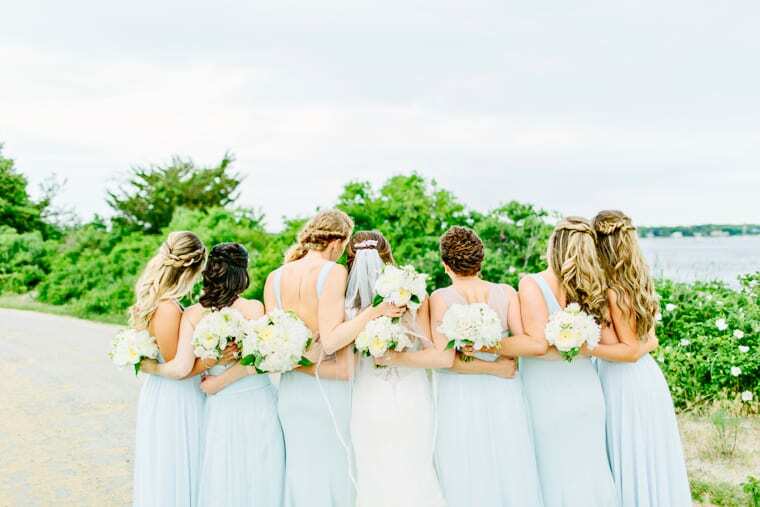 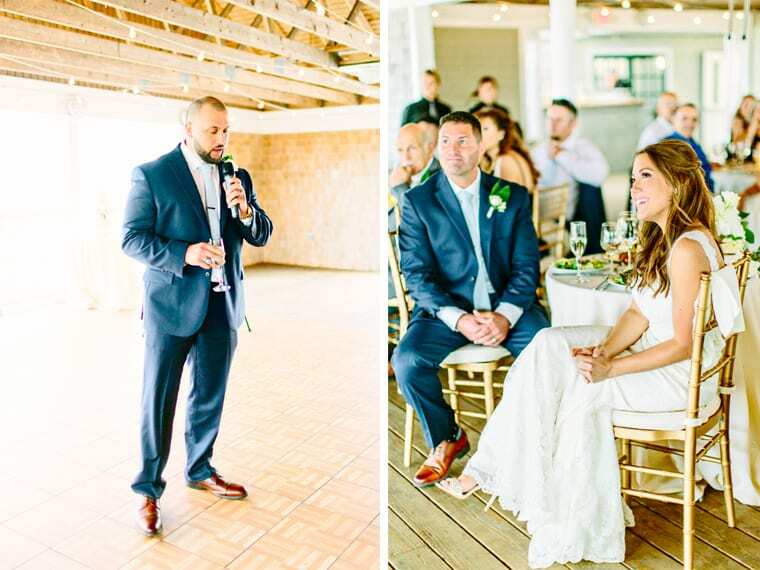 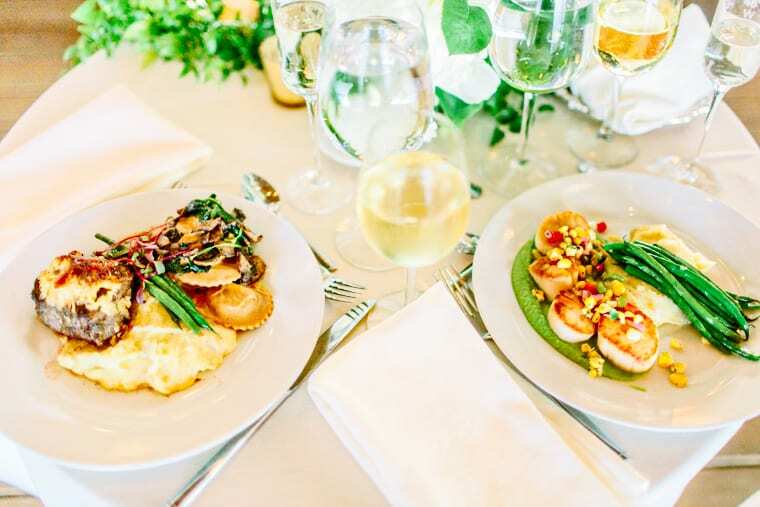 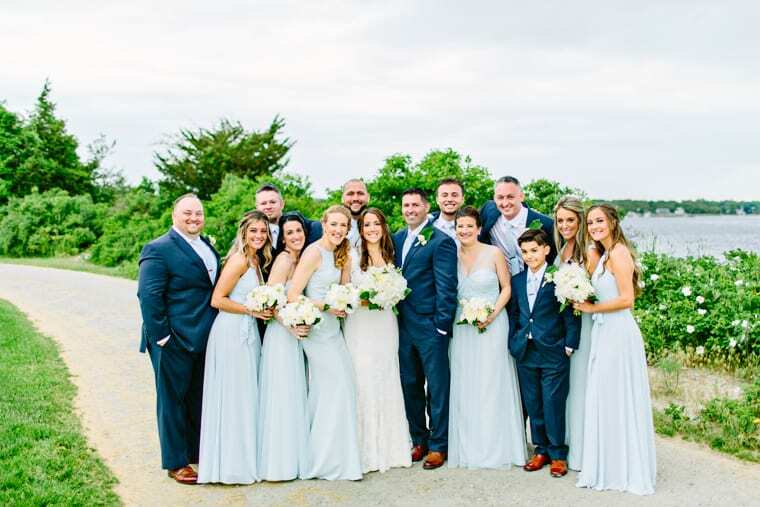 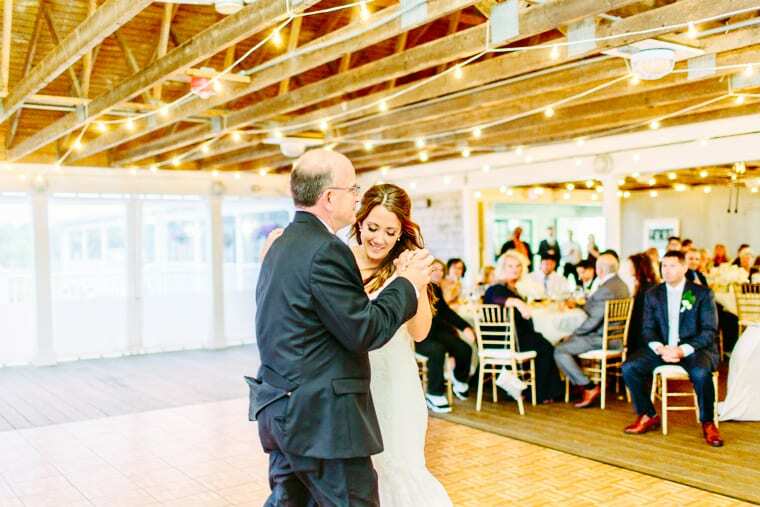 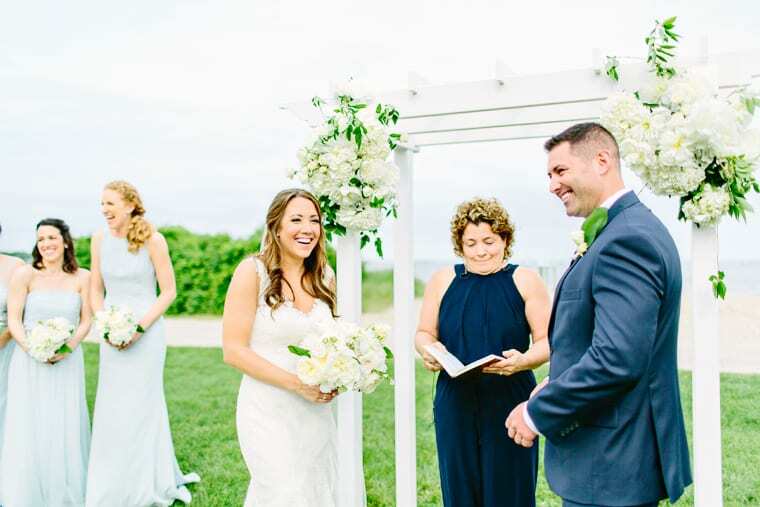 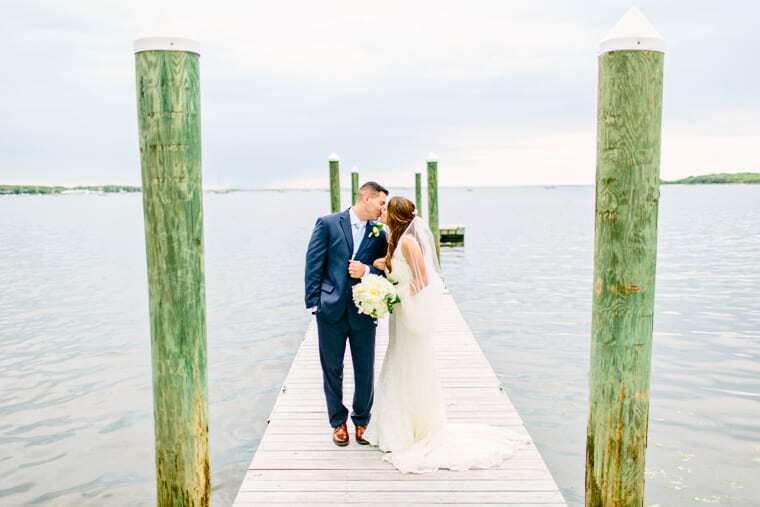 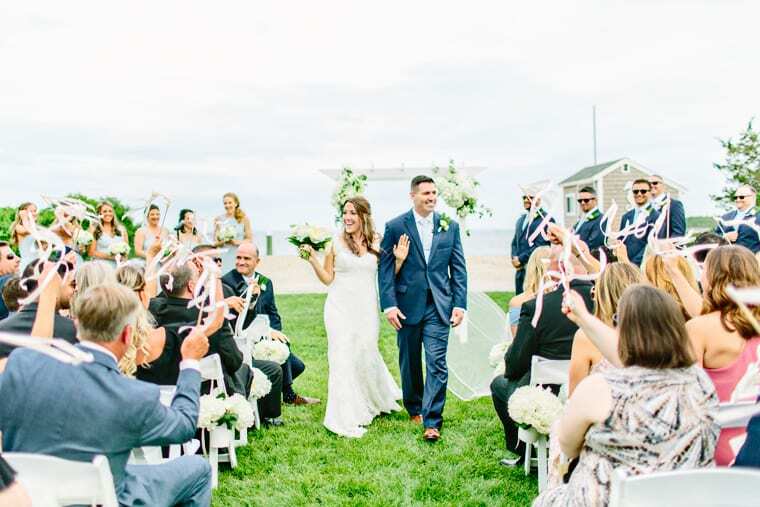 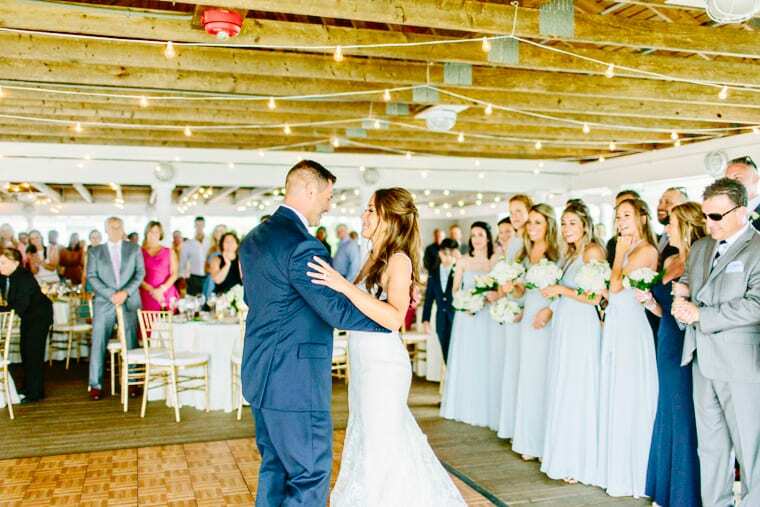 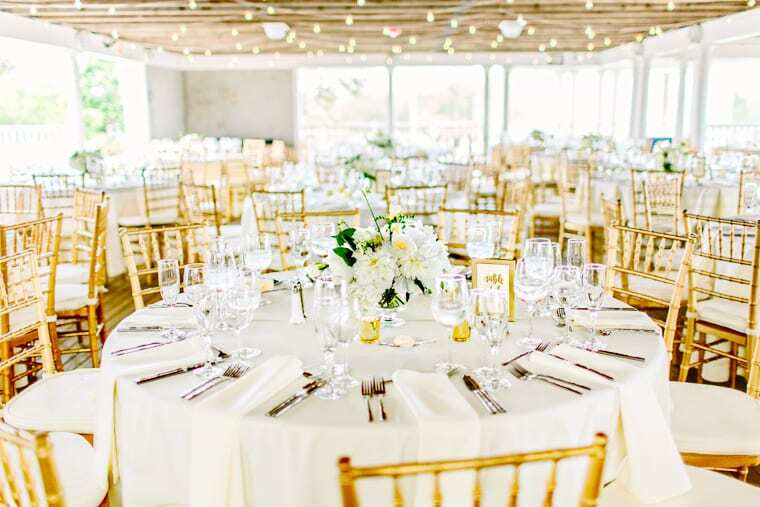 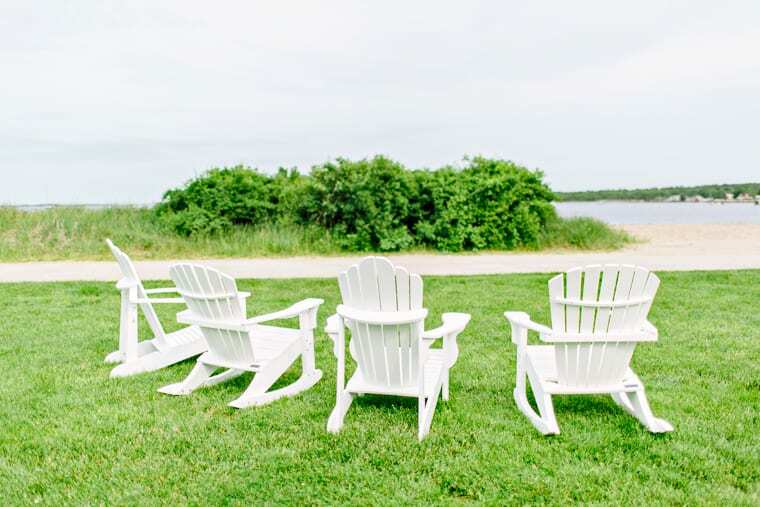 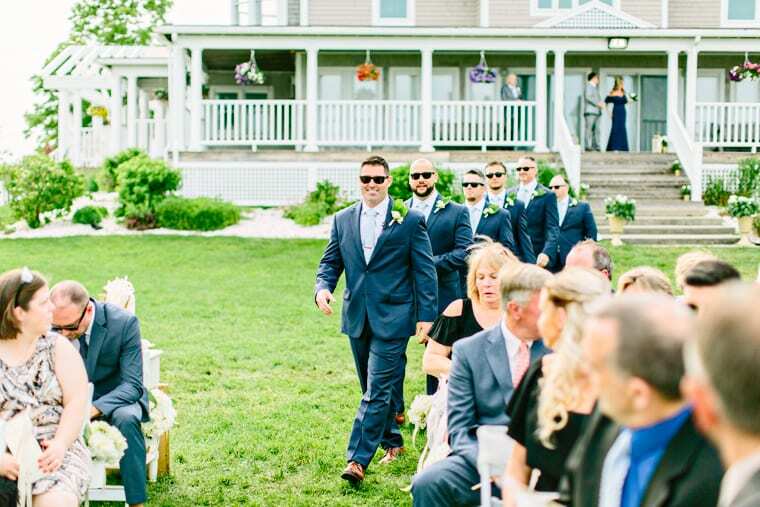 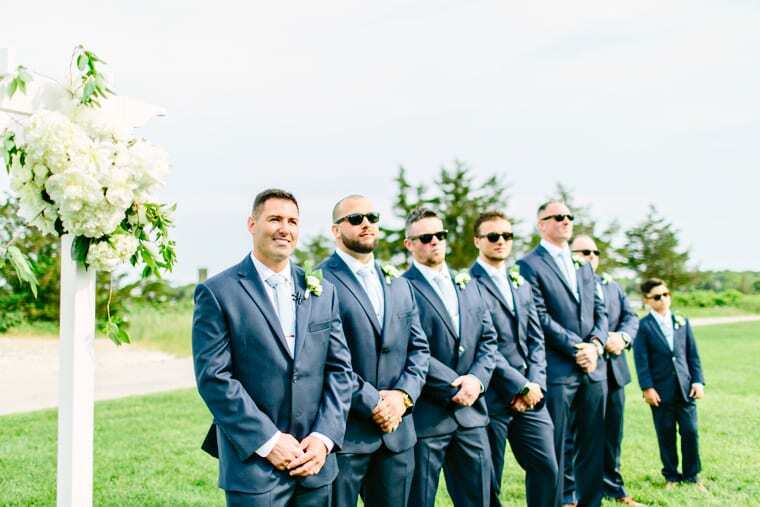 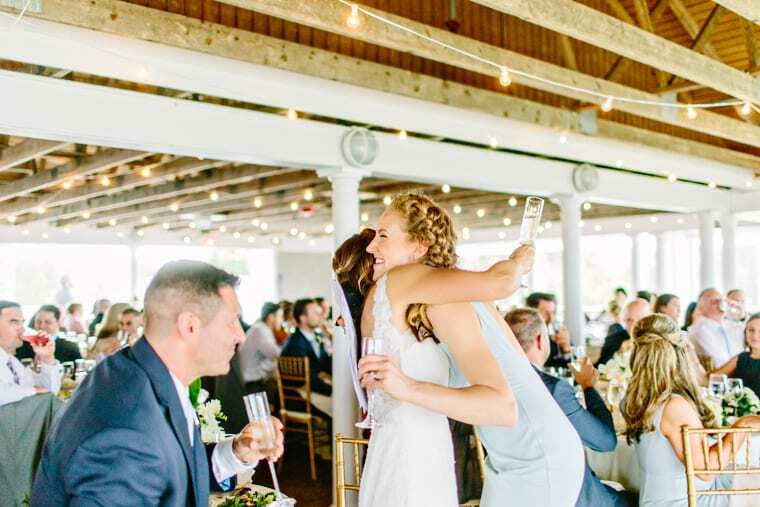 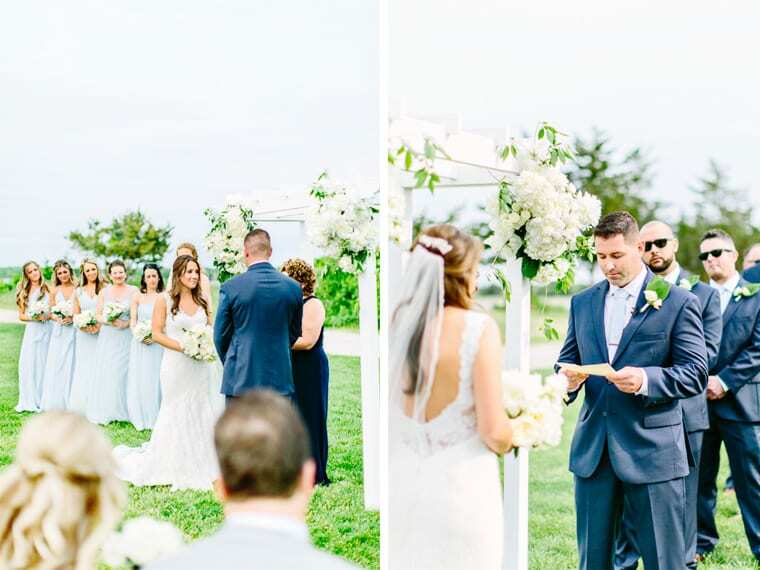 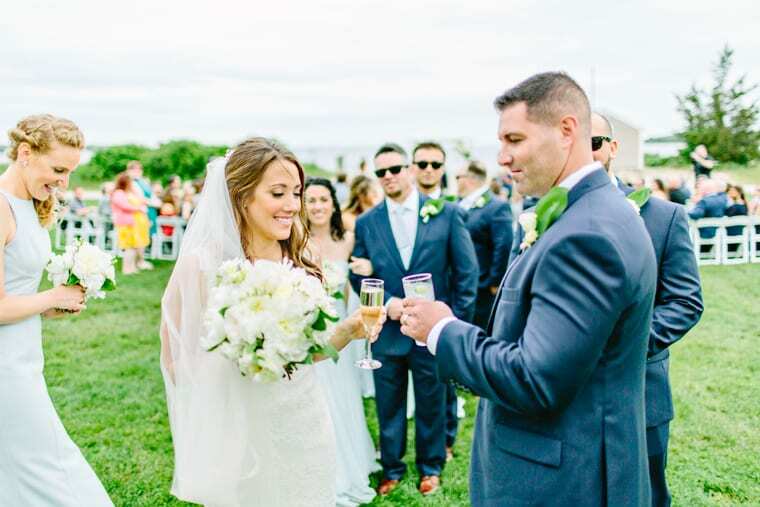 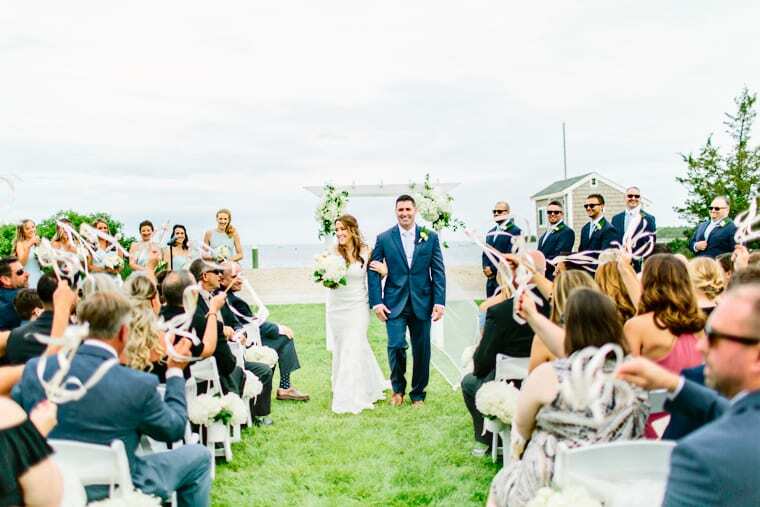 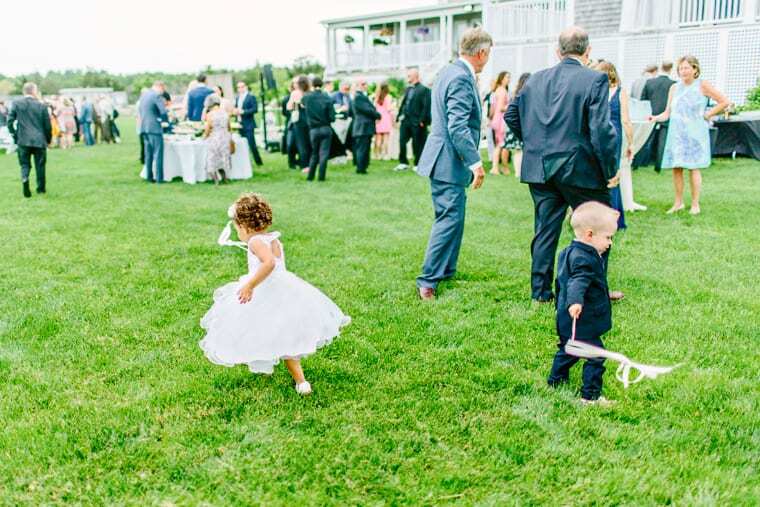 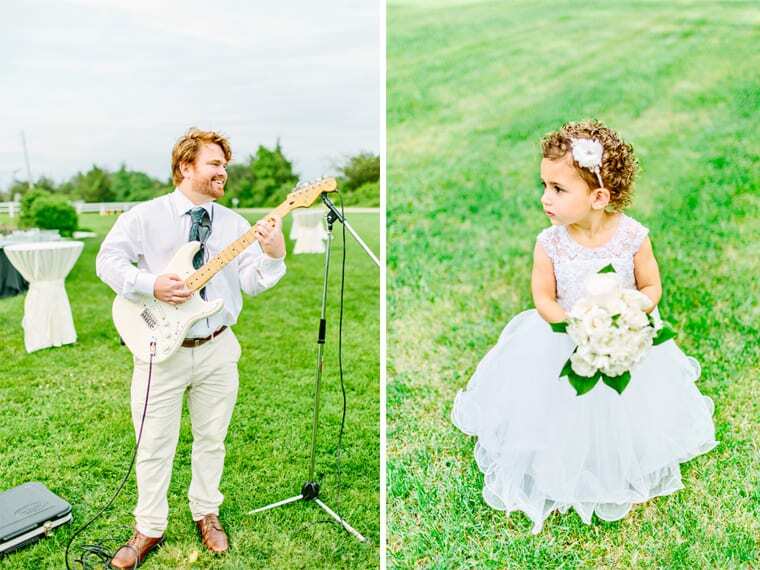 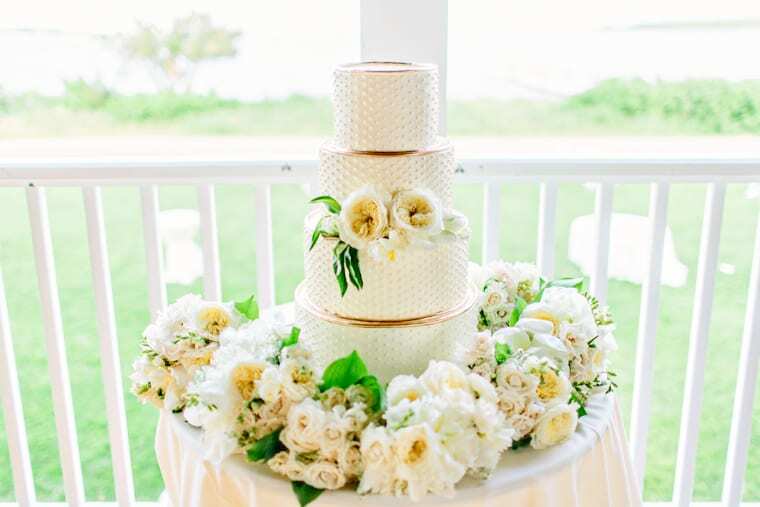 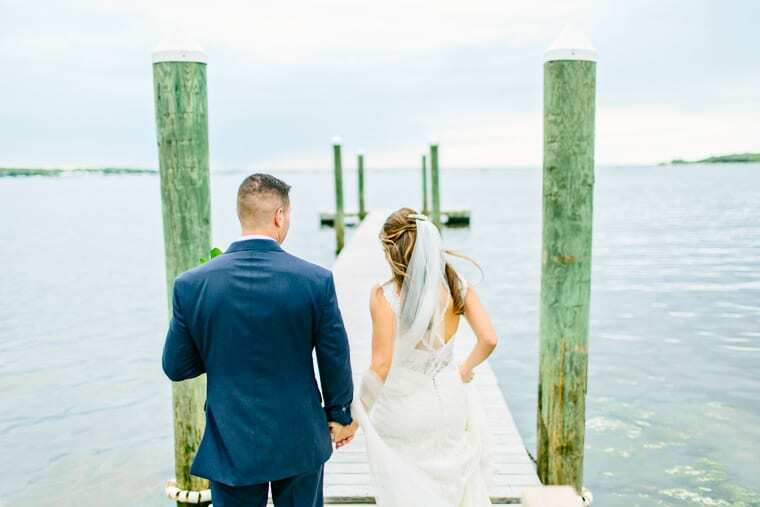 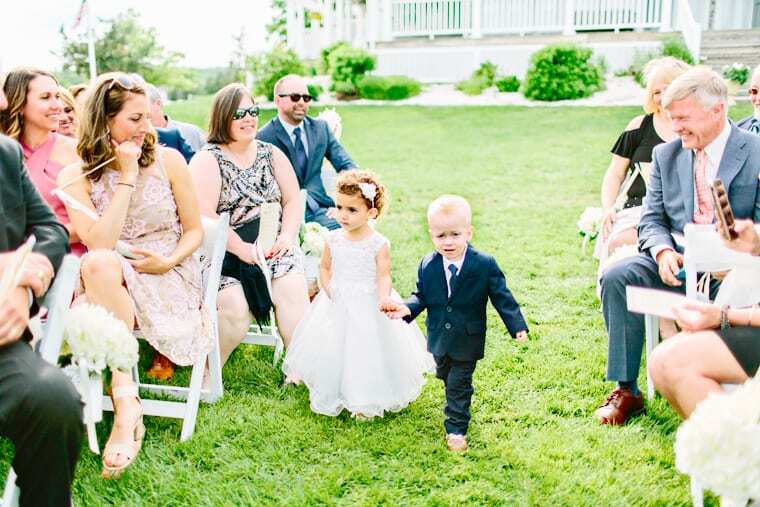 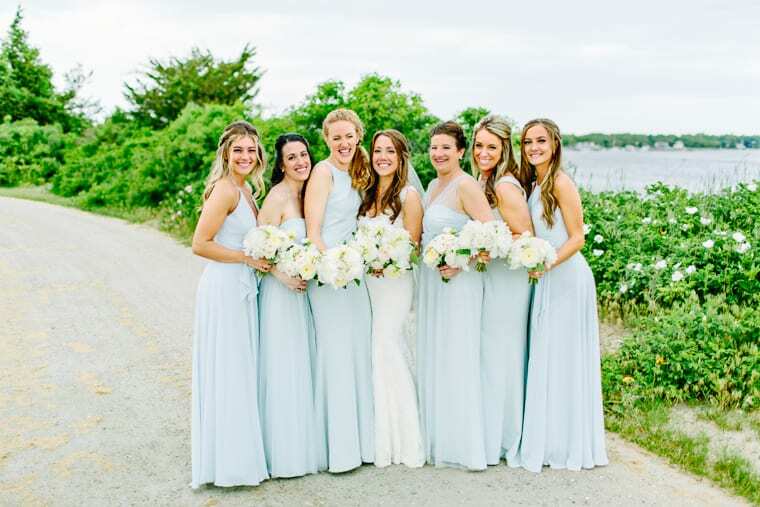 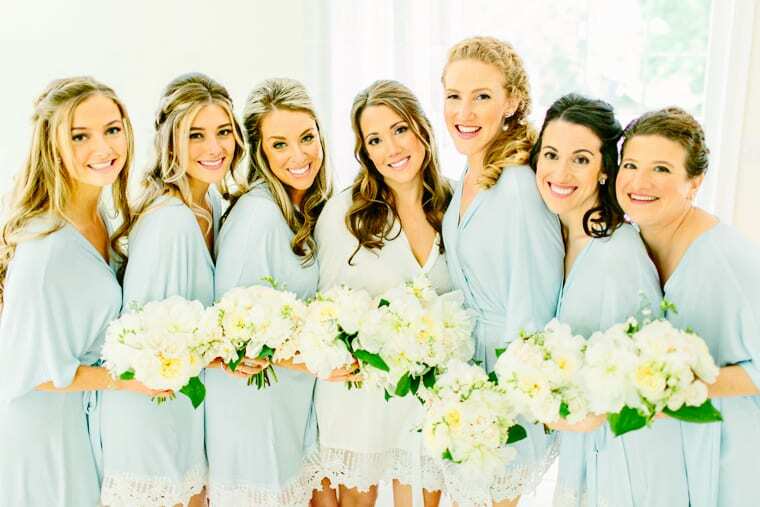 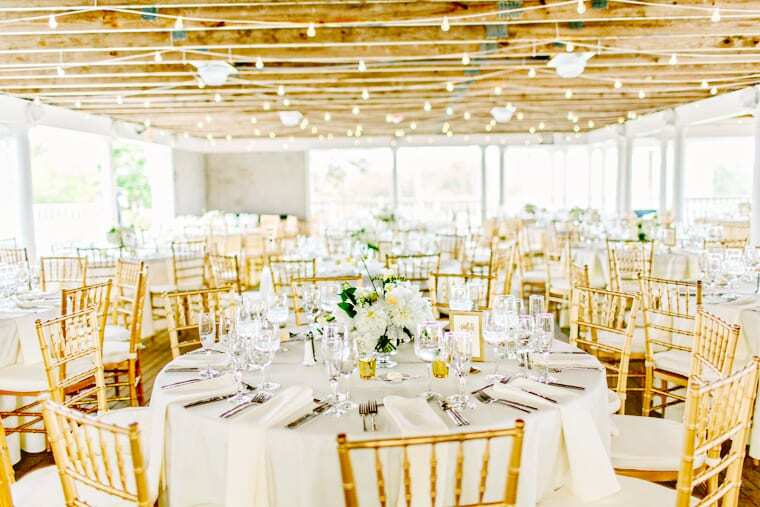 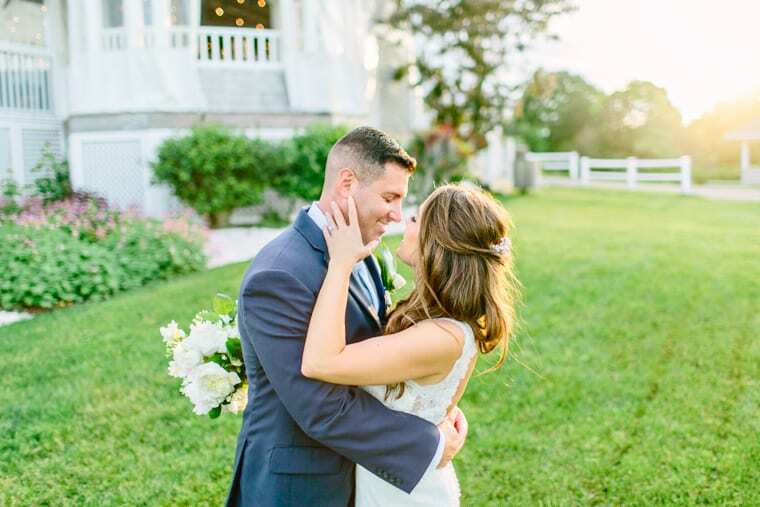 They are located right on the ocean and have a wonderful atmosphere that borders between a classy backyard wedding and barn-like venue all with a gorgeous view. 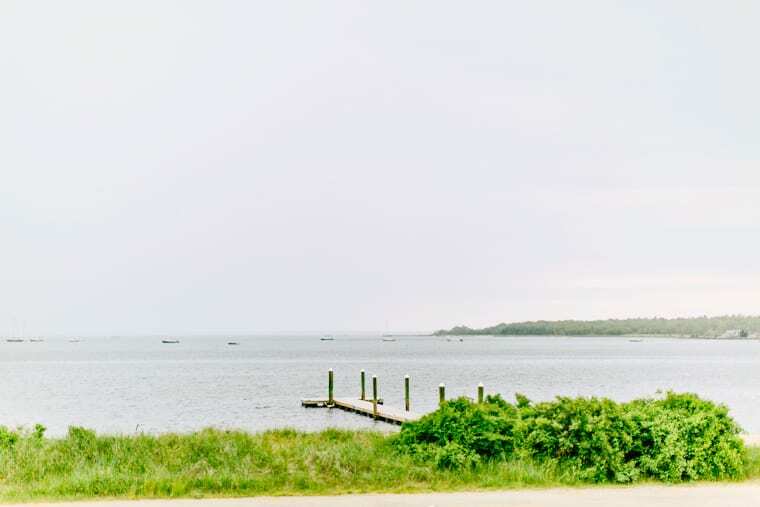 I can’t wait to get back there! 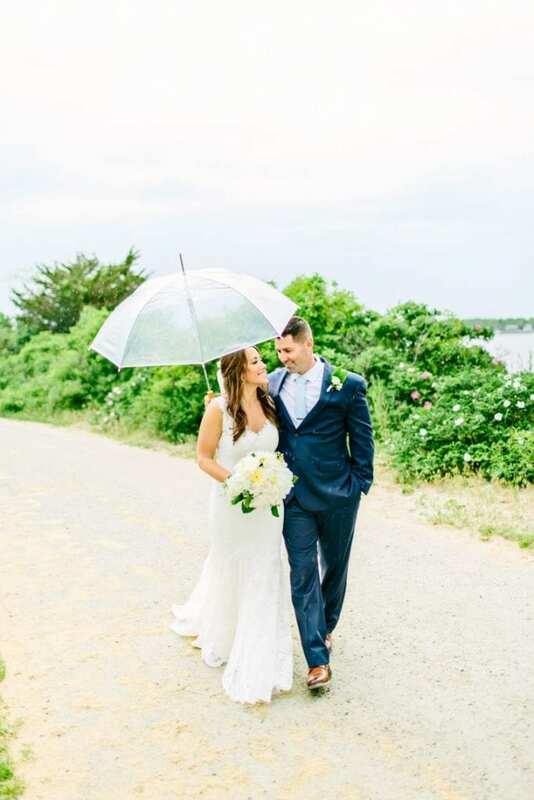 Kara and Anthony’s wedding day was a strange weather wedding day. 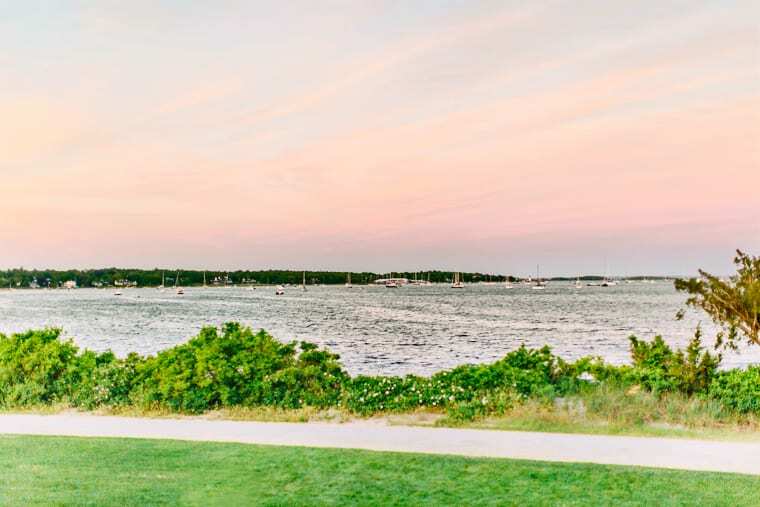 It was sunny, hot and humid for the first half of the day, then it became cloudy and misty but the day still ended with a beautiful sunset! 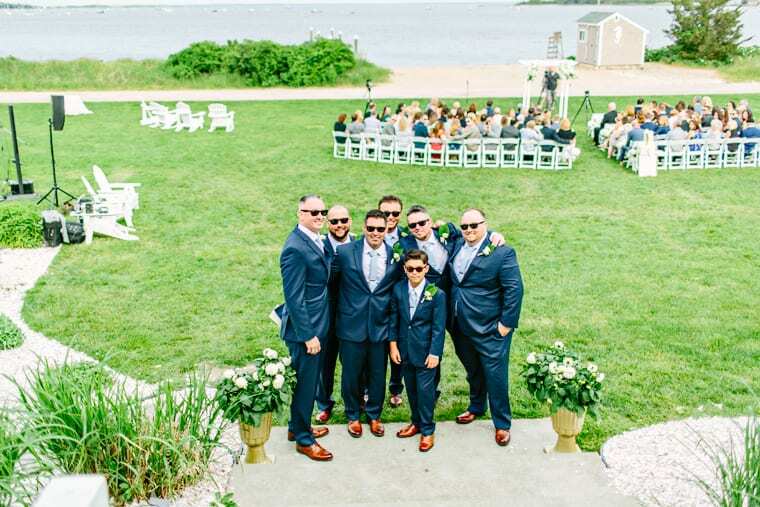 This added an extra element to the photos that you just can’t buy. 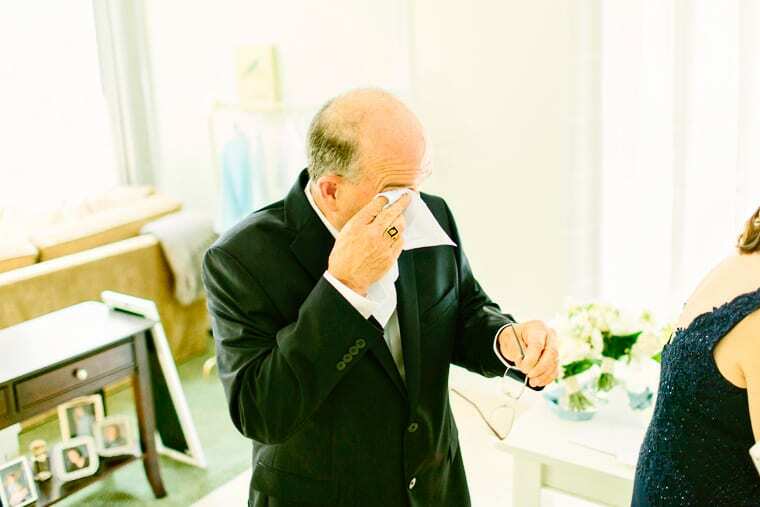 I really loved it. 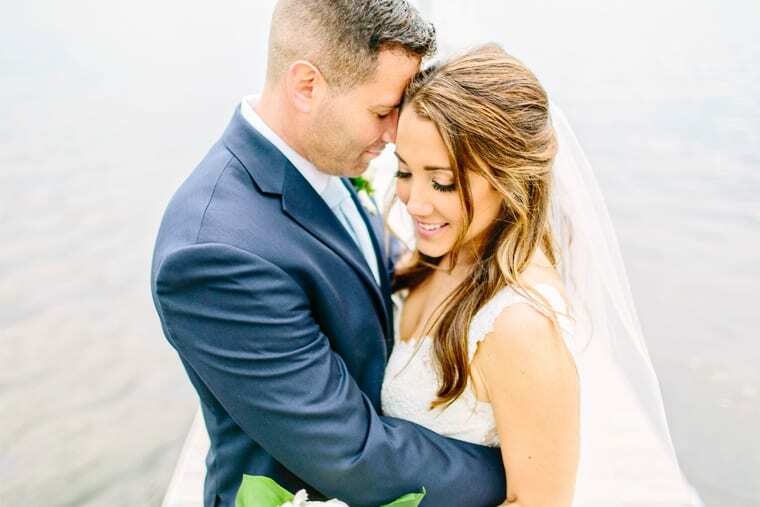 I also loved these two. 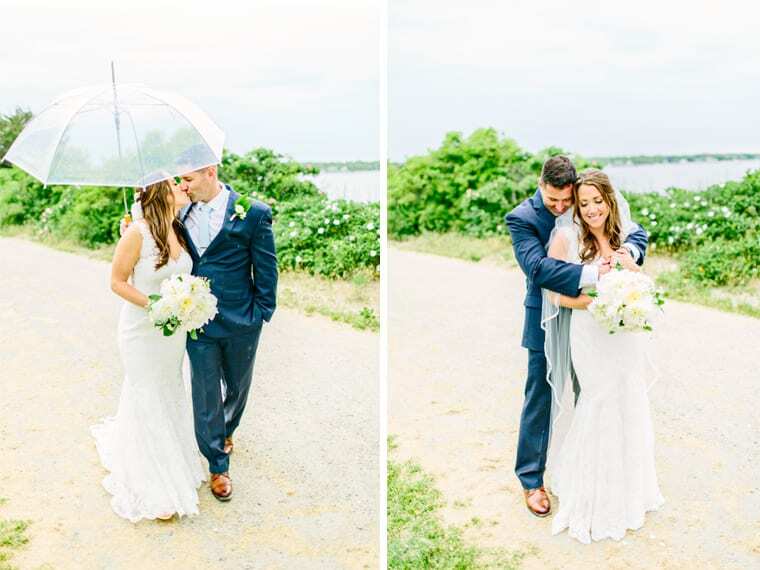 They are two of the sweetest people! 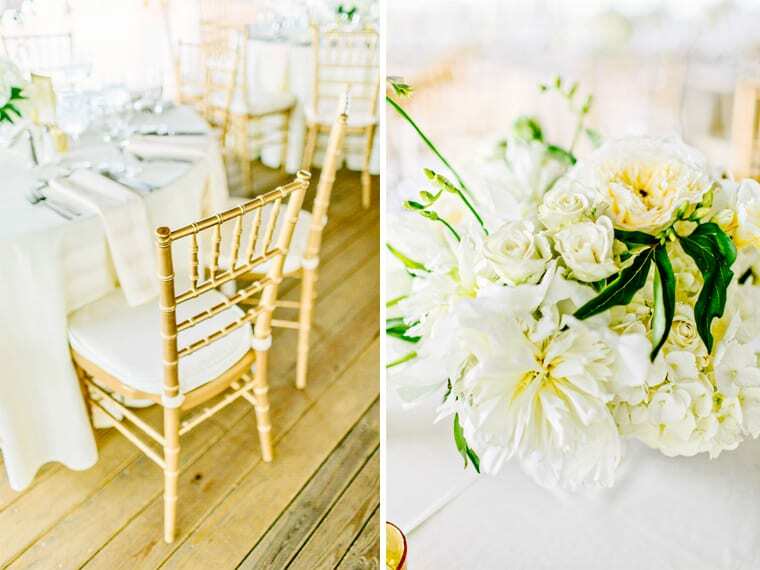 Everything was so perfectly coastal, but with serious class. 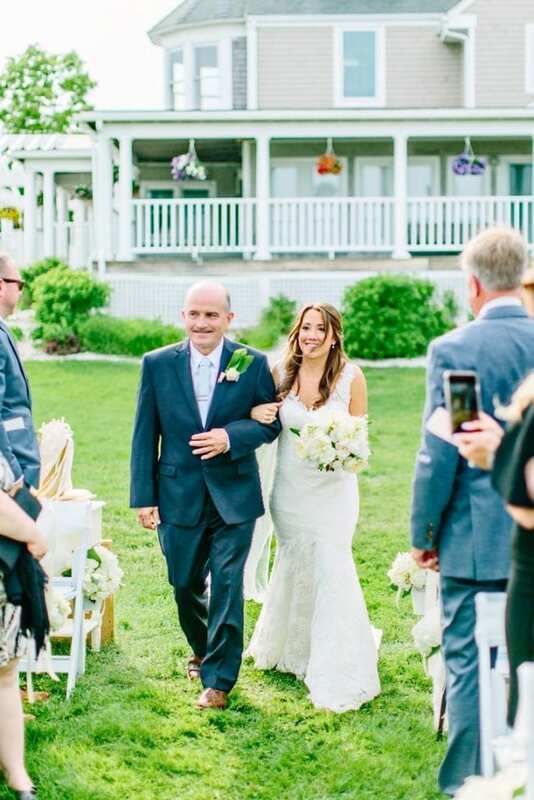 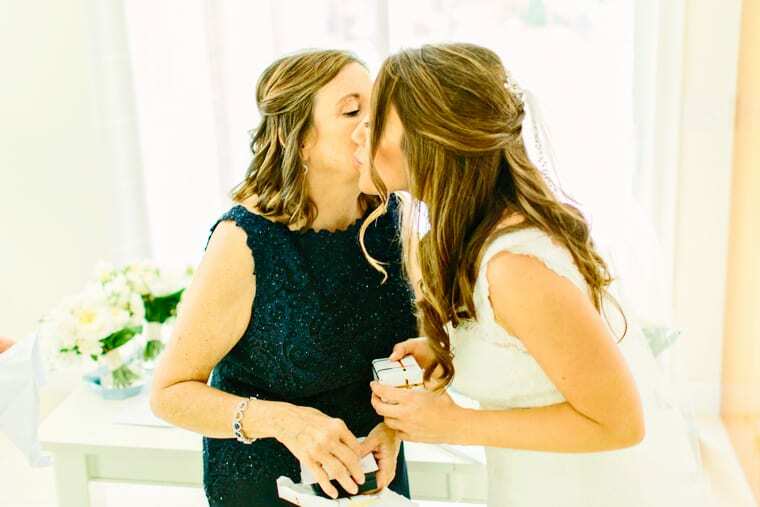 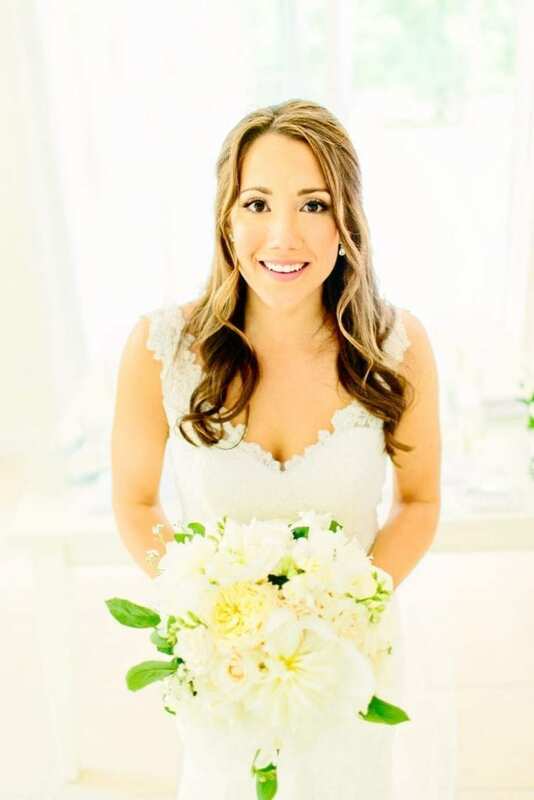 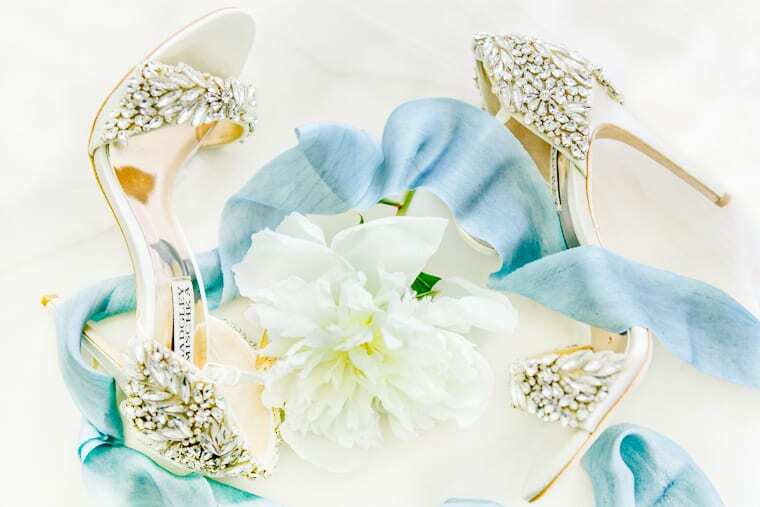 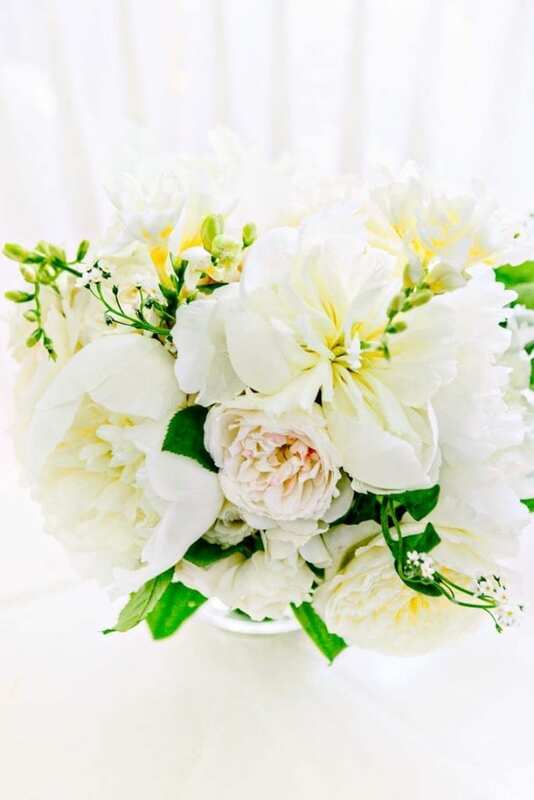 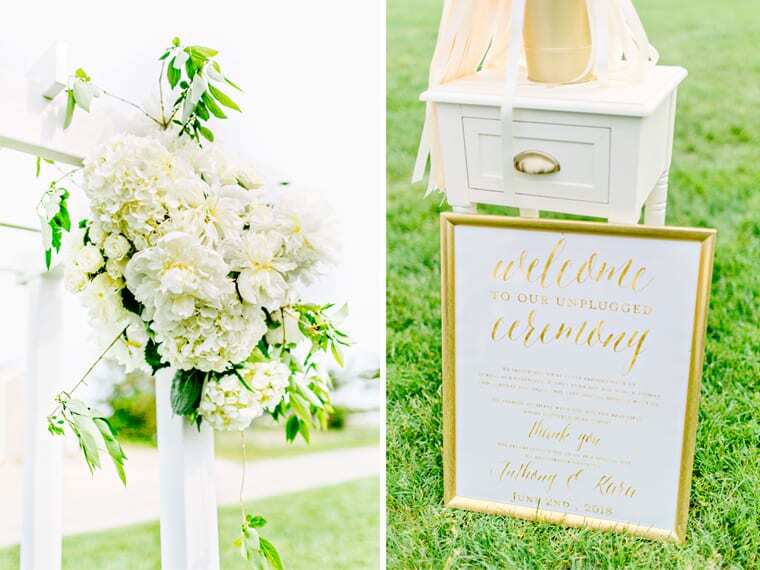 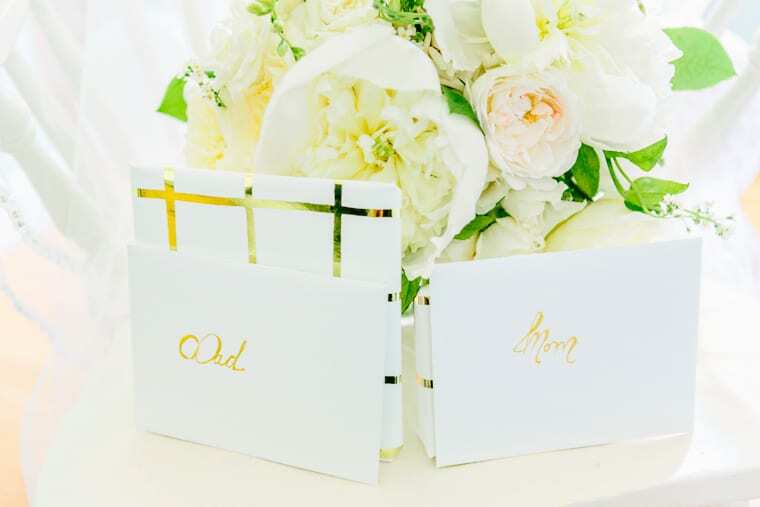 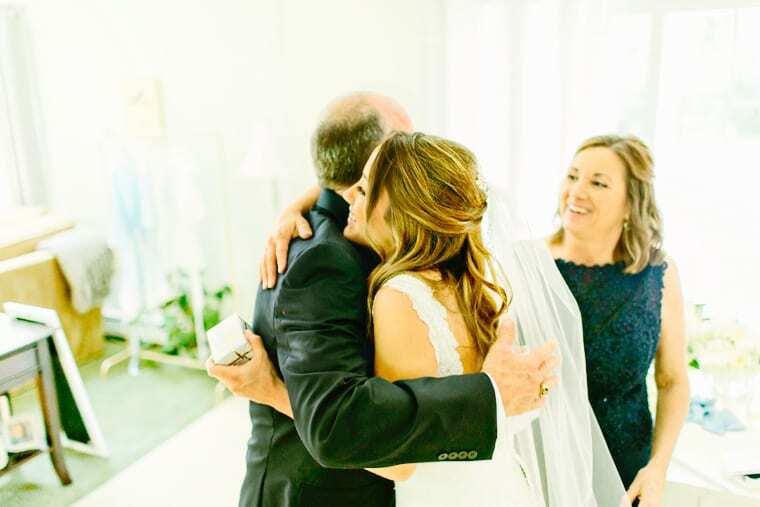 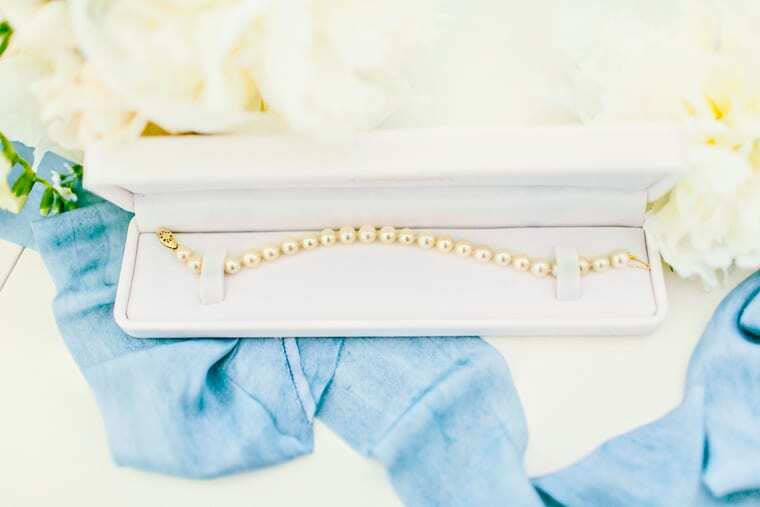 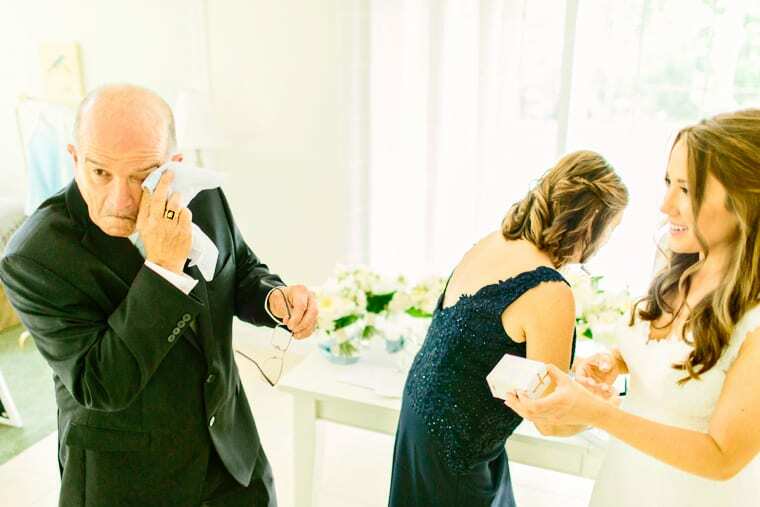 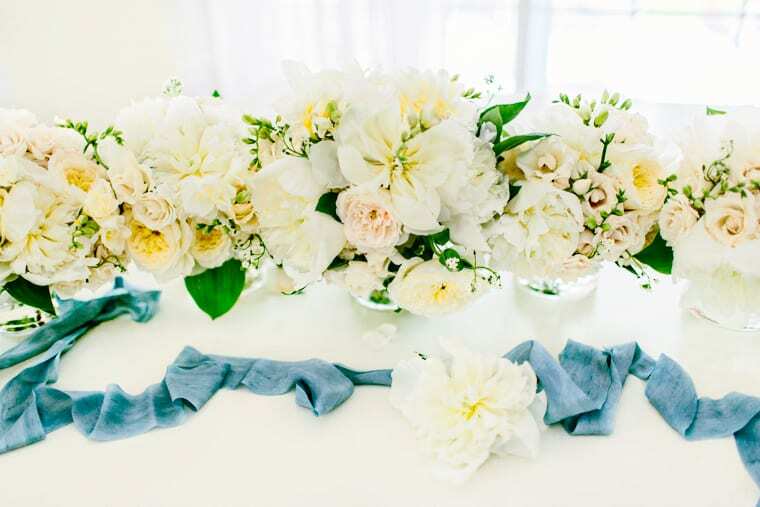 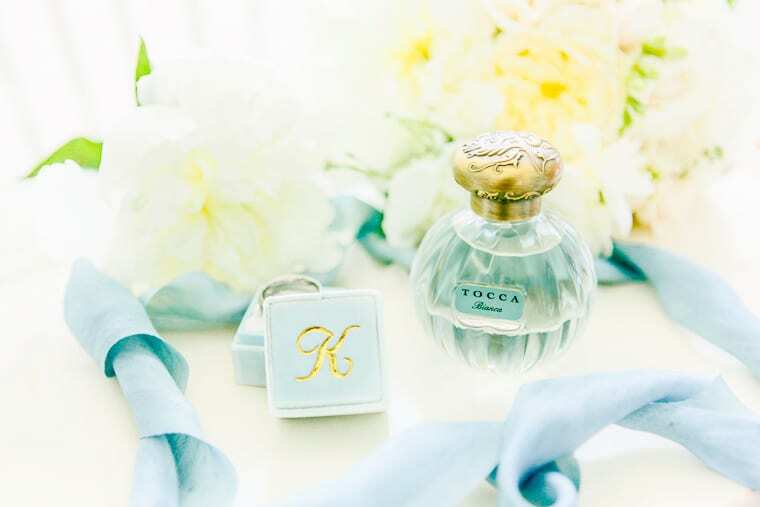 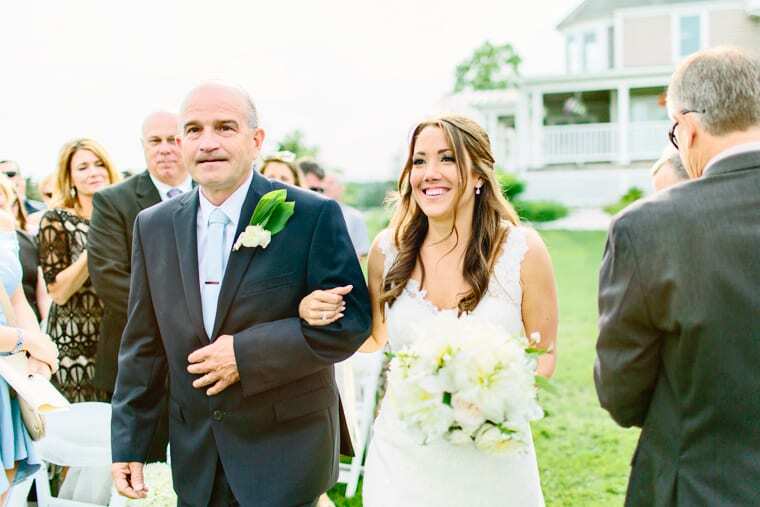 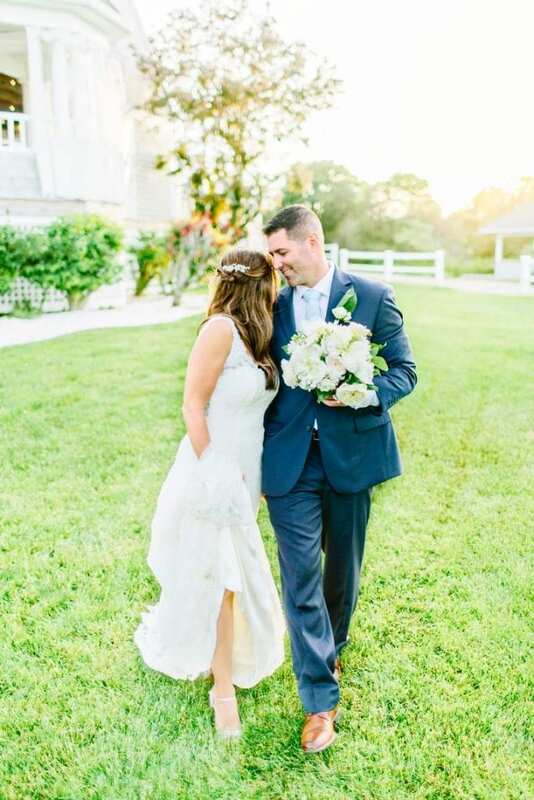 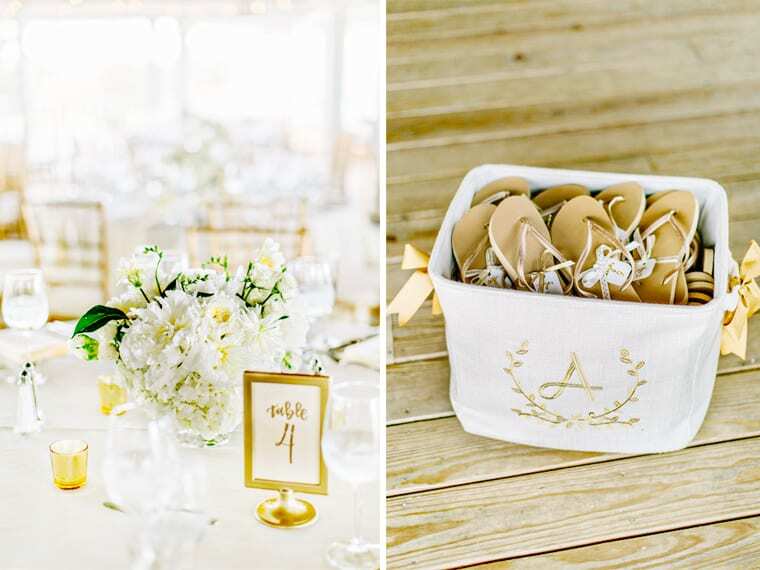 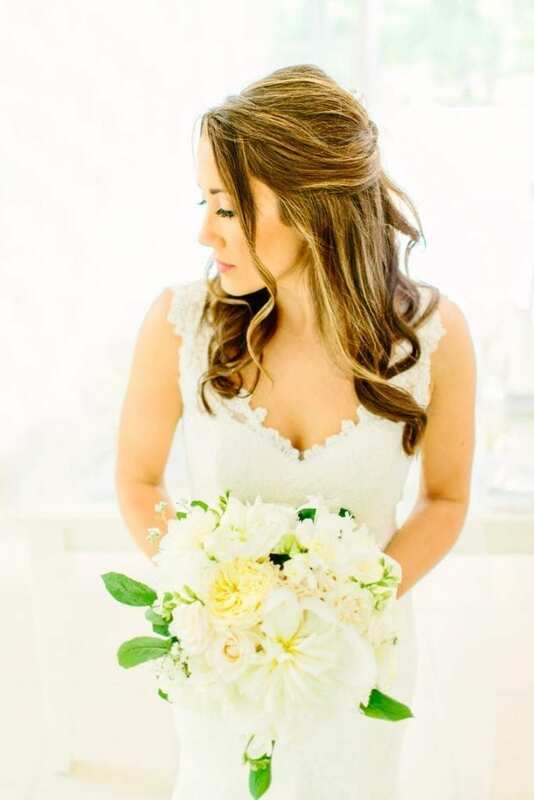 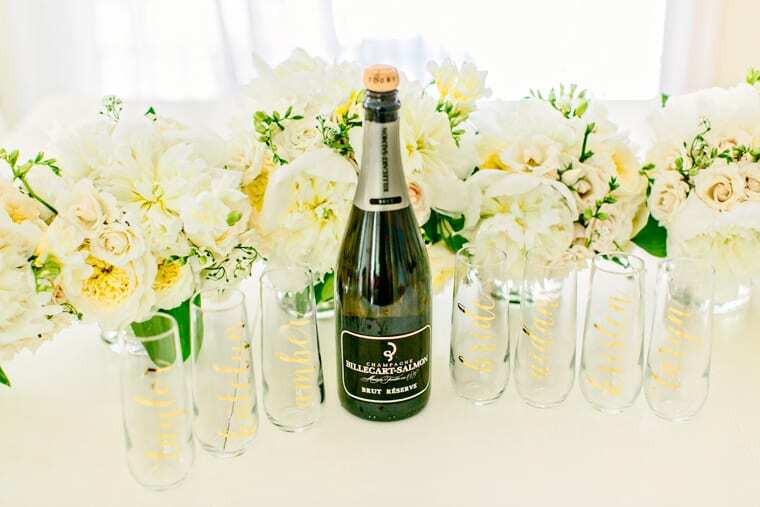 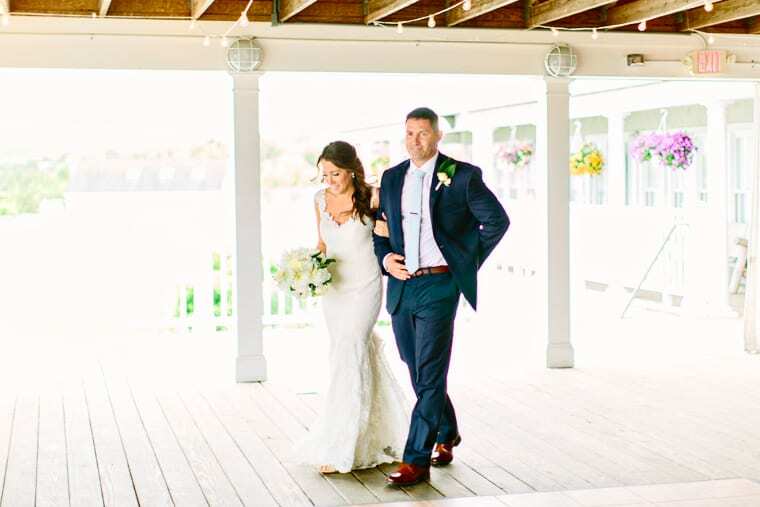 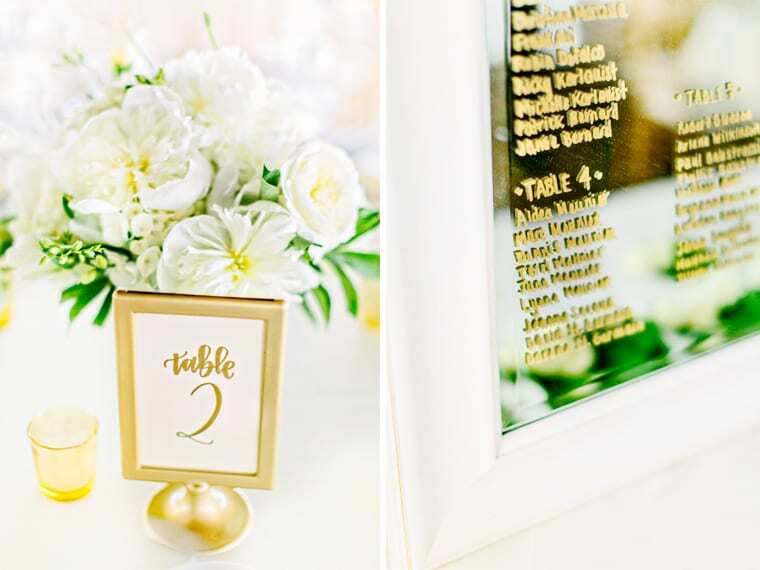 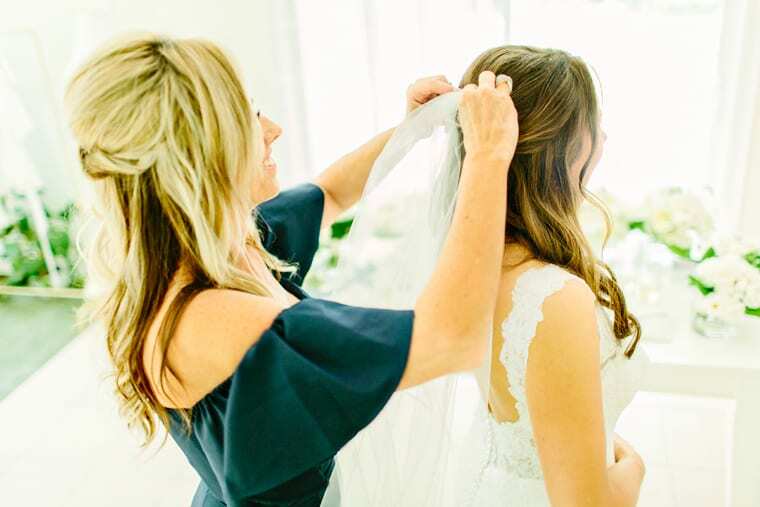 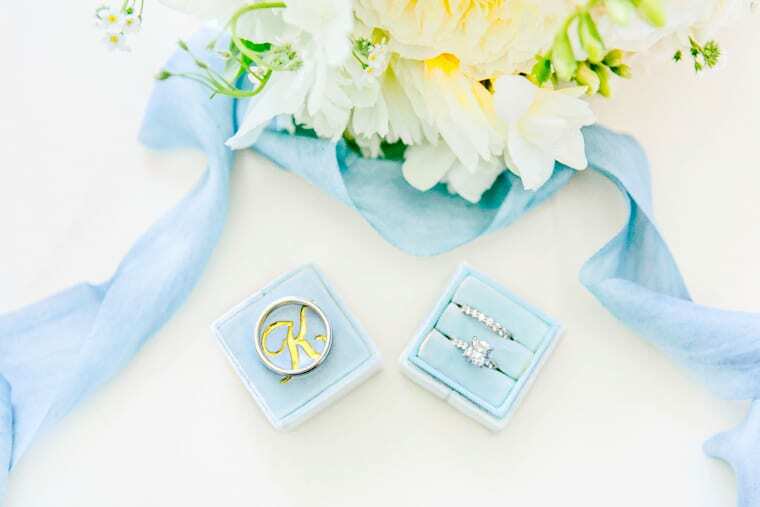 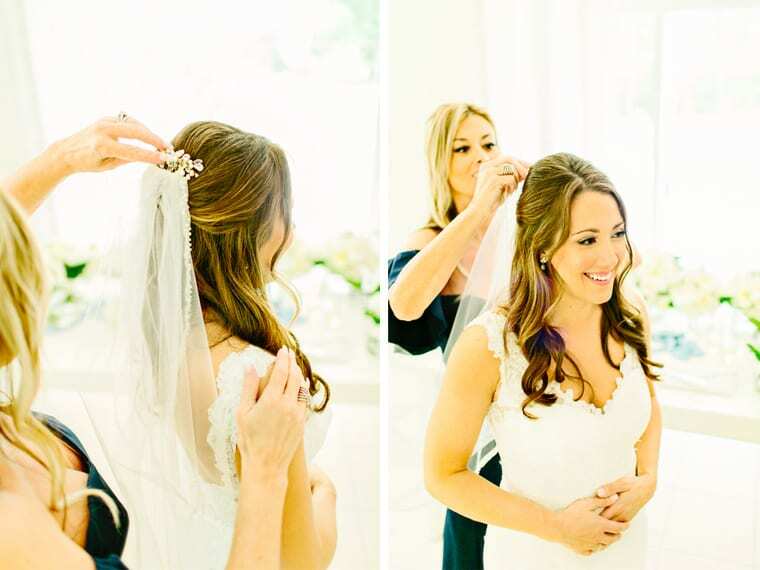 Some of my favorite parts of the day were the gorgeous florals, the ribbons waving during the recessional and her grandfather’s initials sewn into her wedding dress. 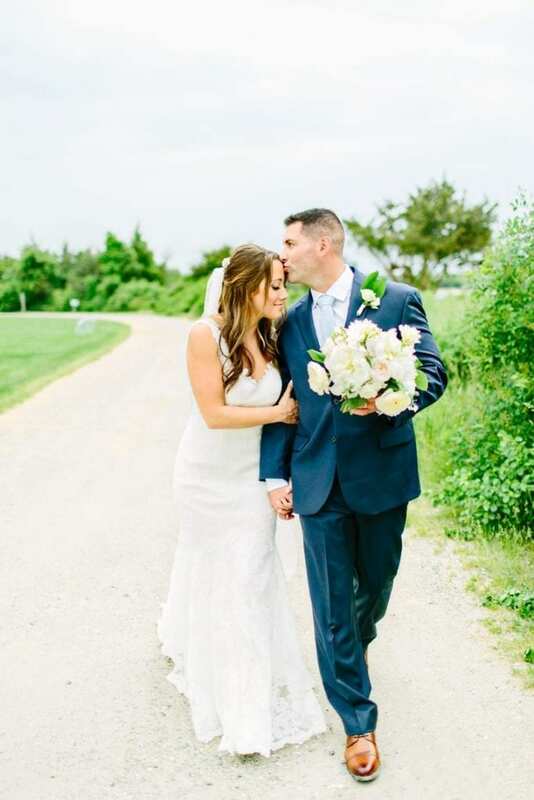 Kara and Anthony, thank you for such a fun day. 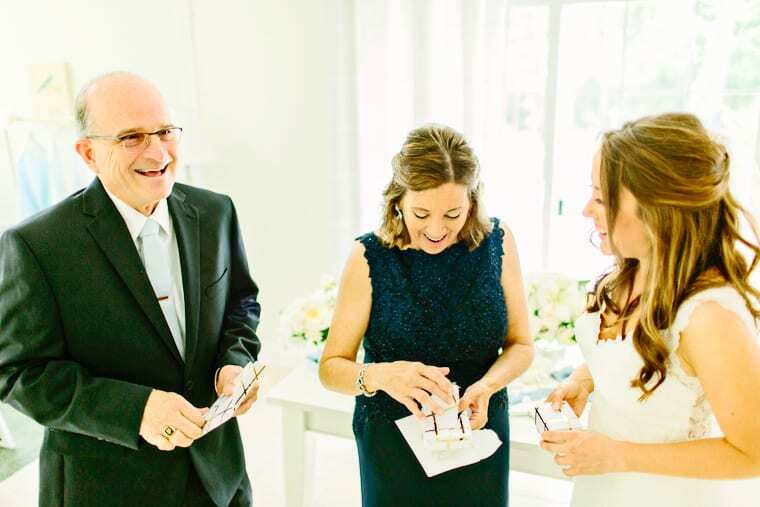 I really loved getting to know you two even if it was for a short time. 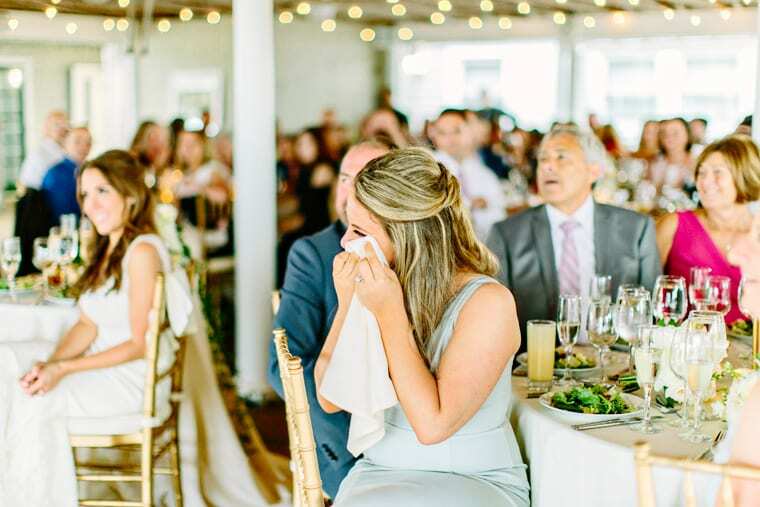 You made me feel like I was one of the guests and not just a vendor. 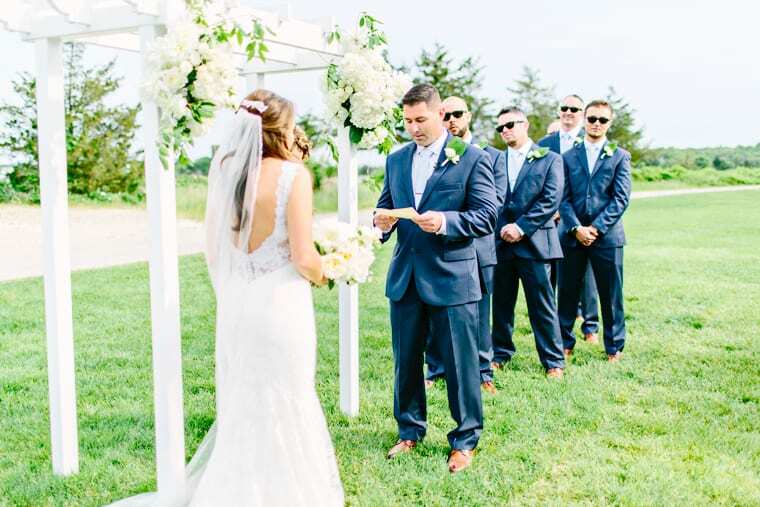 I cannot wait to see what the future holds for you guys!